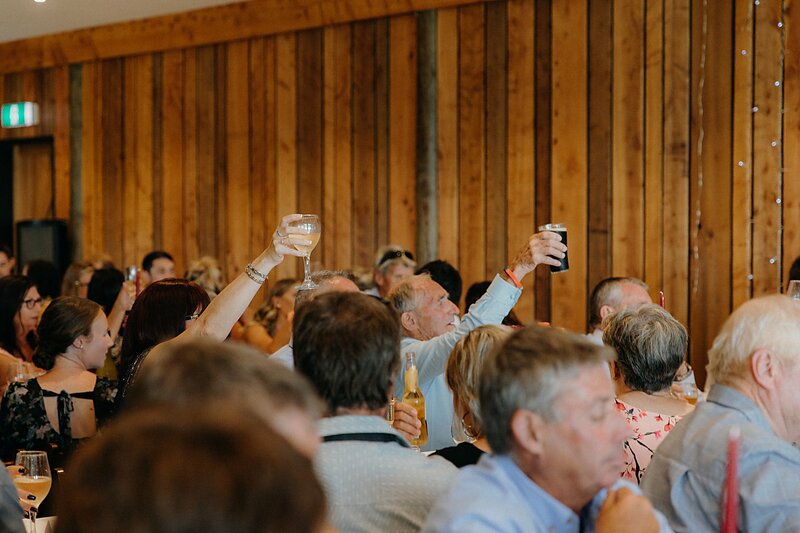 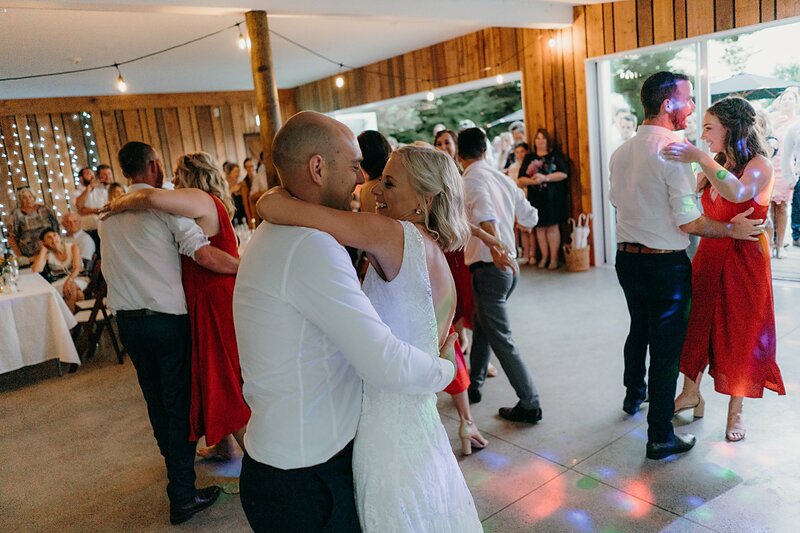 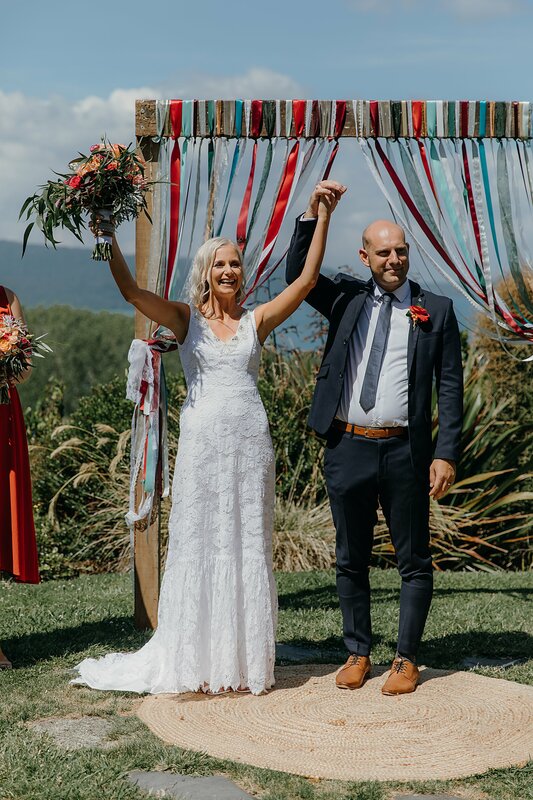 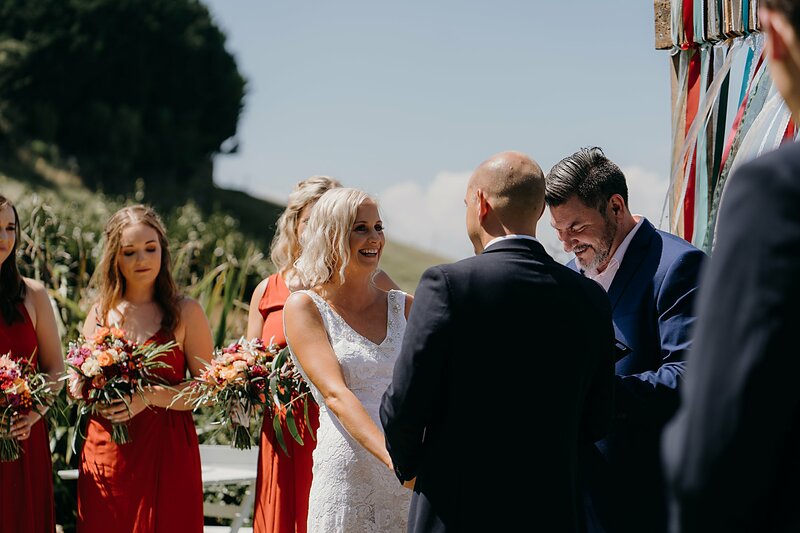 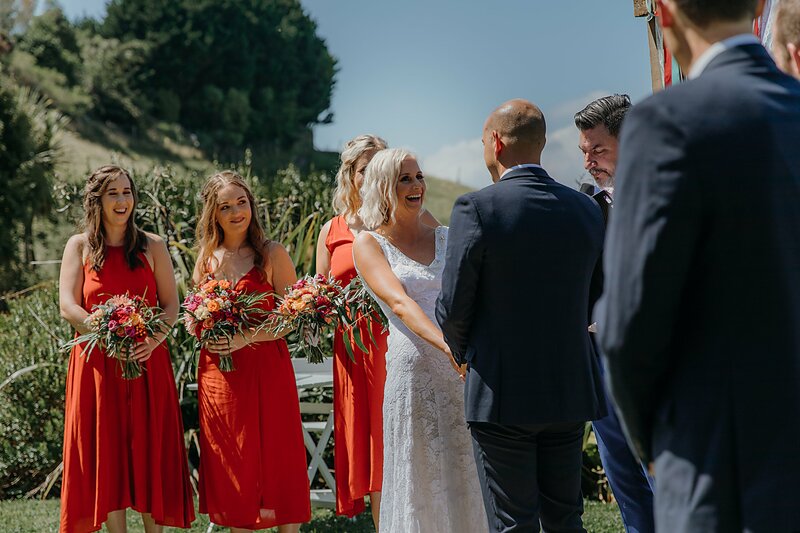 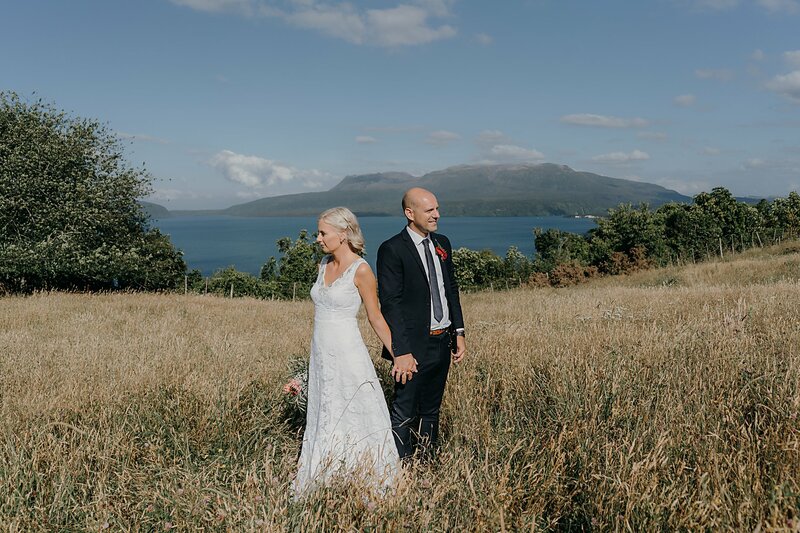 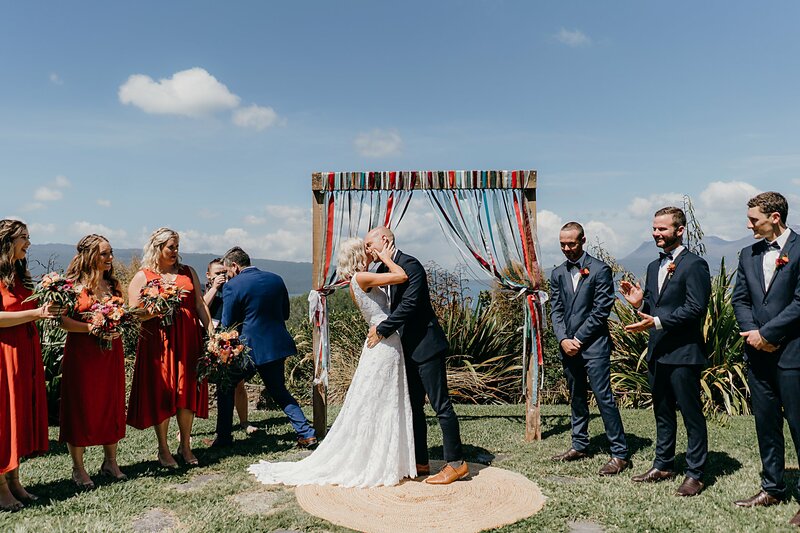 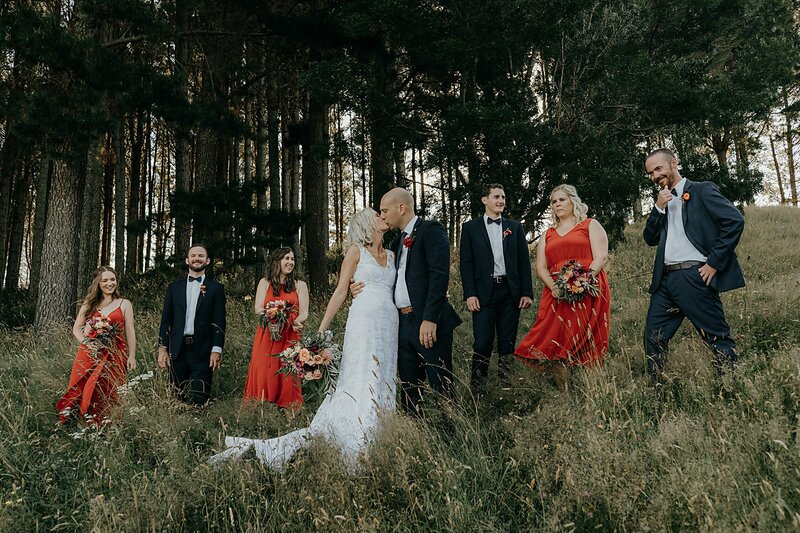 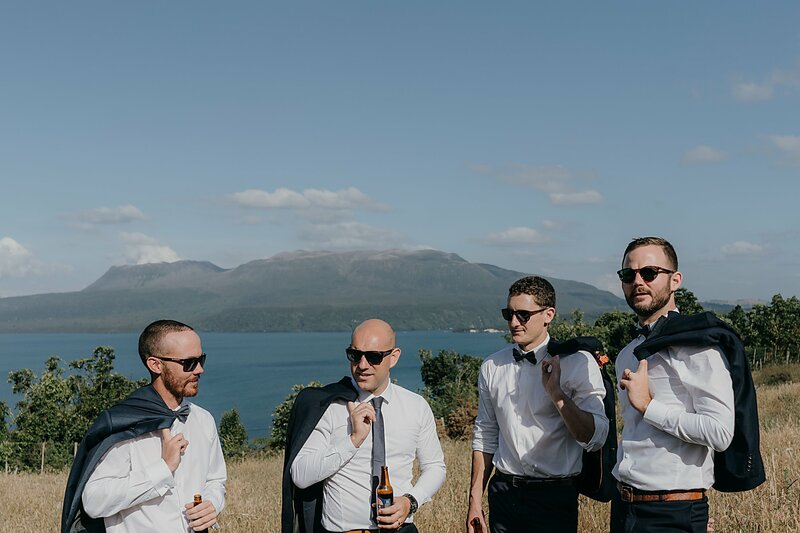 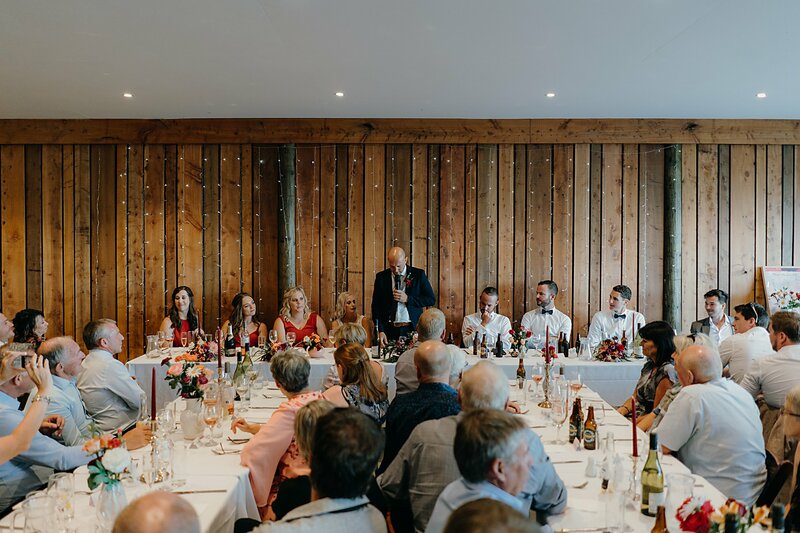 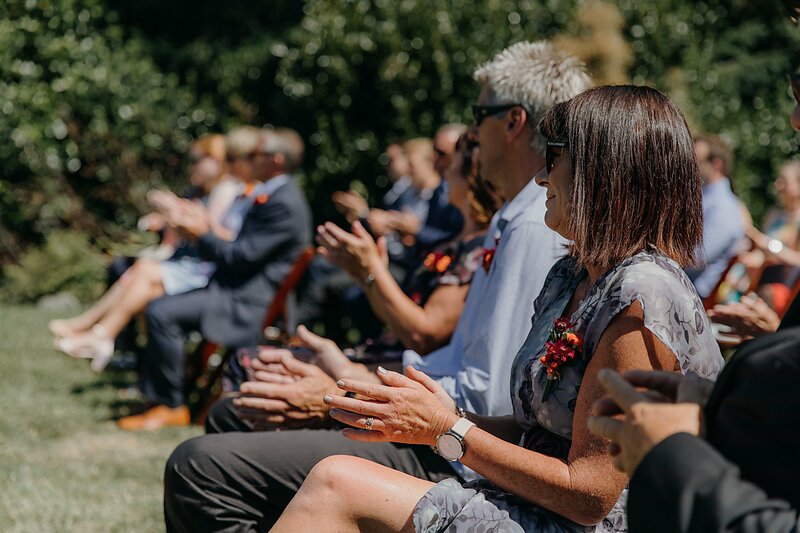 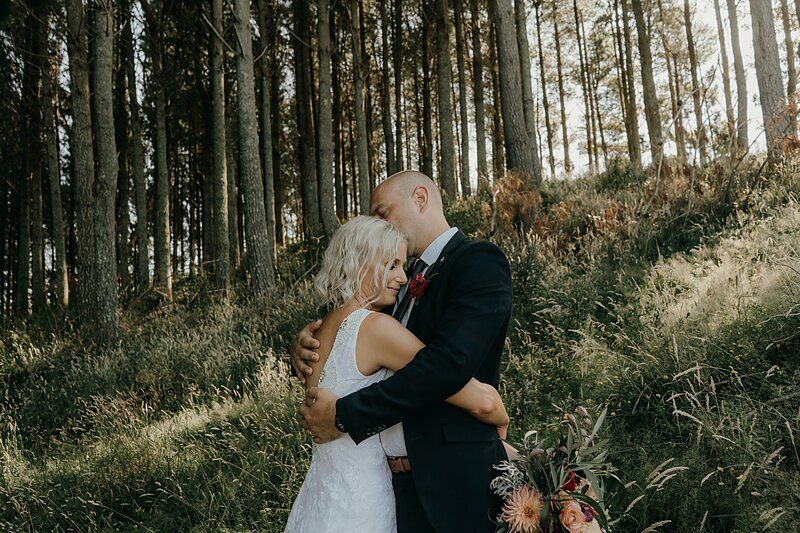 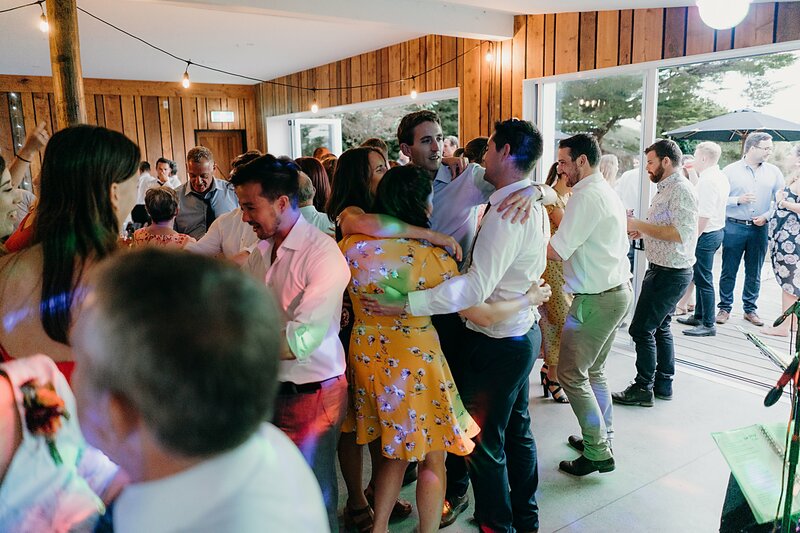 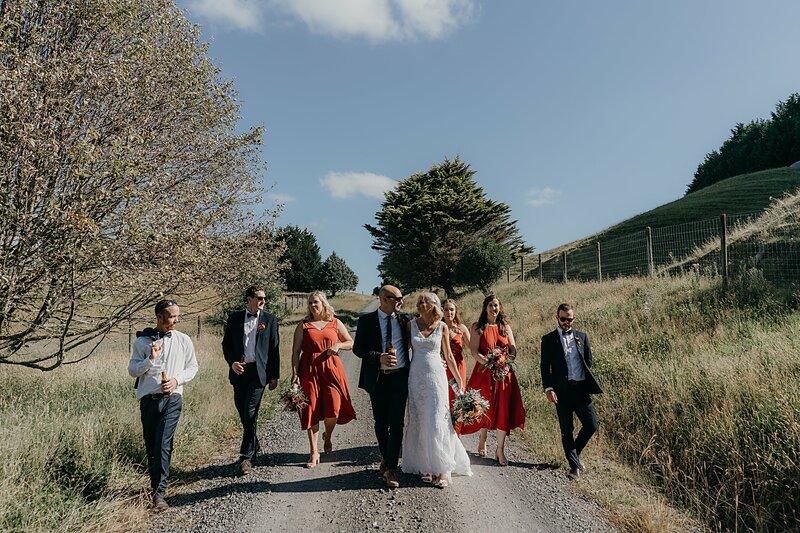 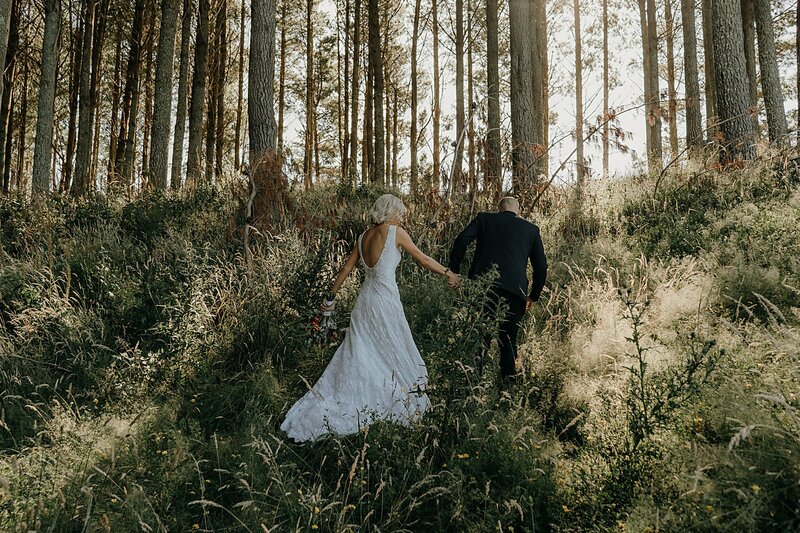 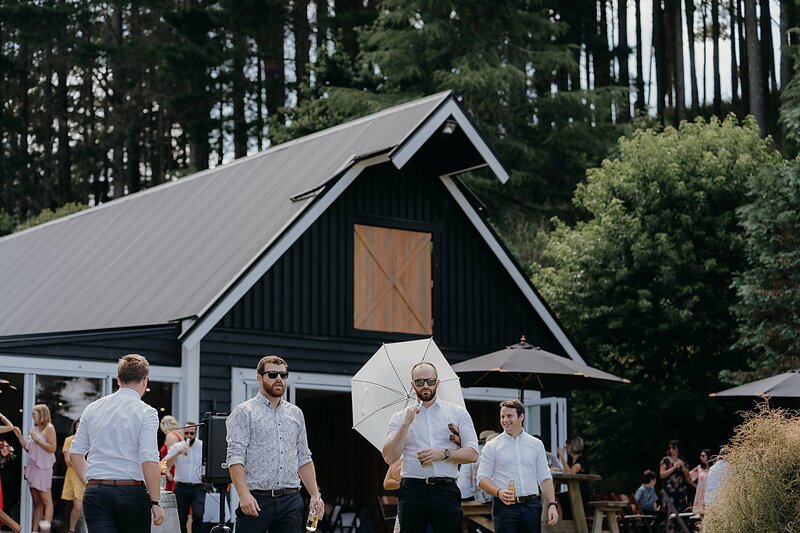 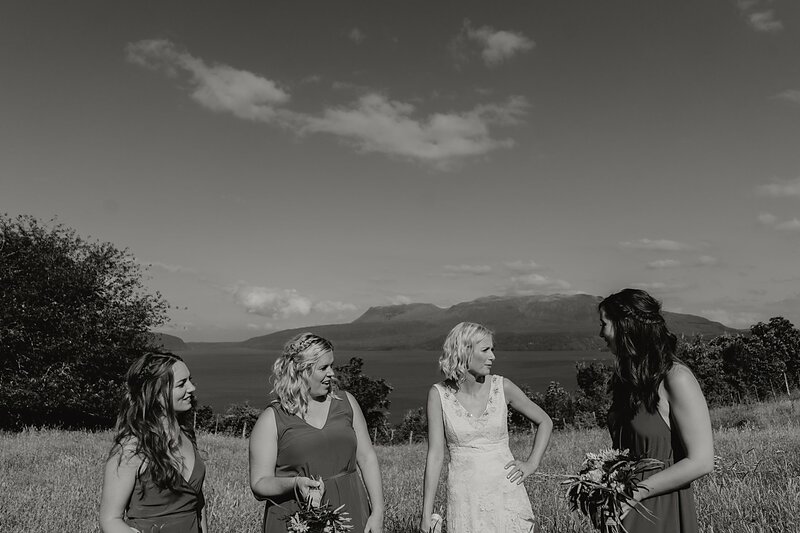 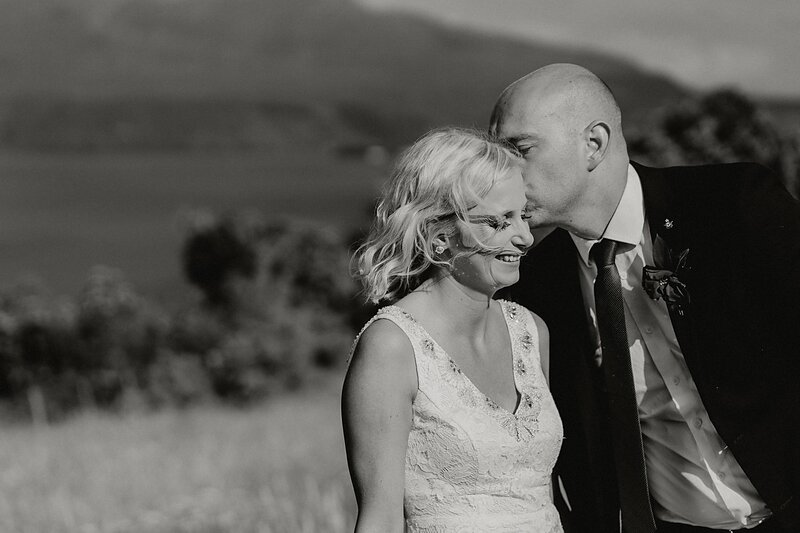 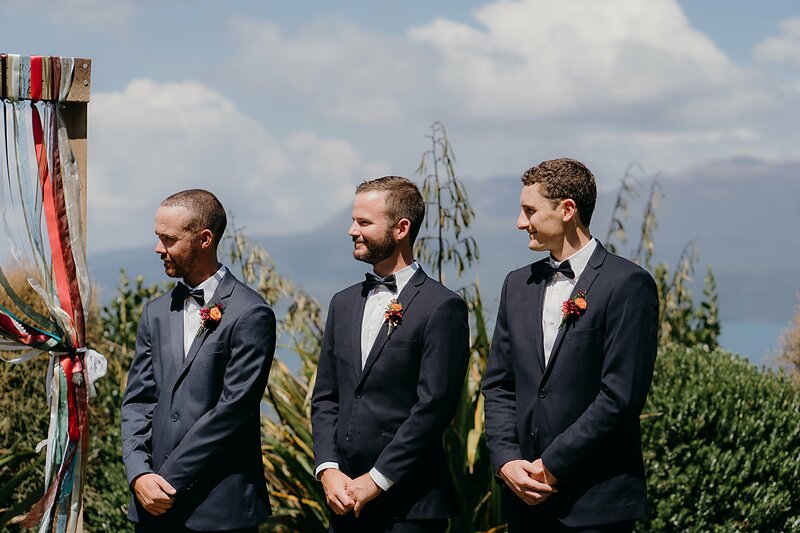 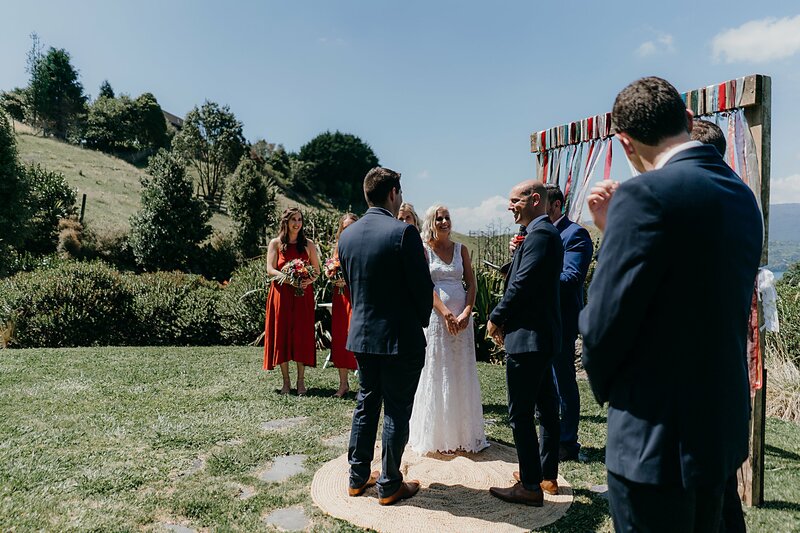 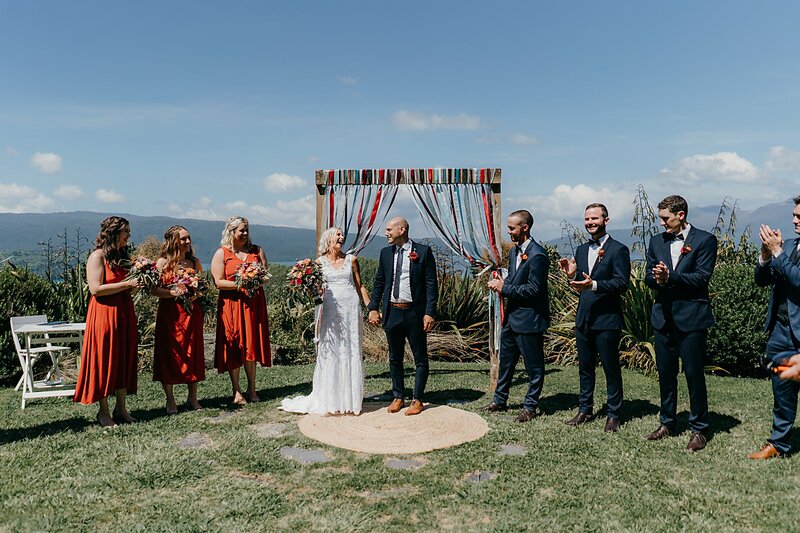 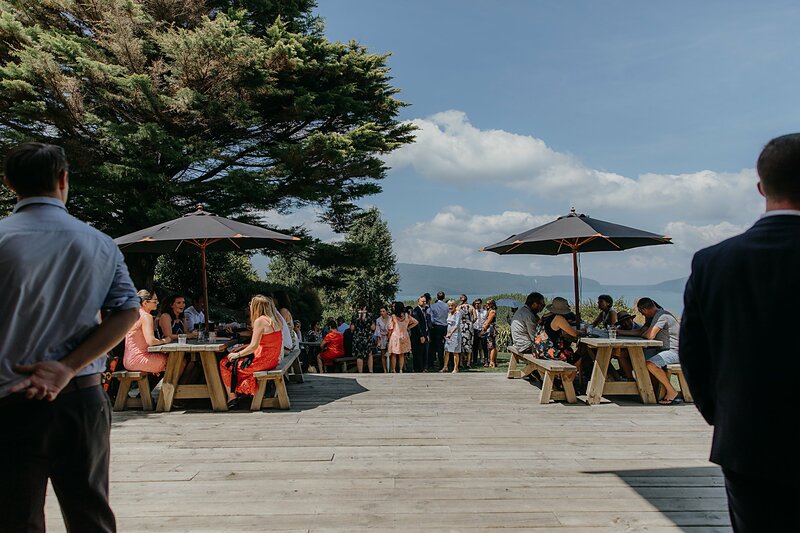 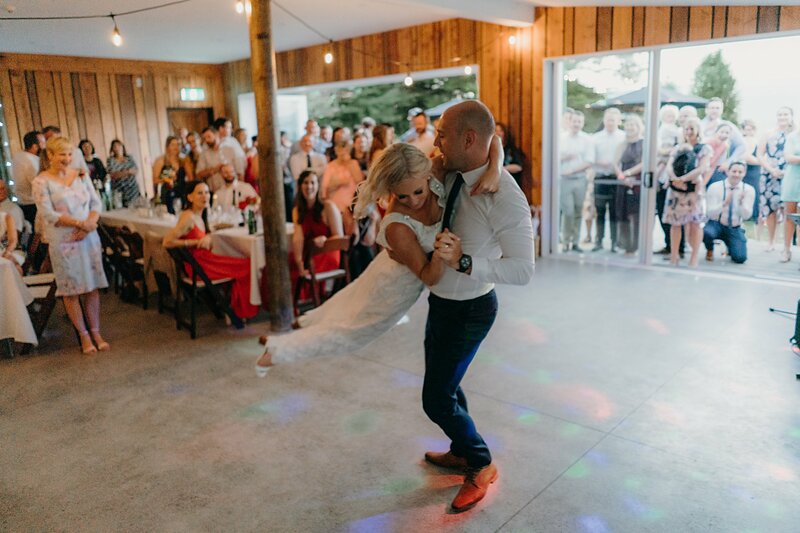 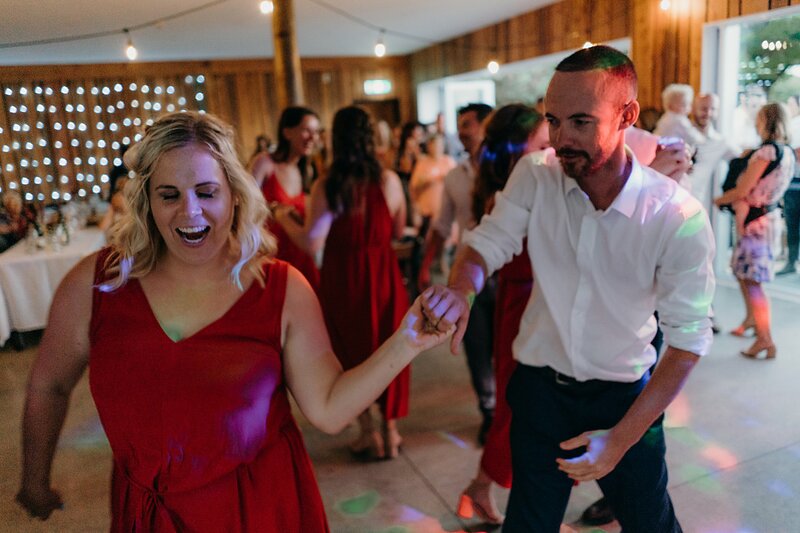 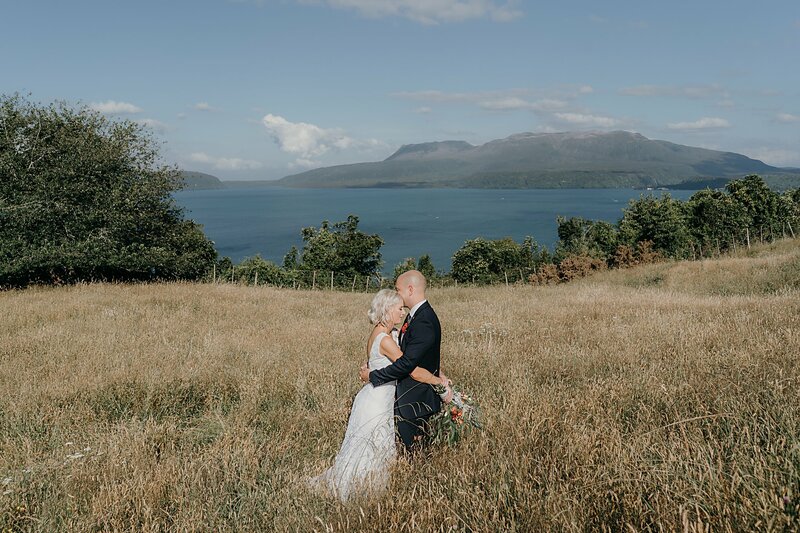 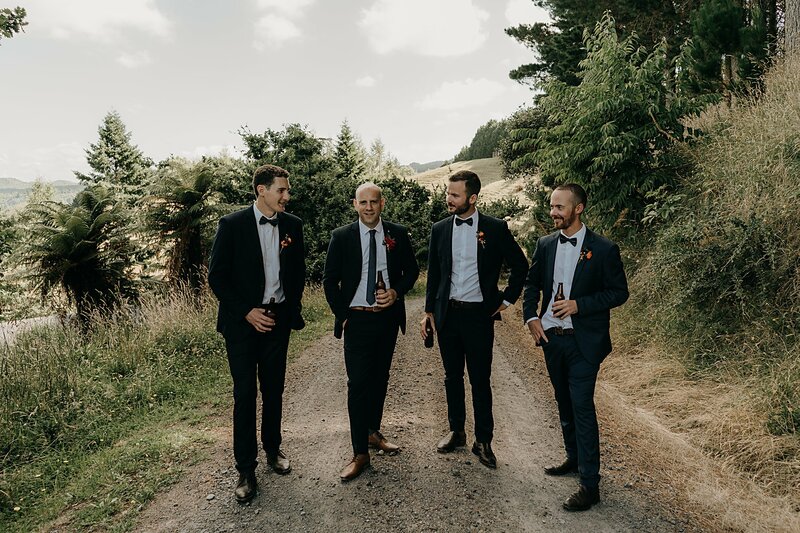 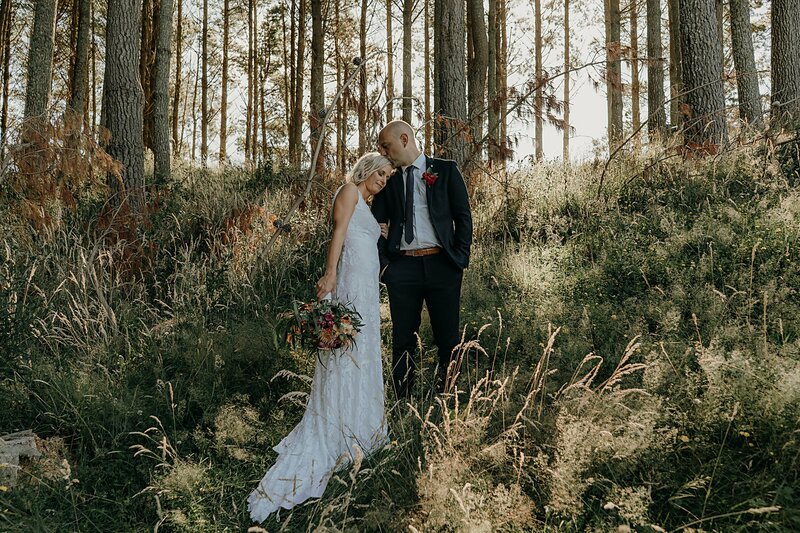 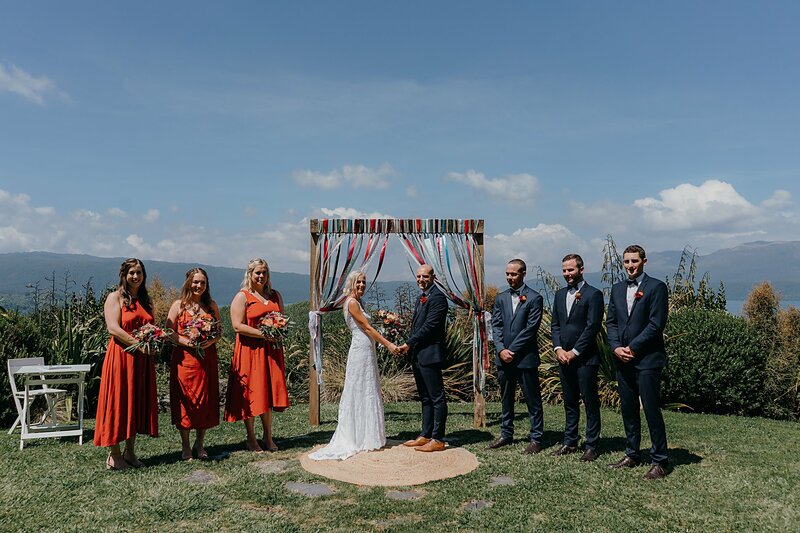 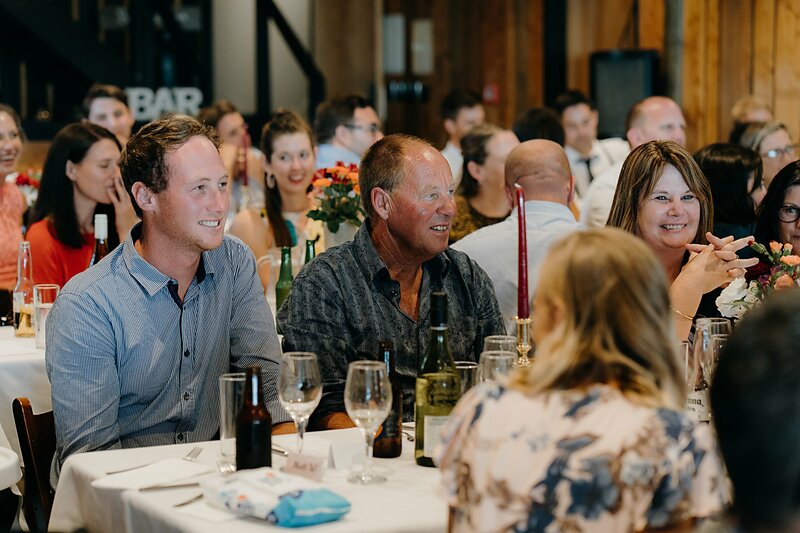 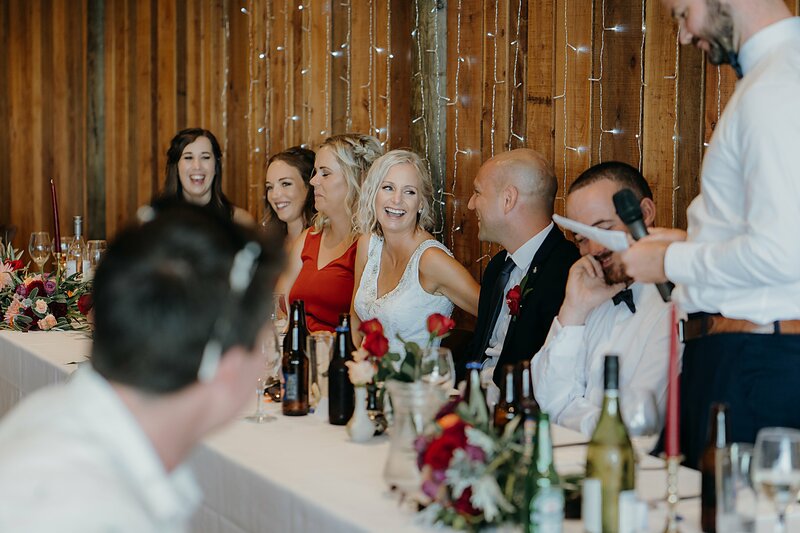 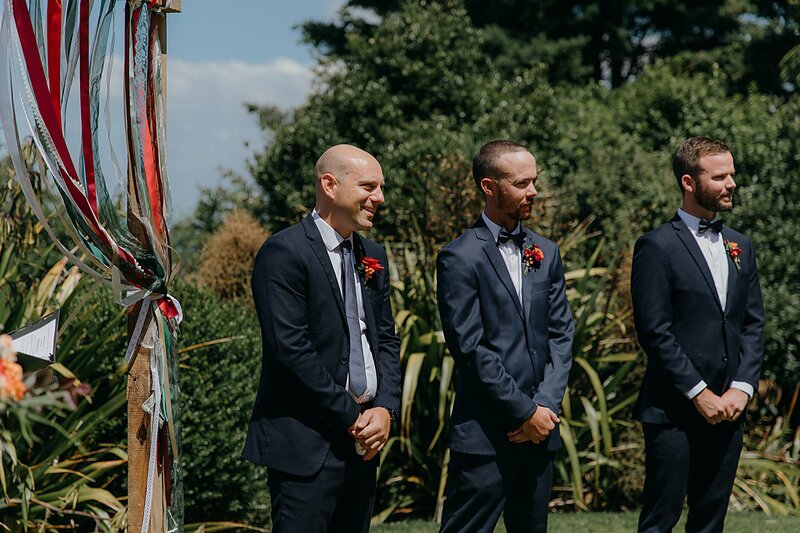 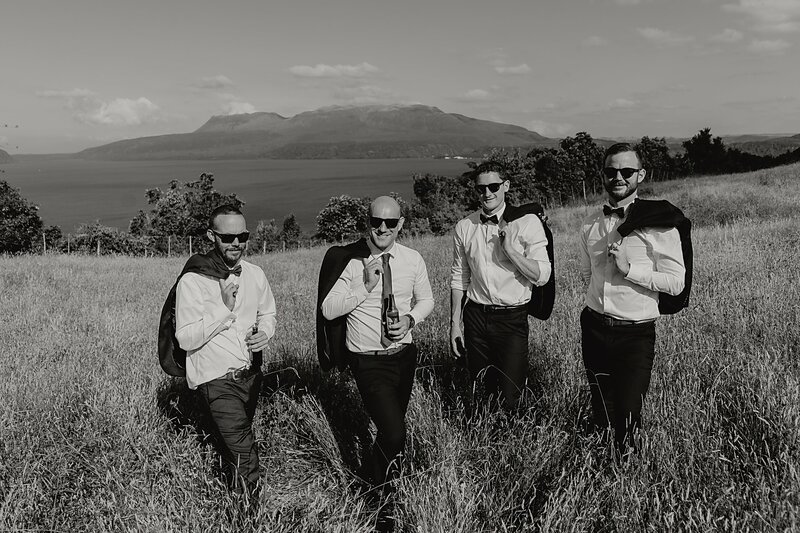 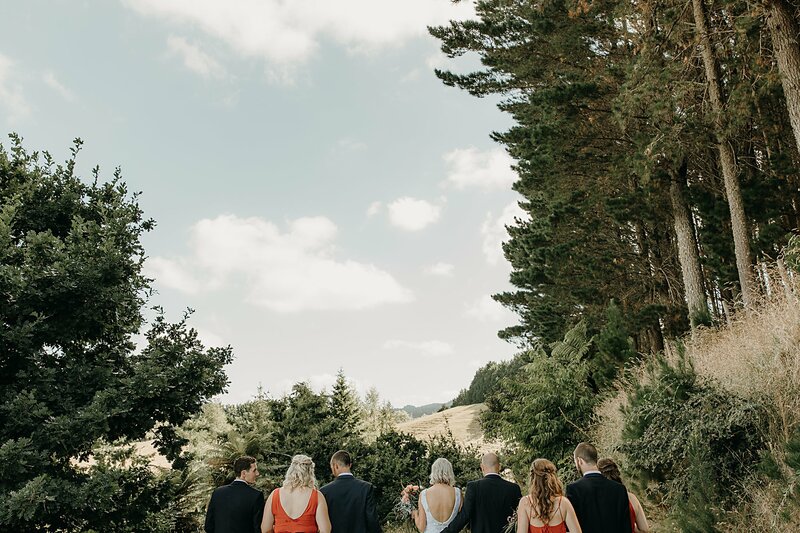 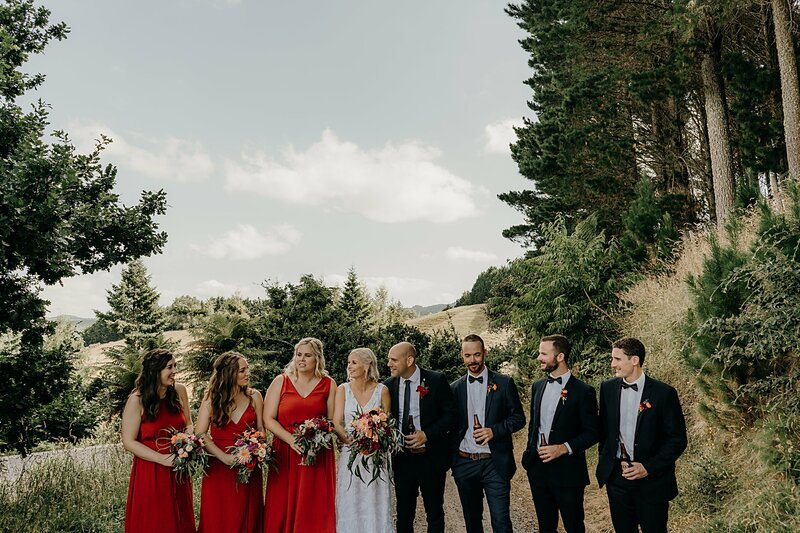 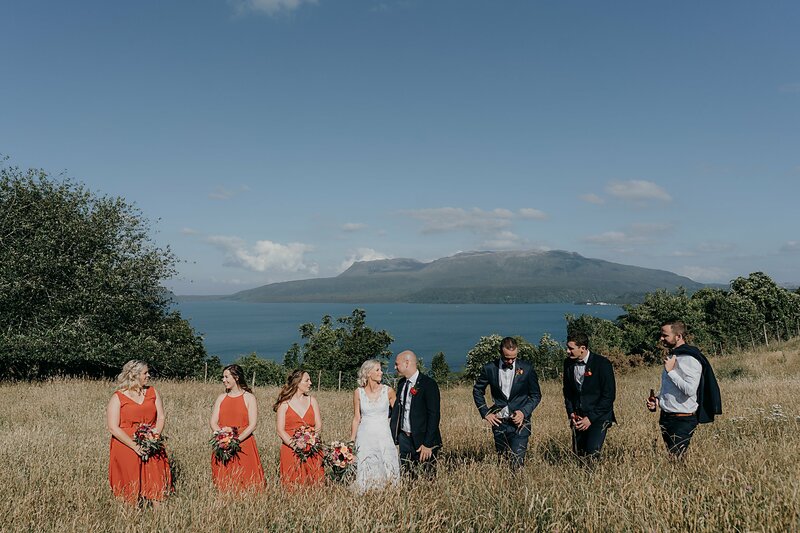 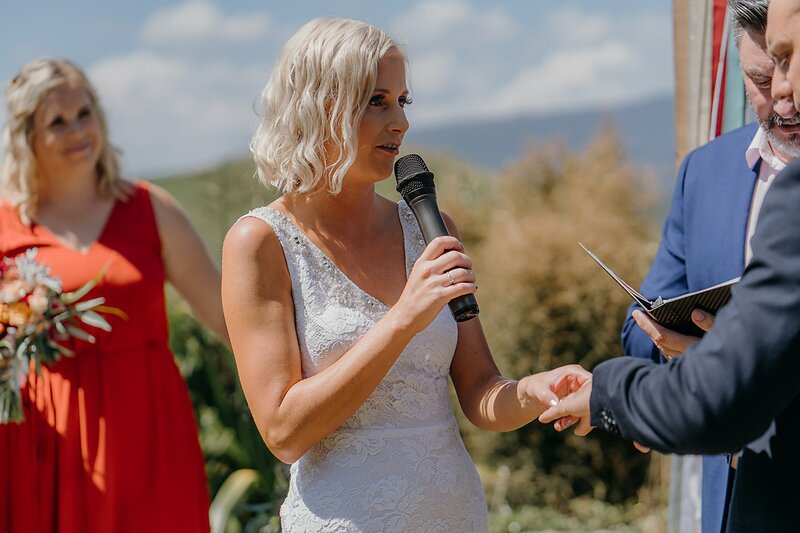 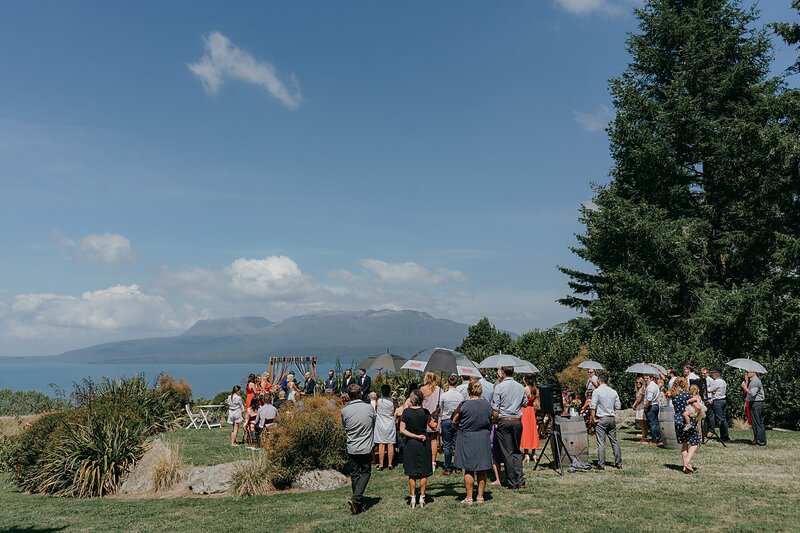 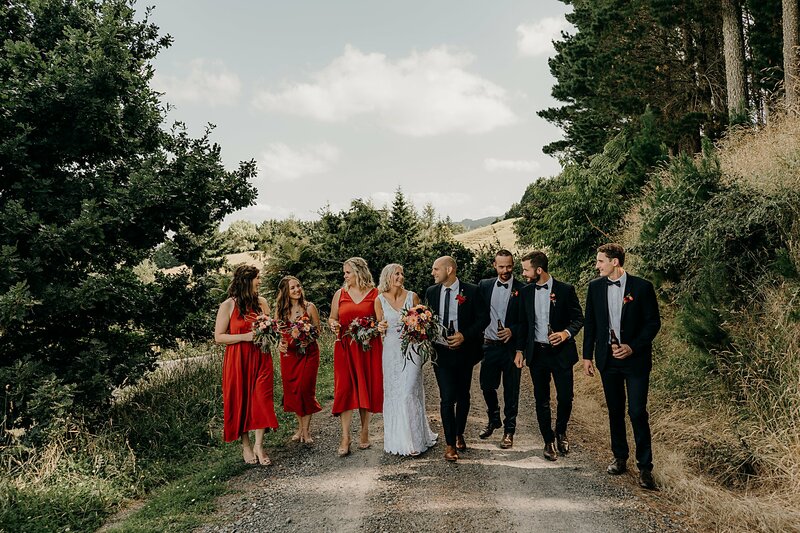 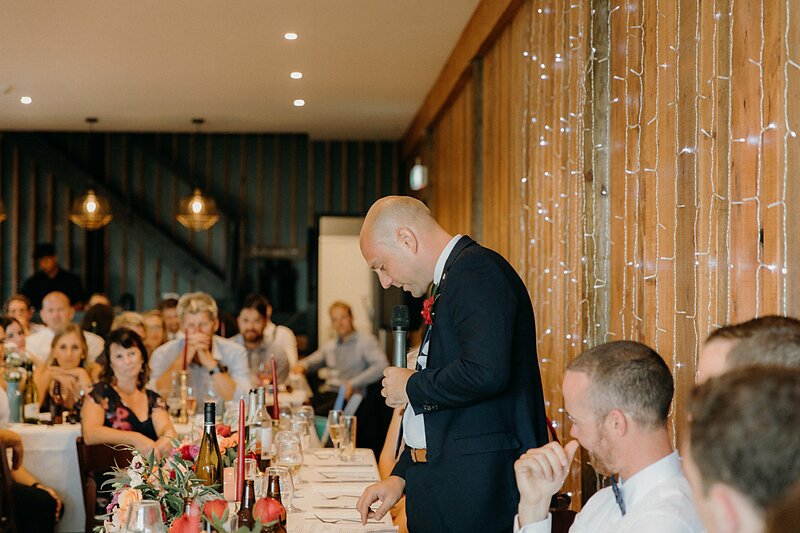 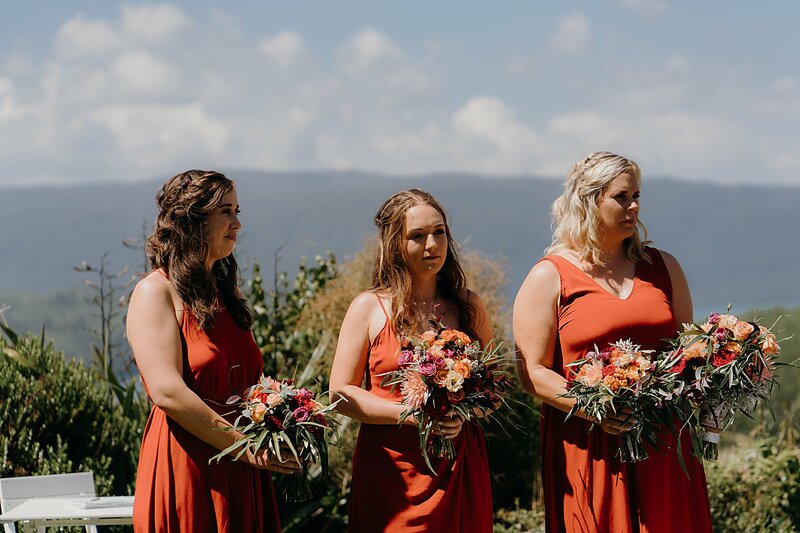 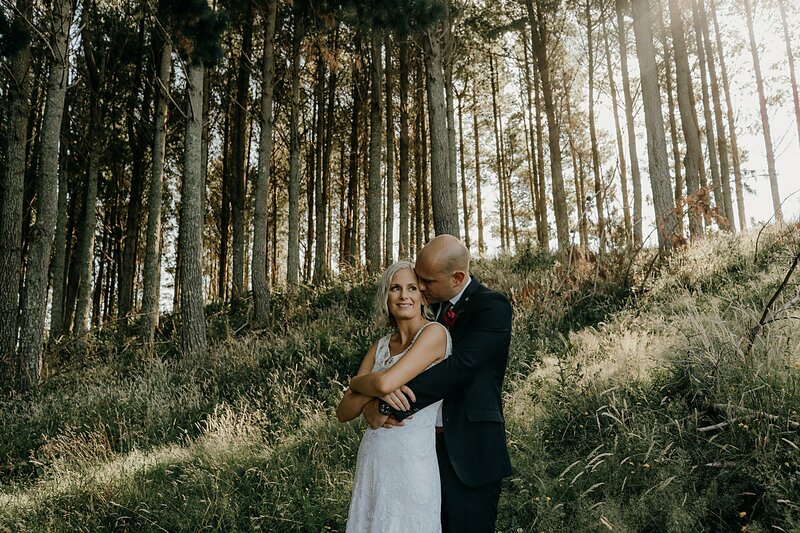 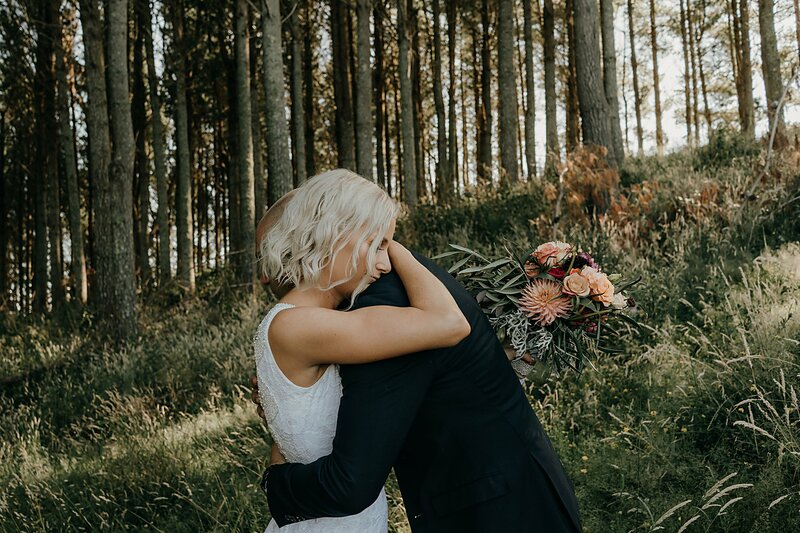 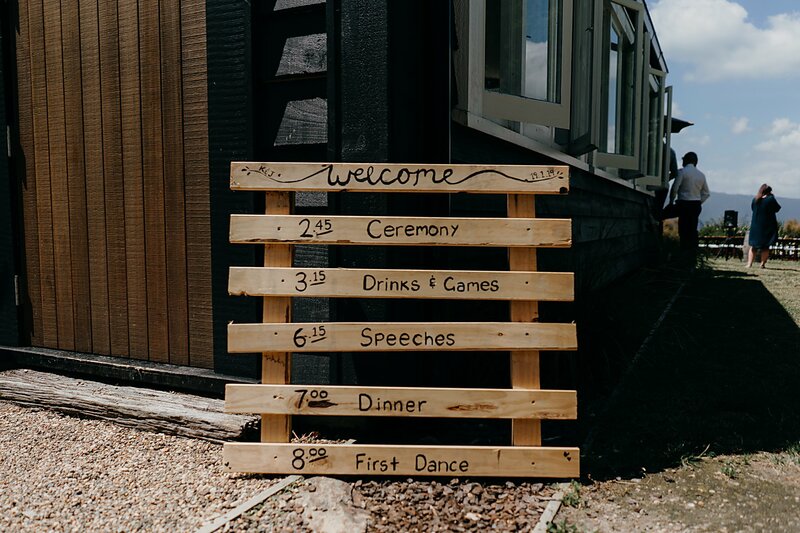 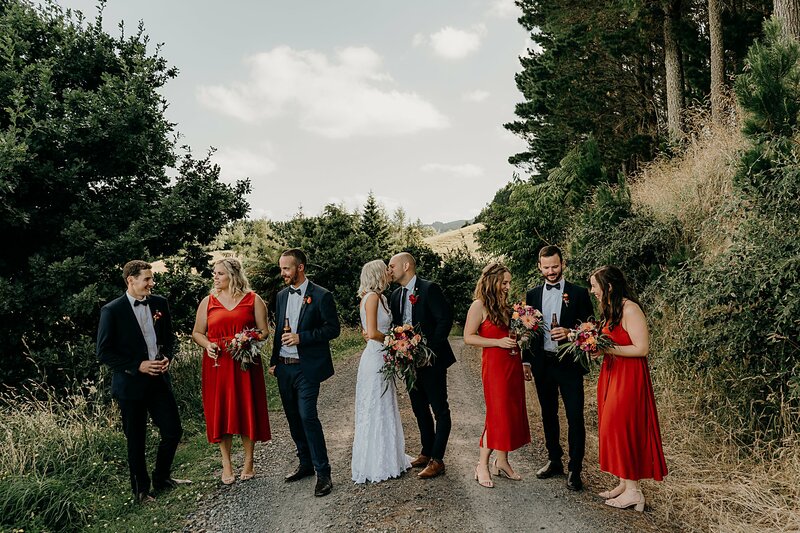 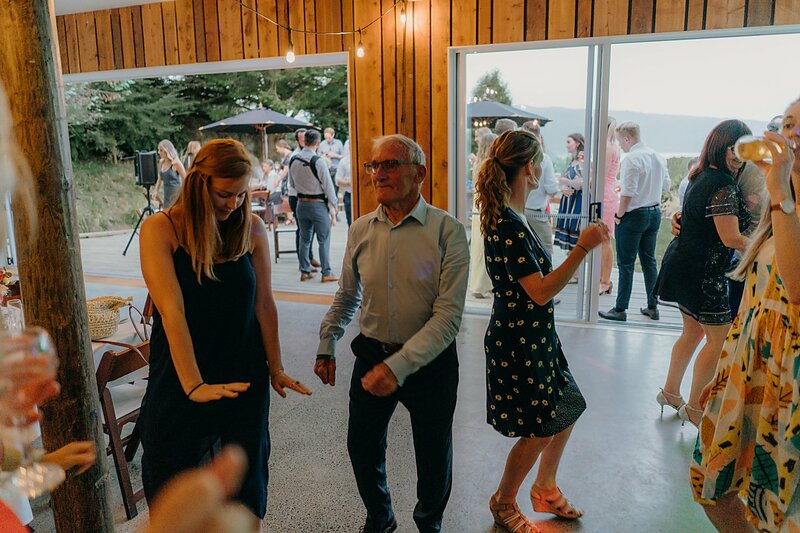 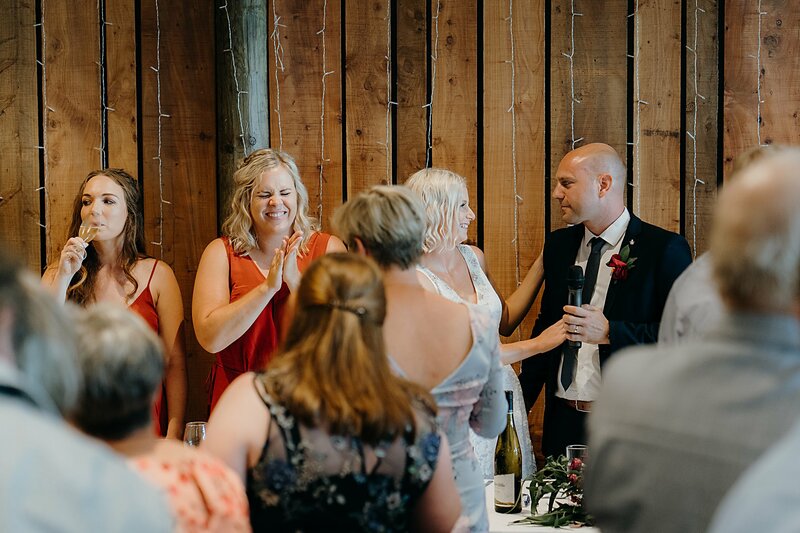 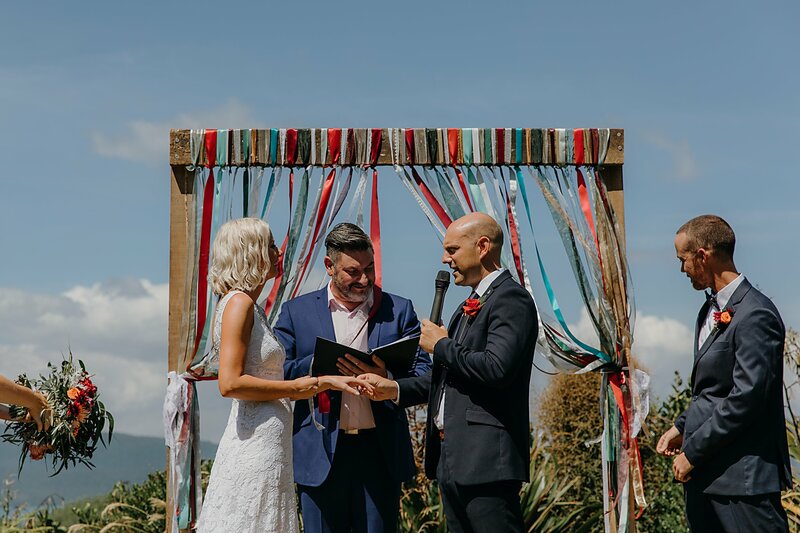 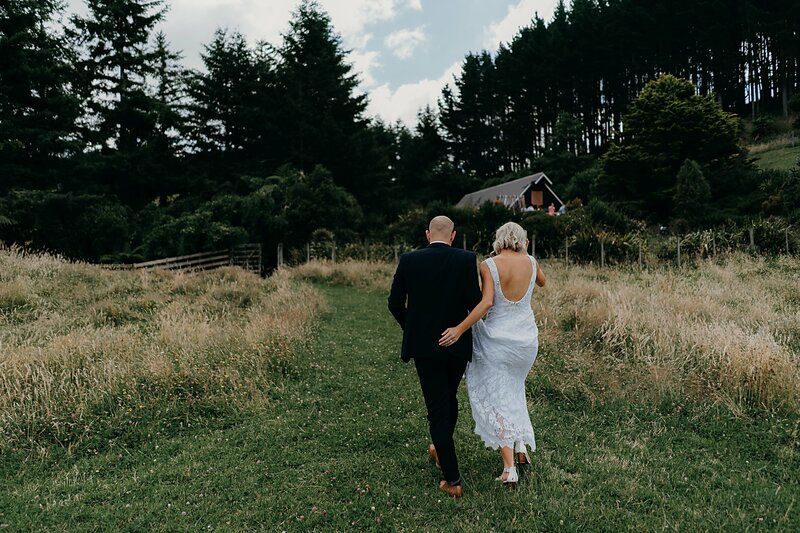 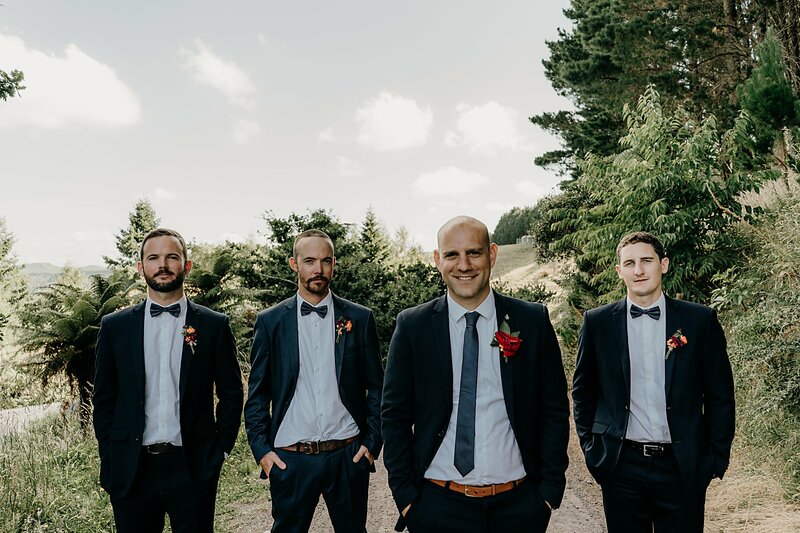 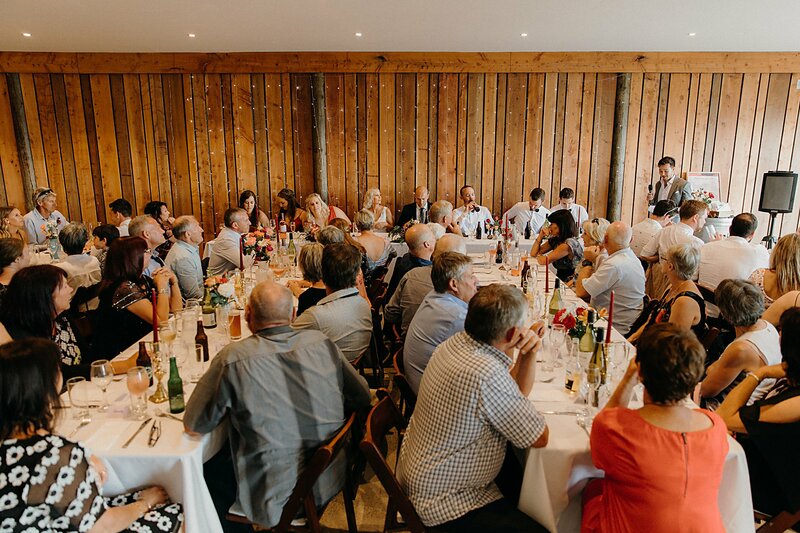 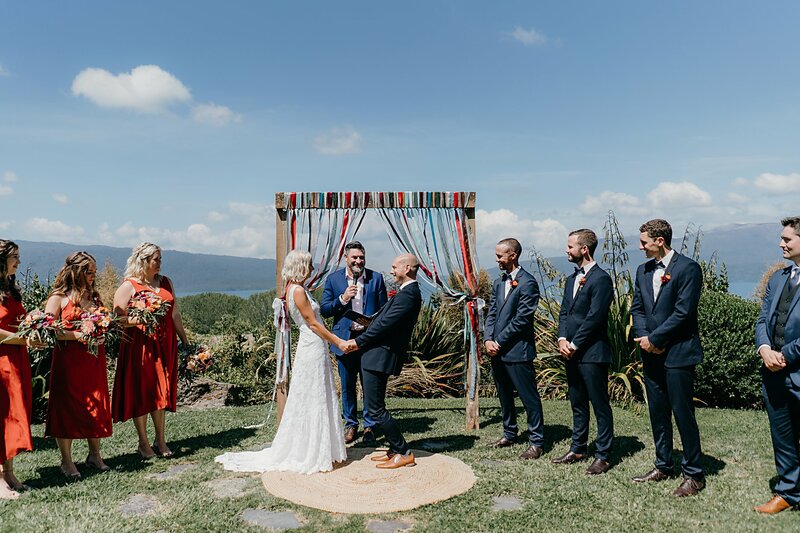 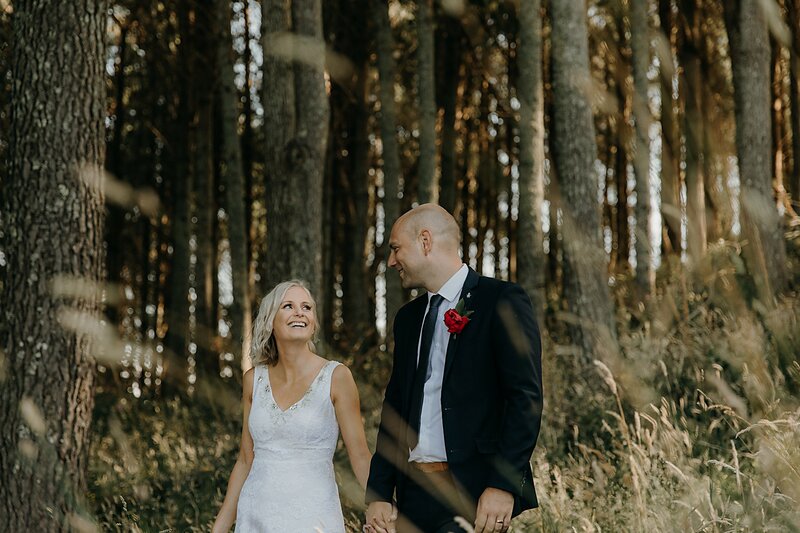 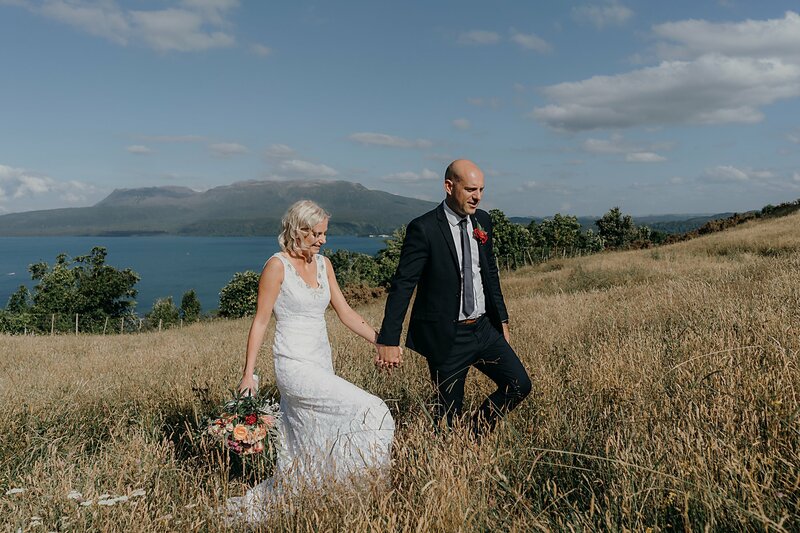 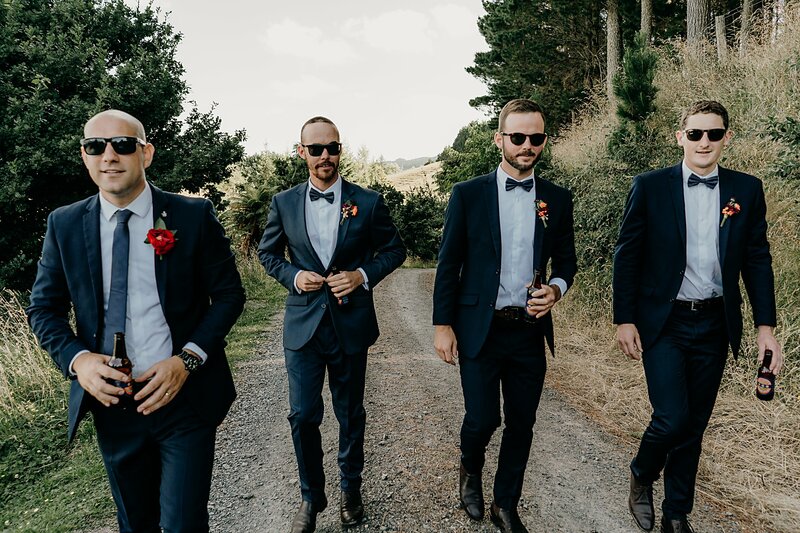 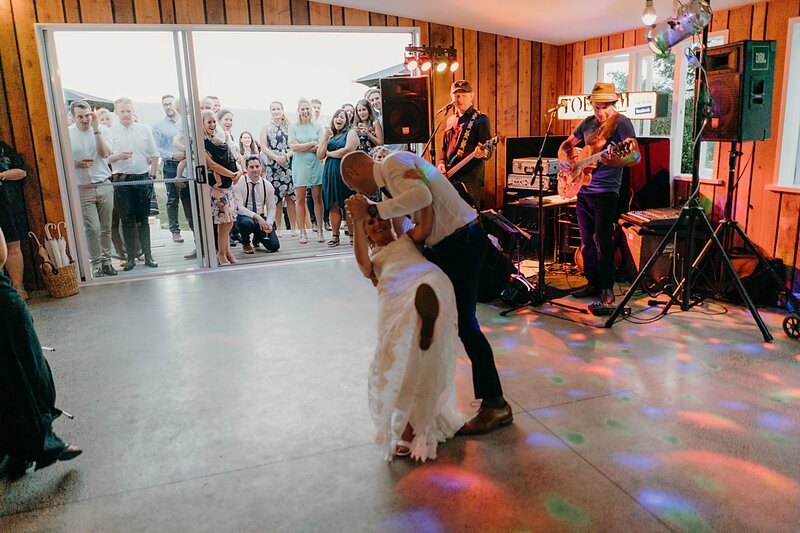 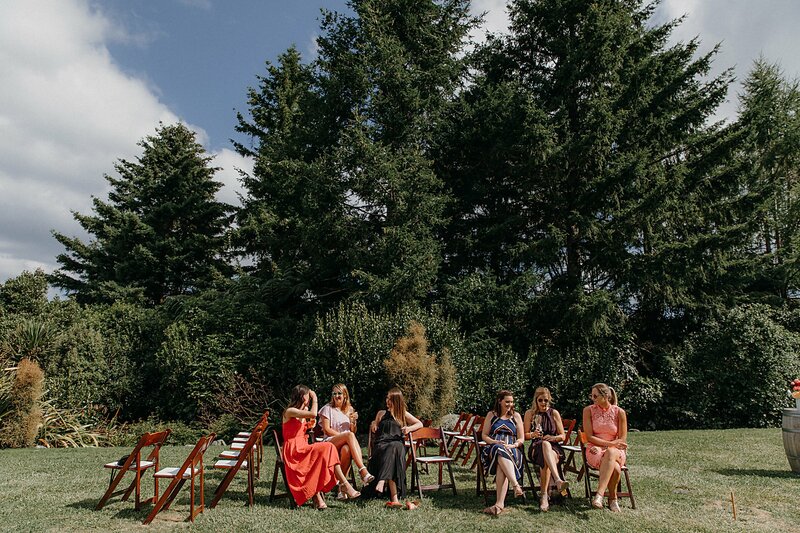 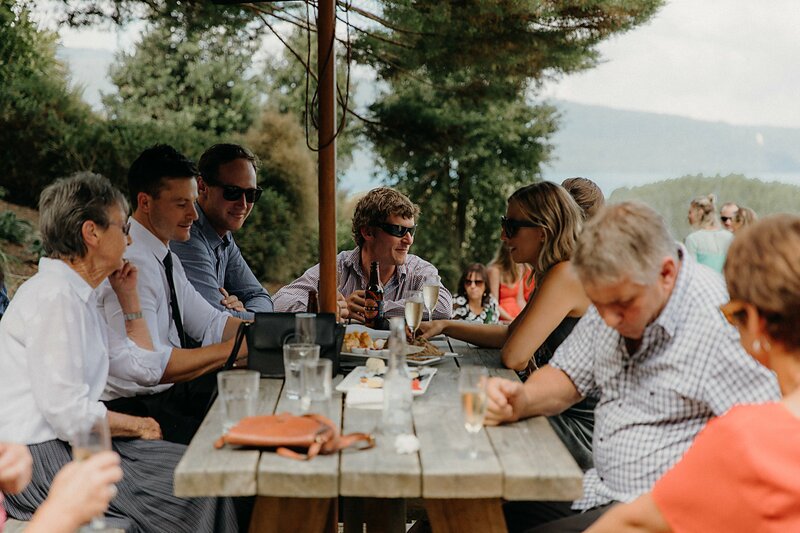 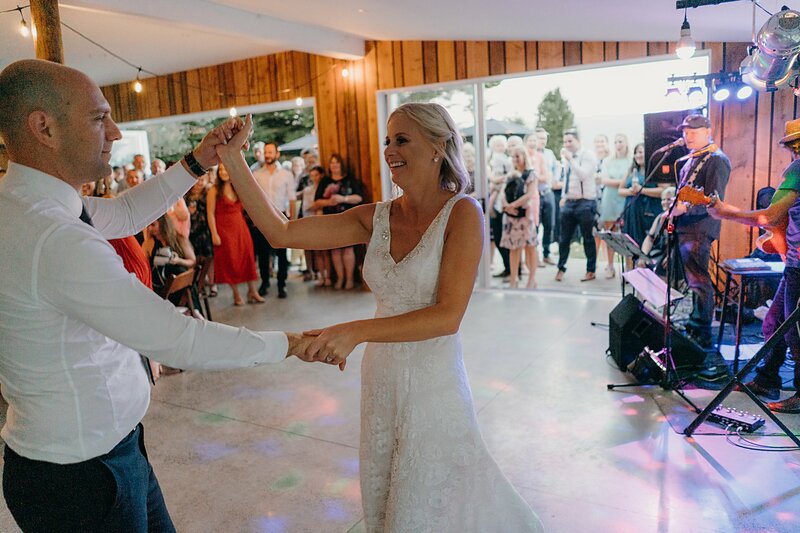 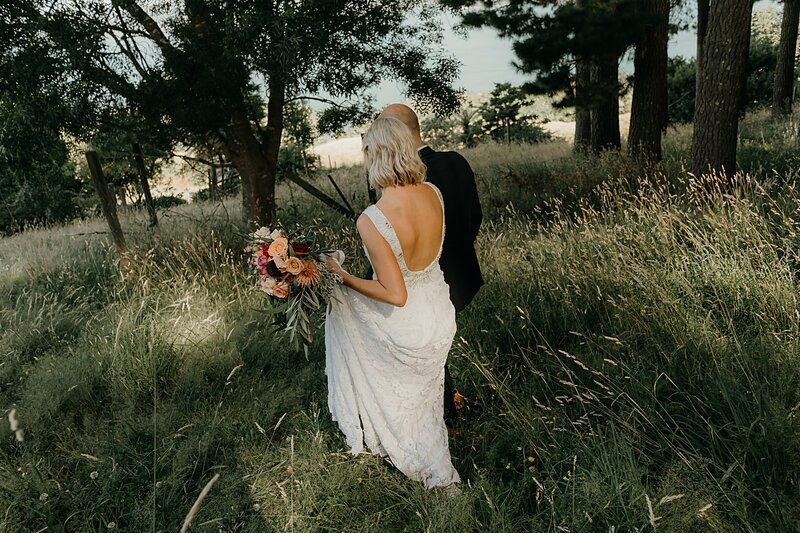 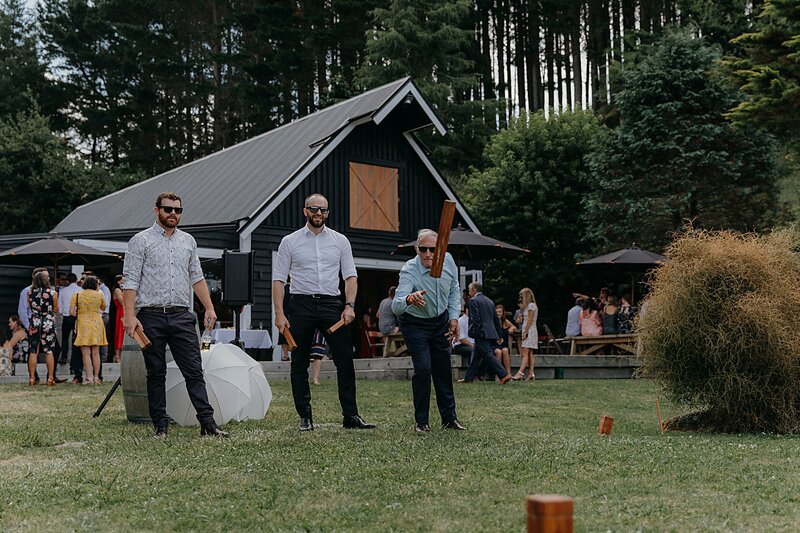 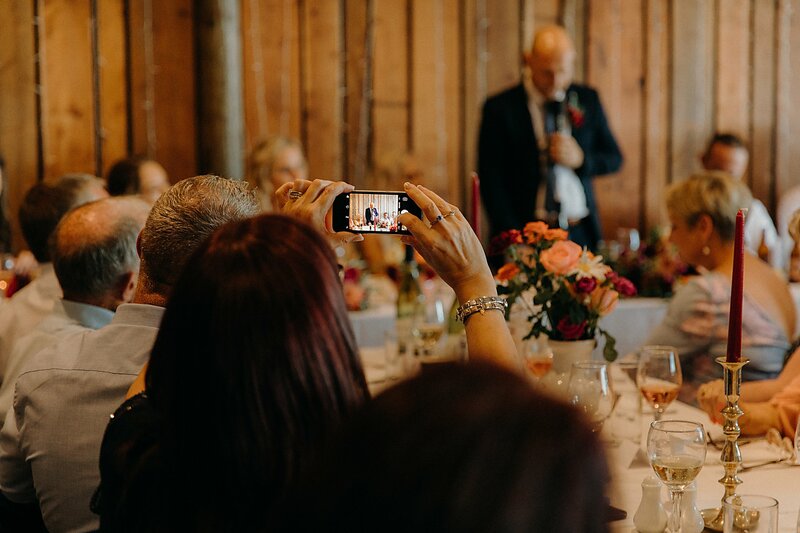 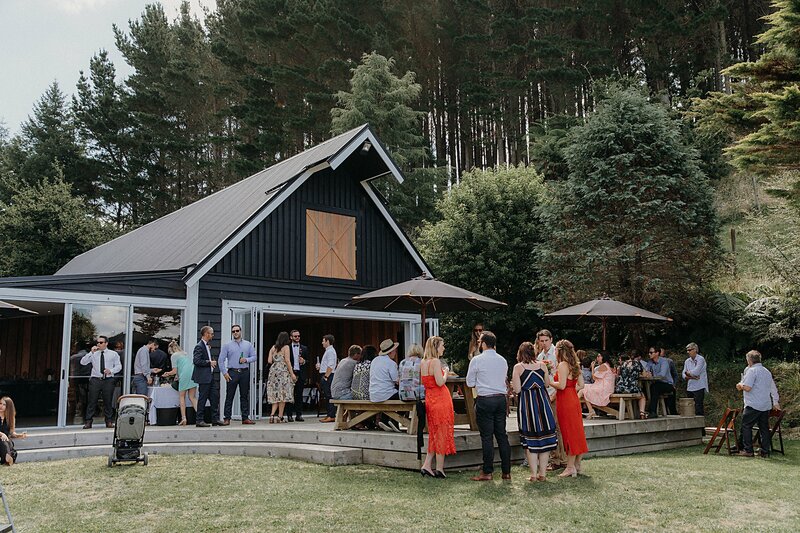 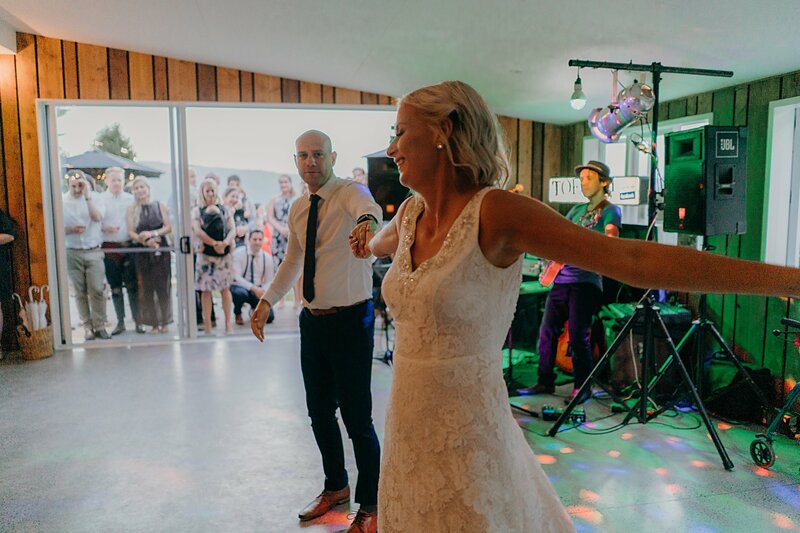 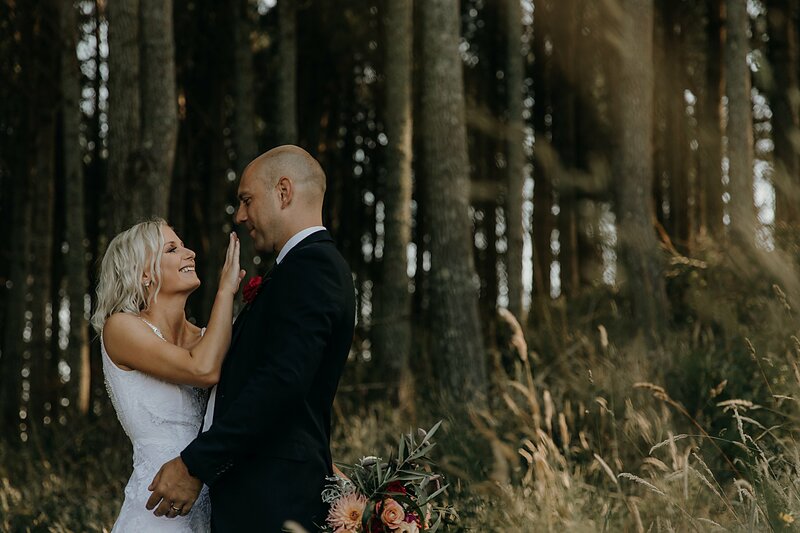 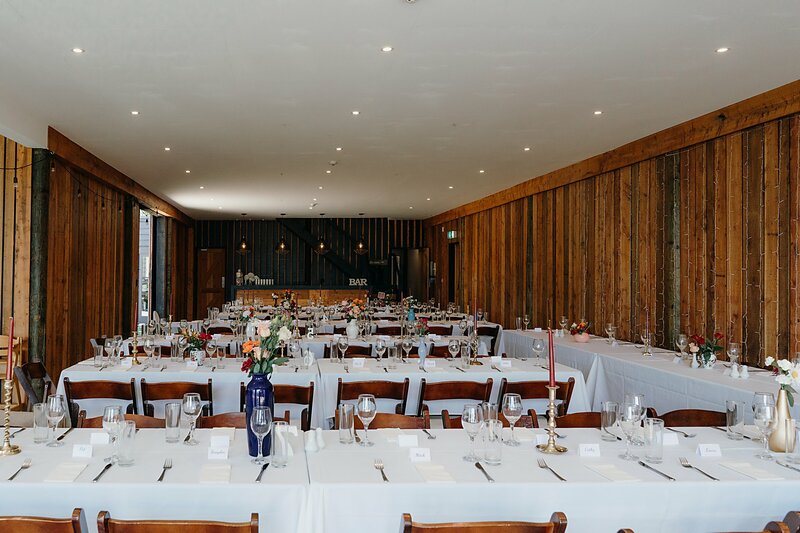 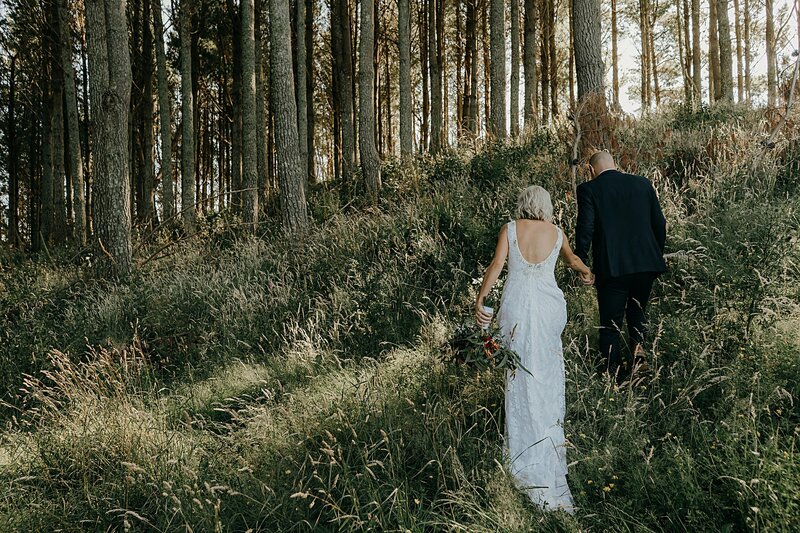 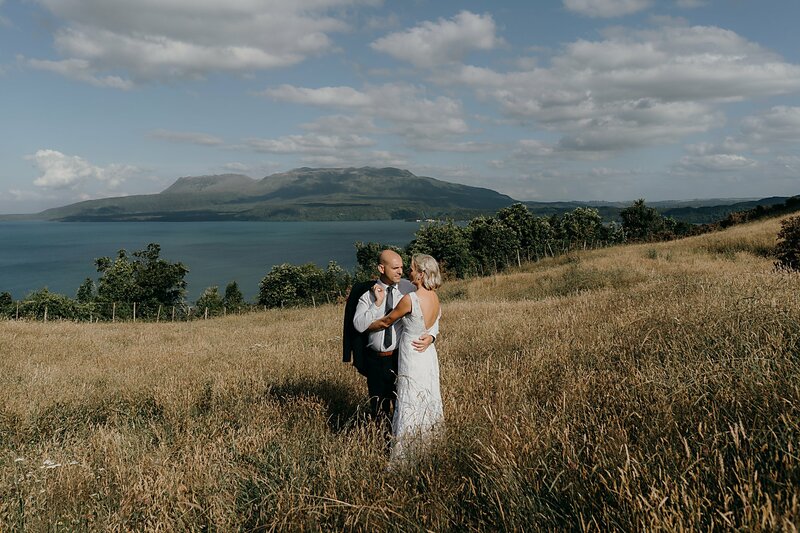 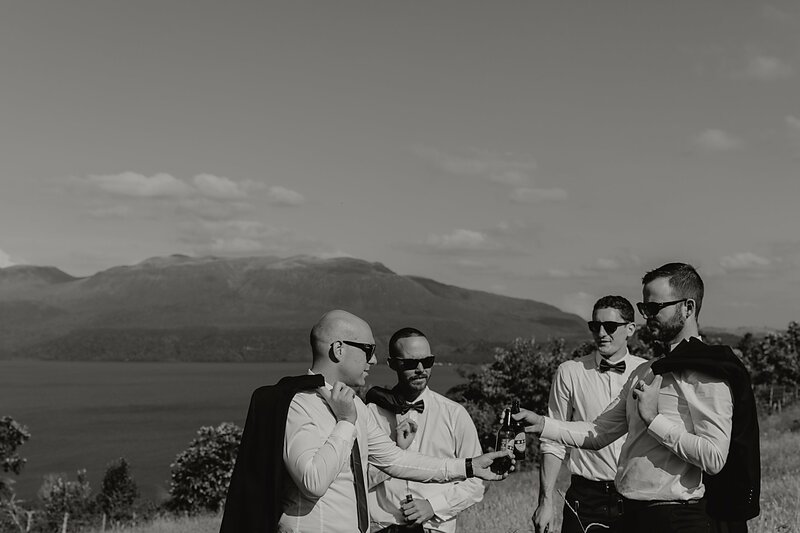 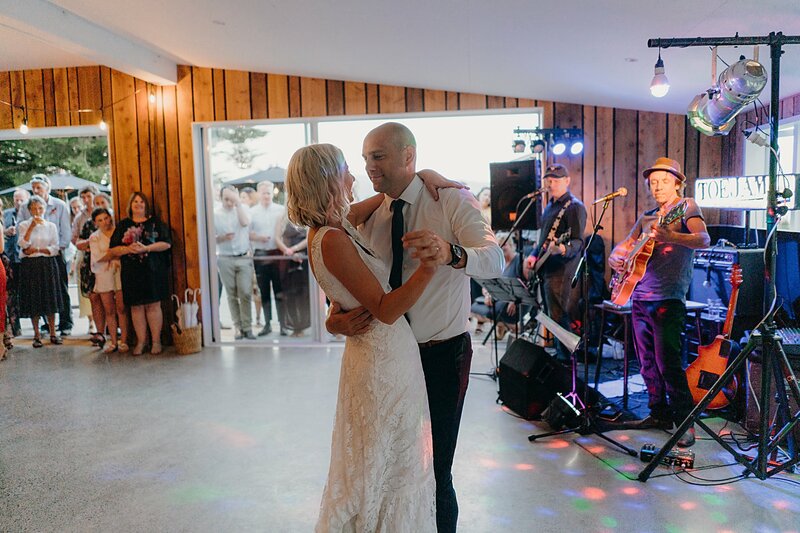 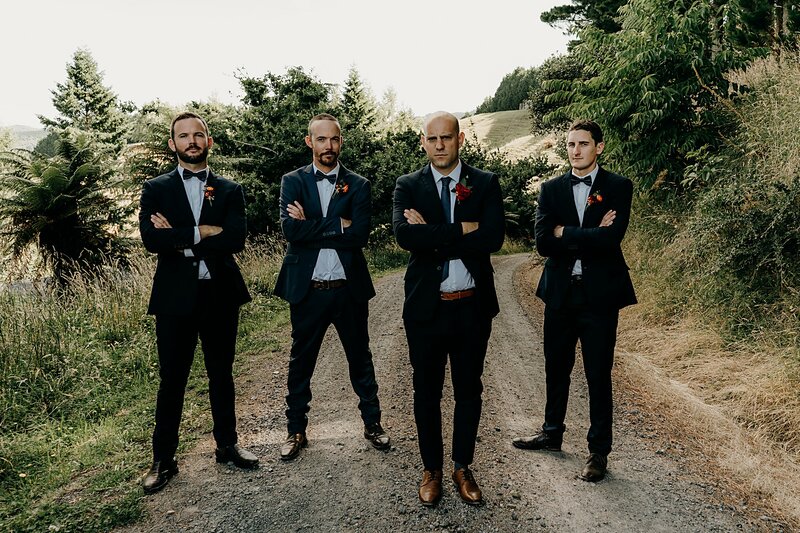 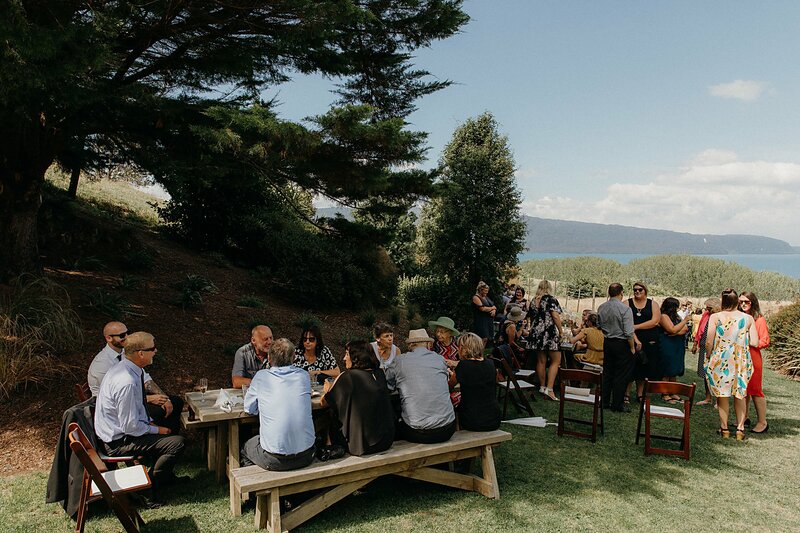 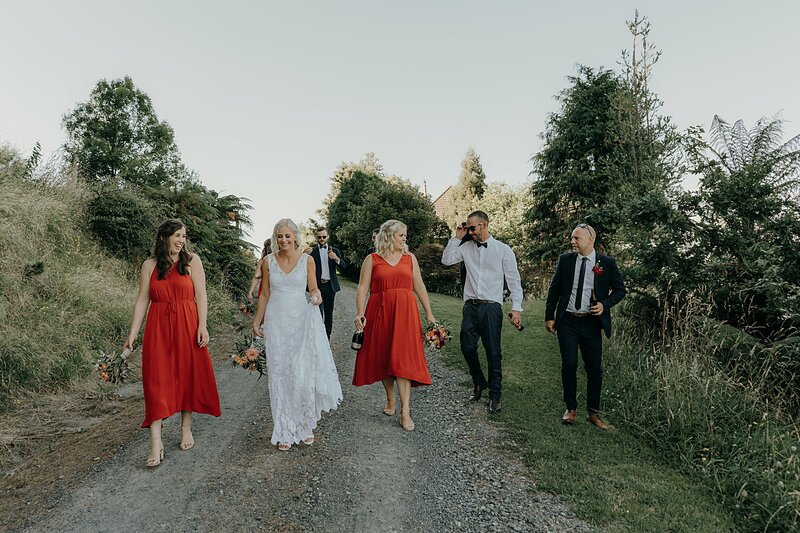 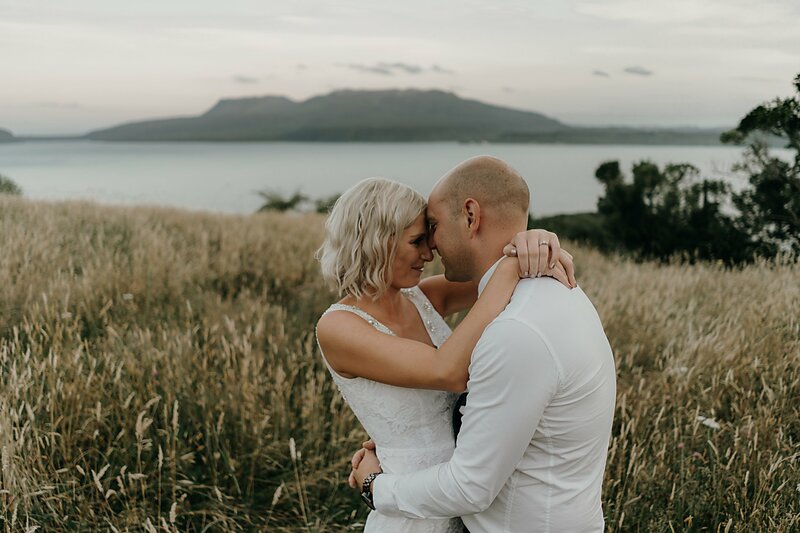 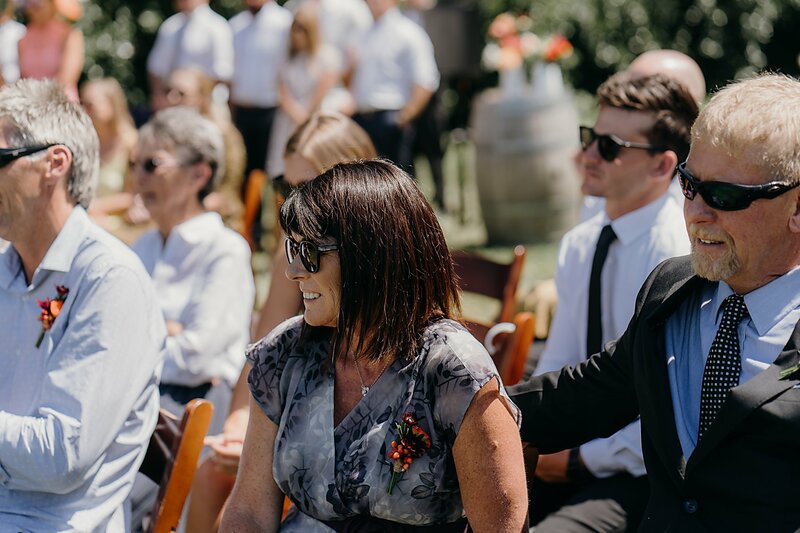 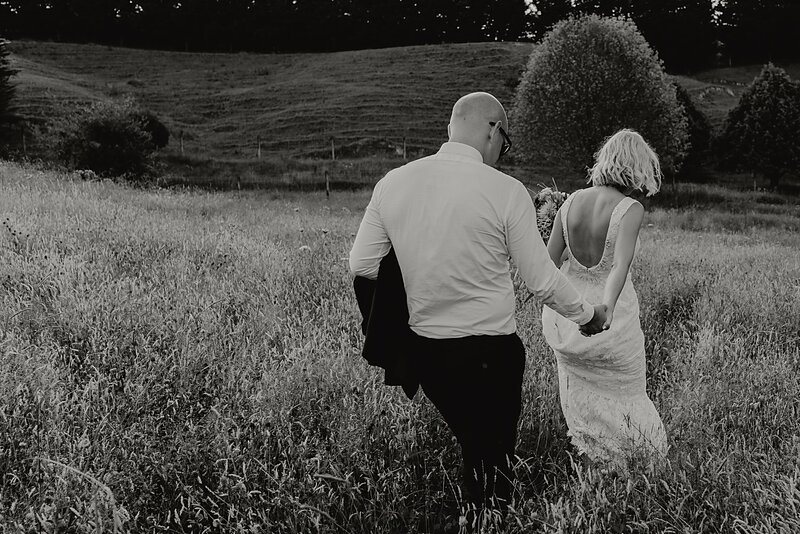 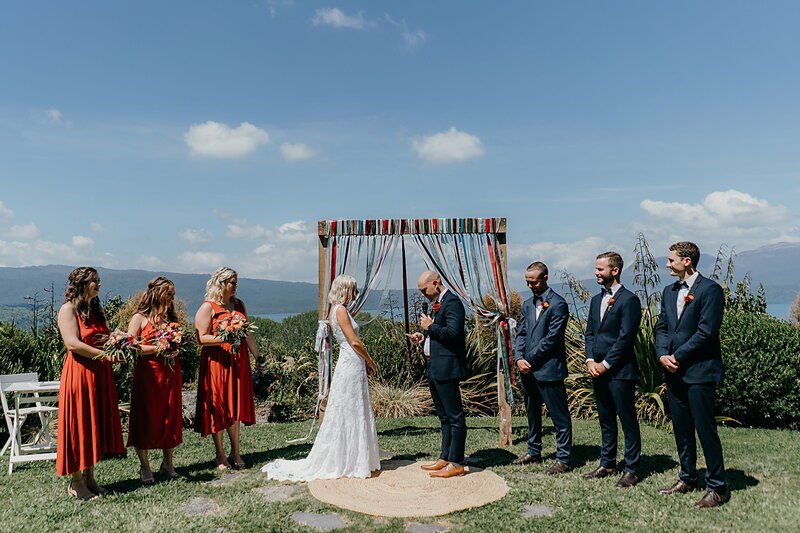 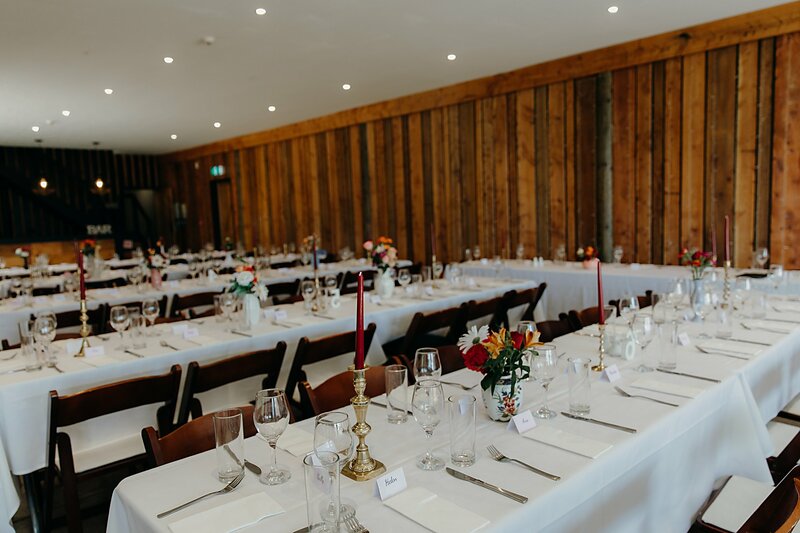 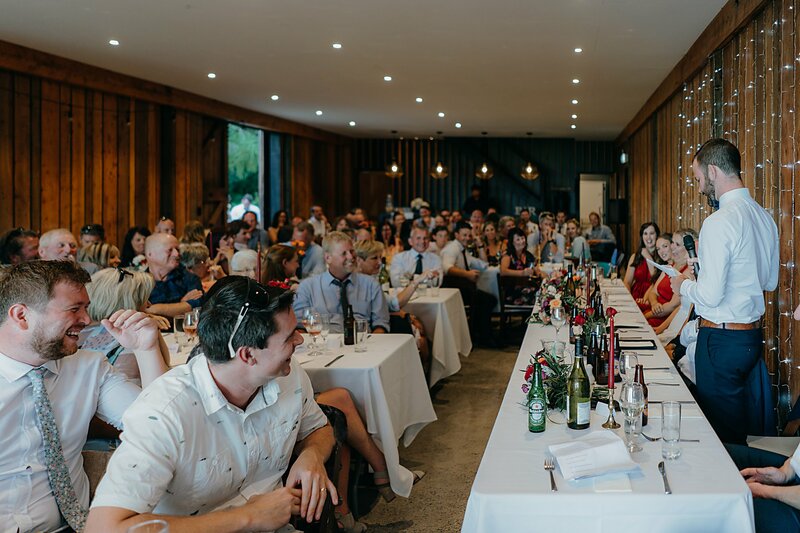 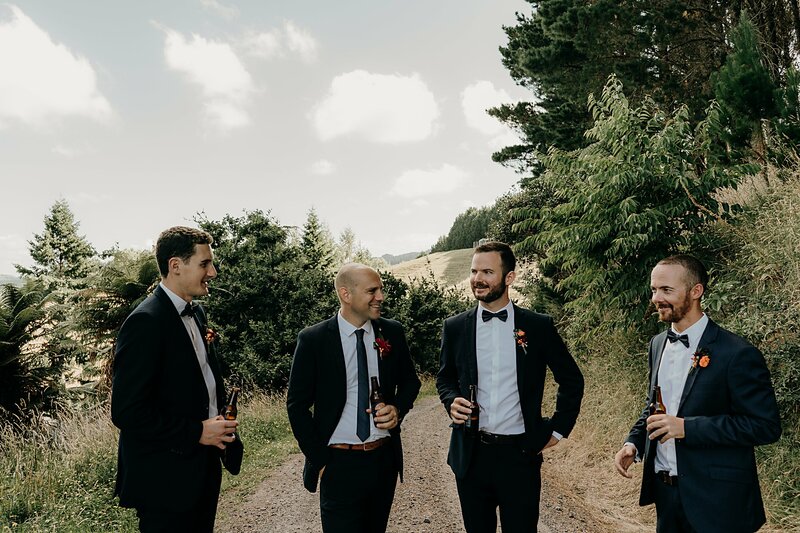 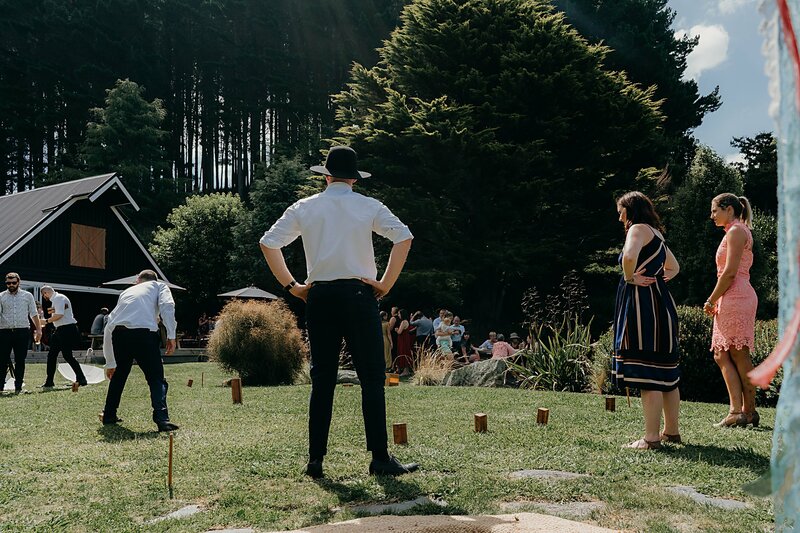 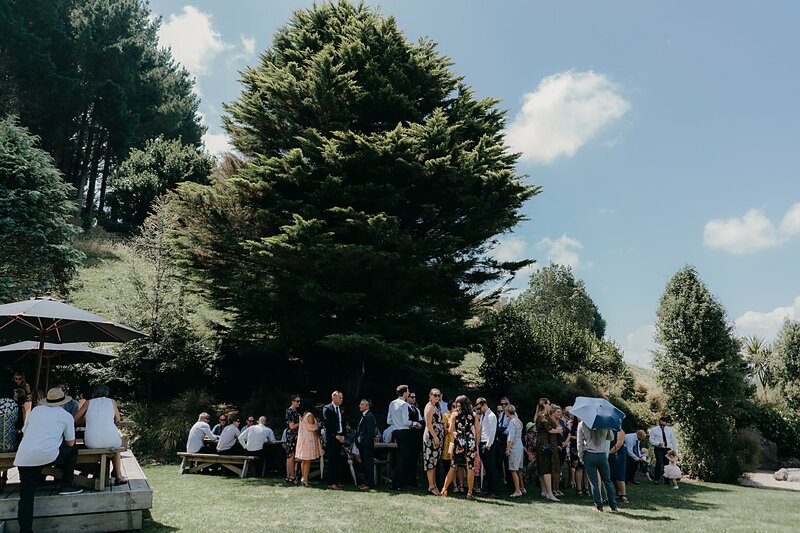 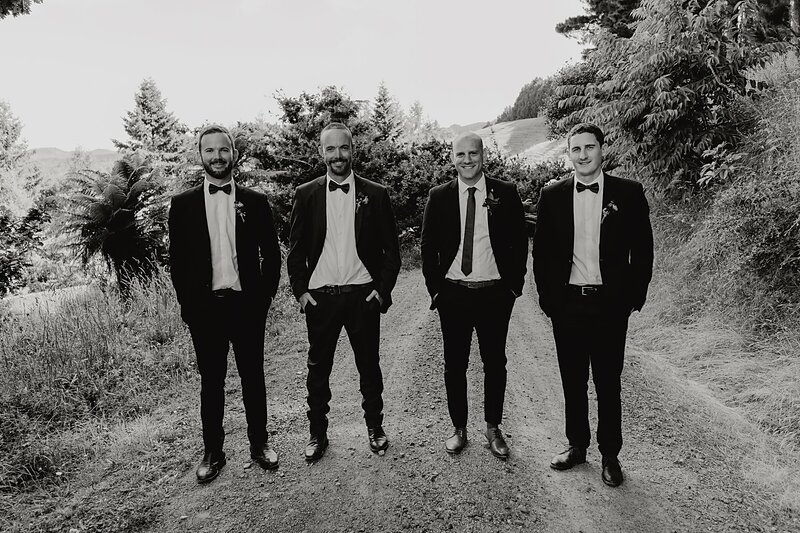 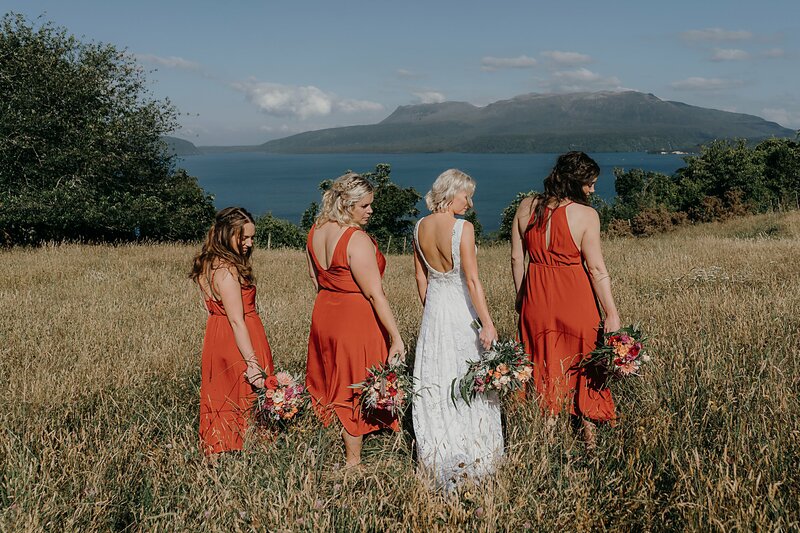 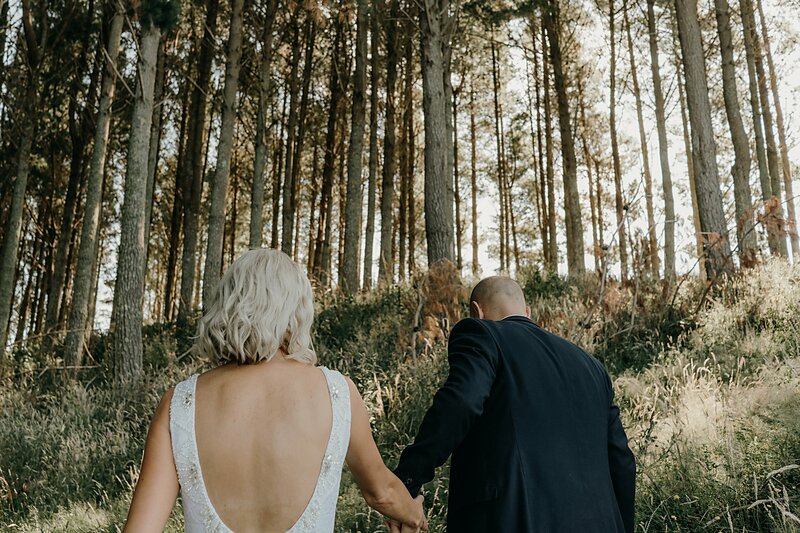 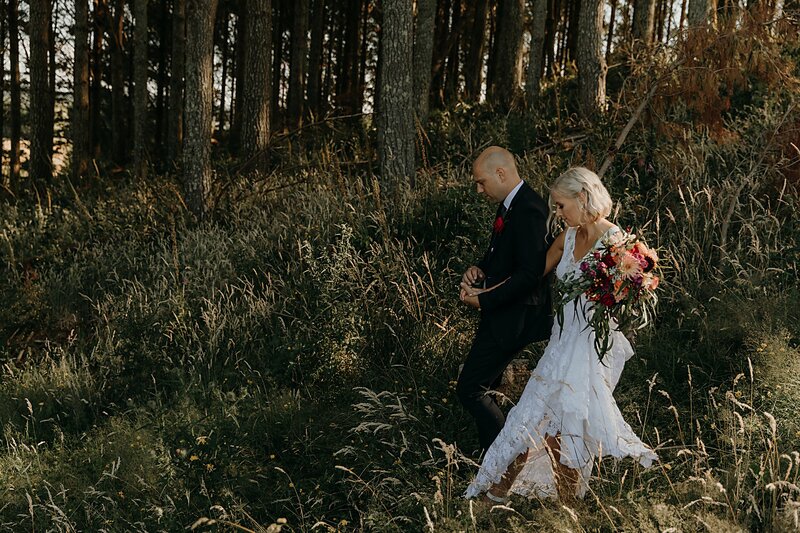 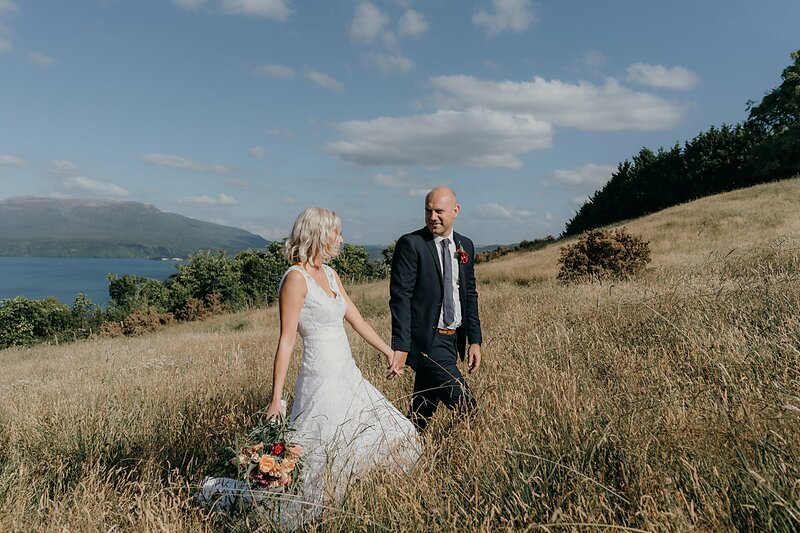 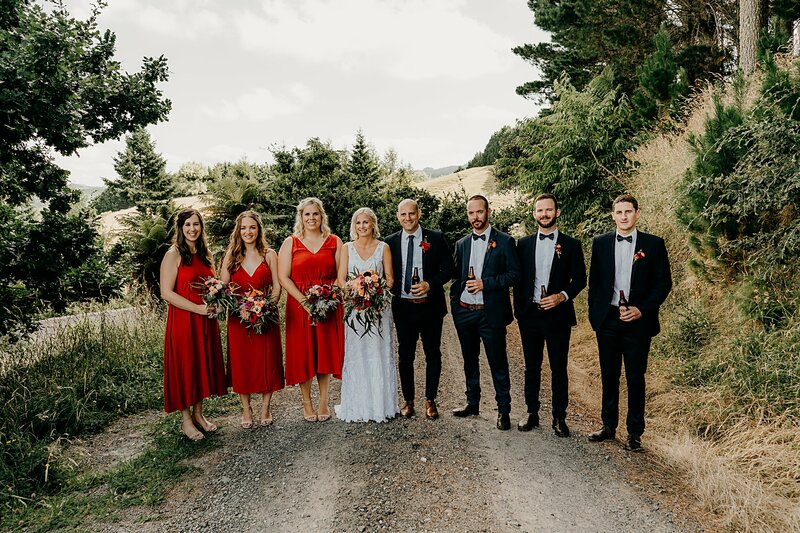 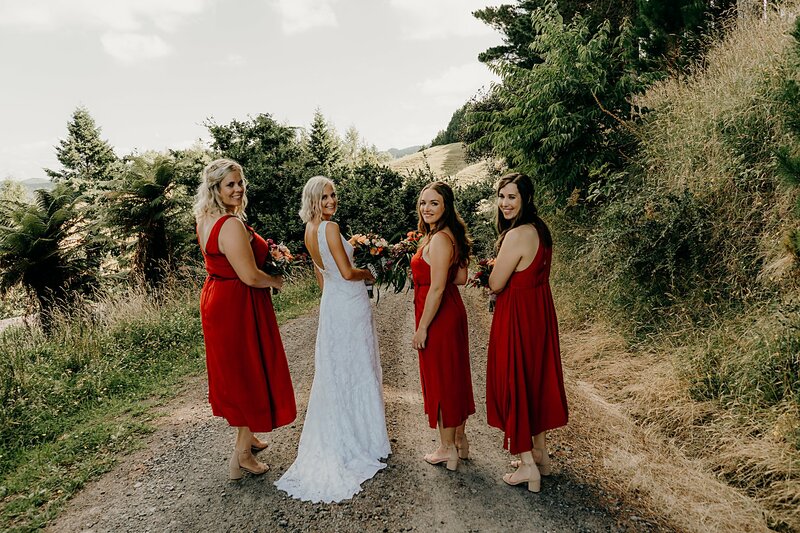 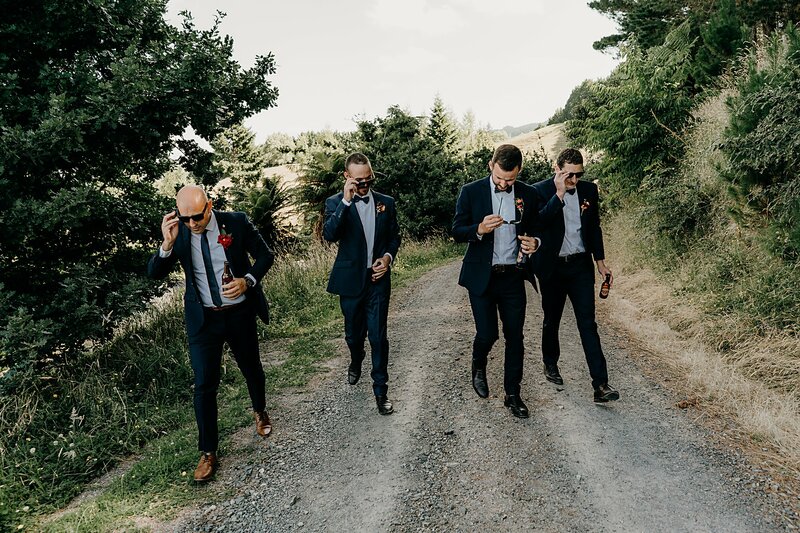 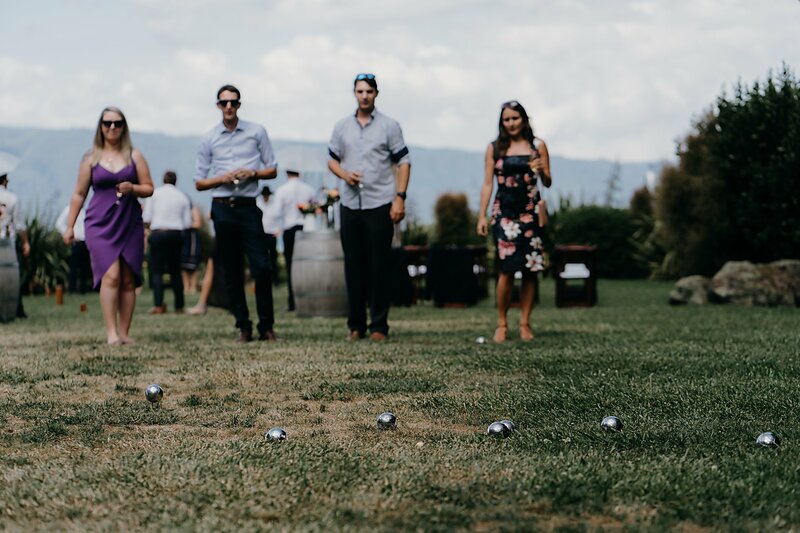 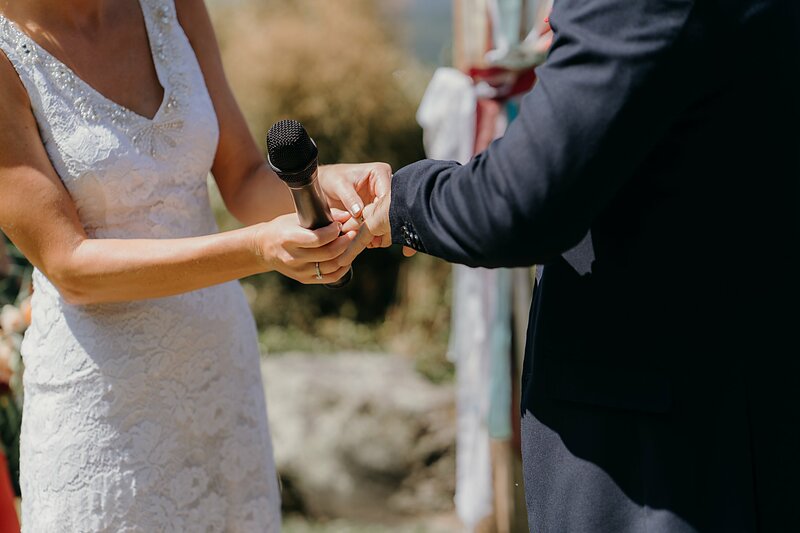 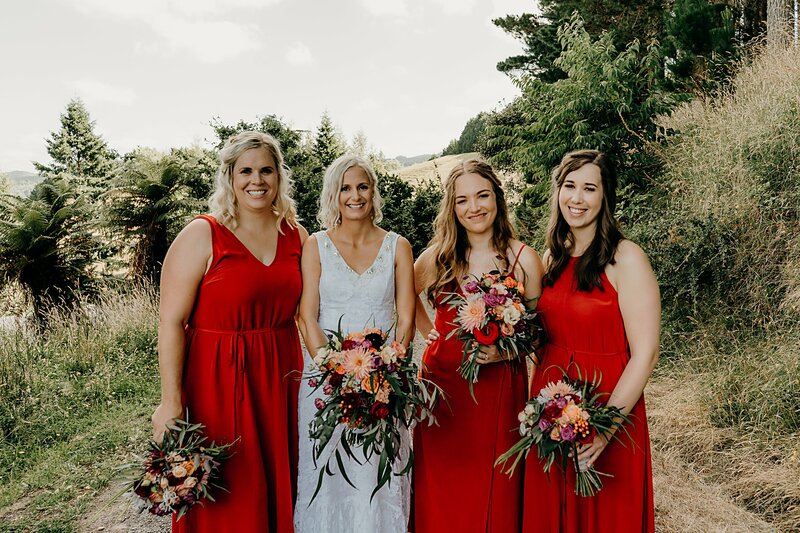 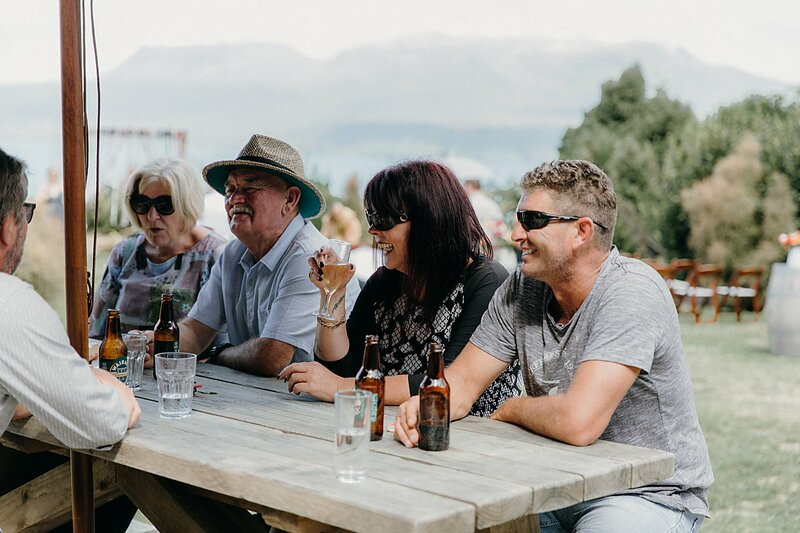 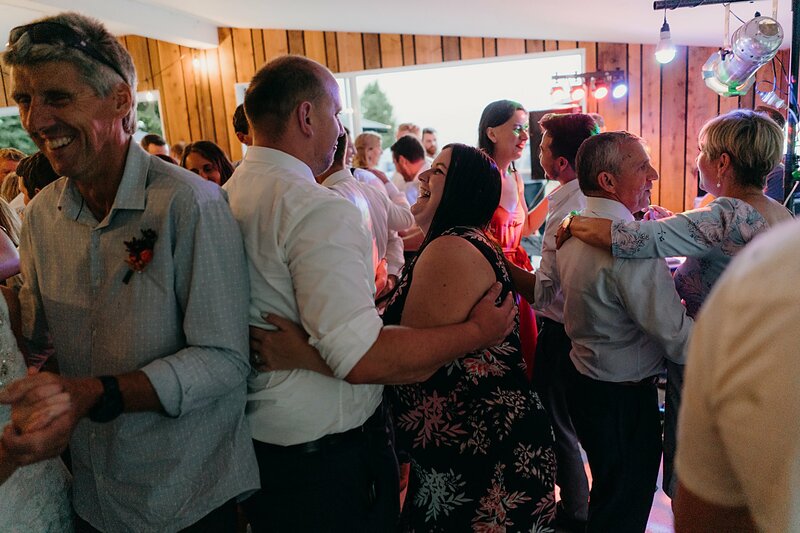 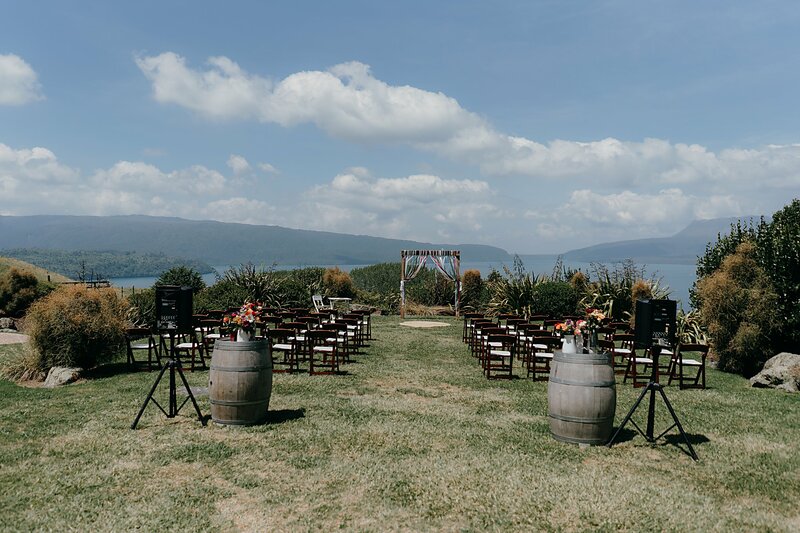 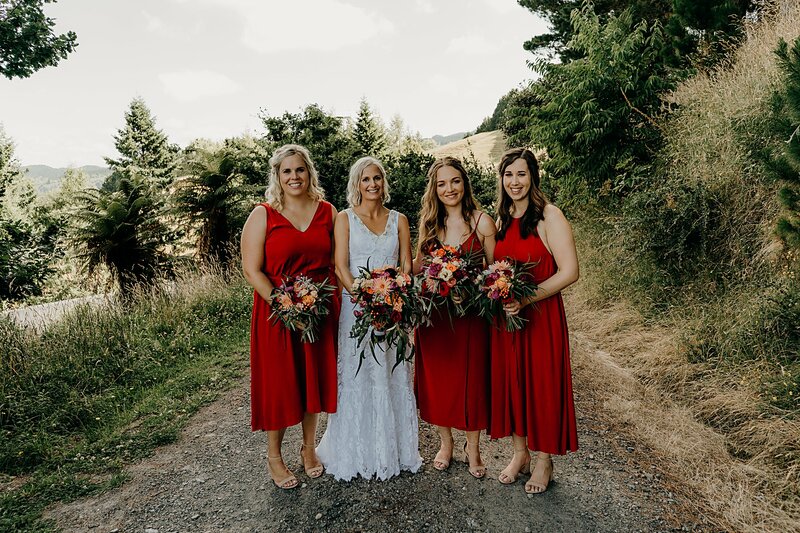 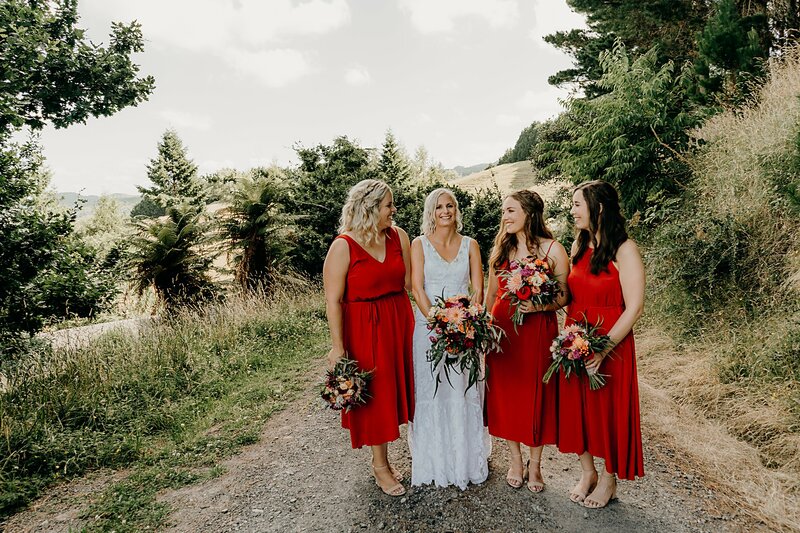 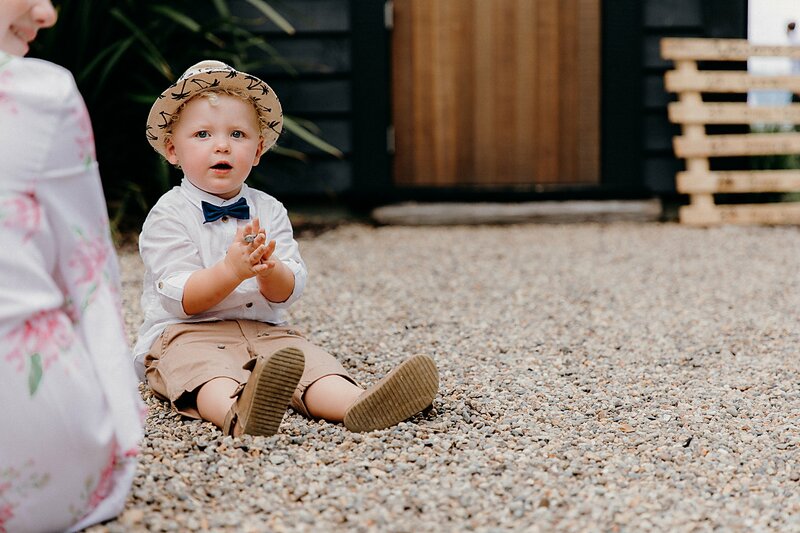 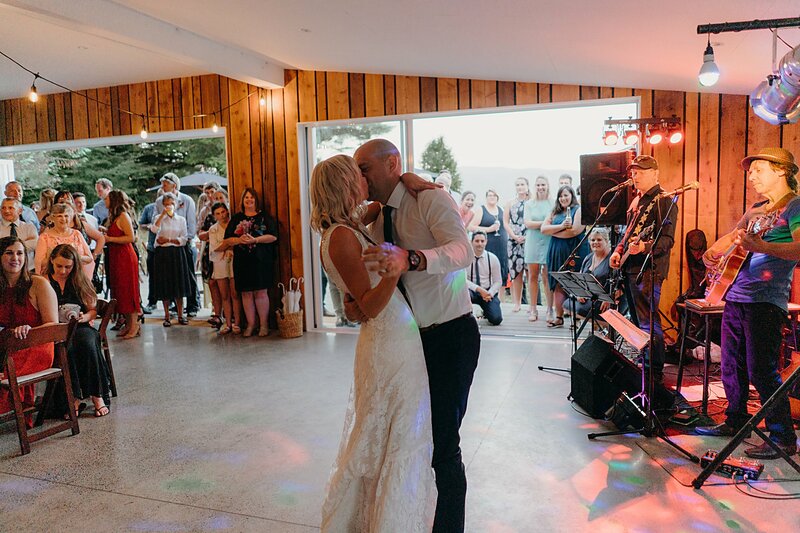 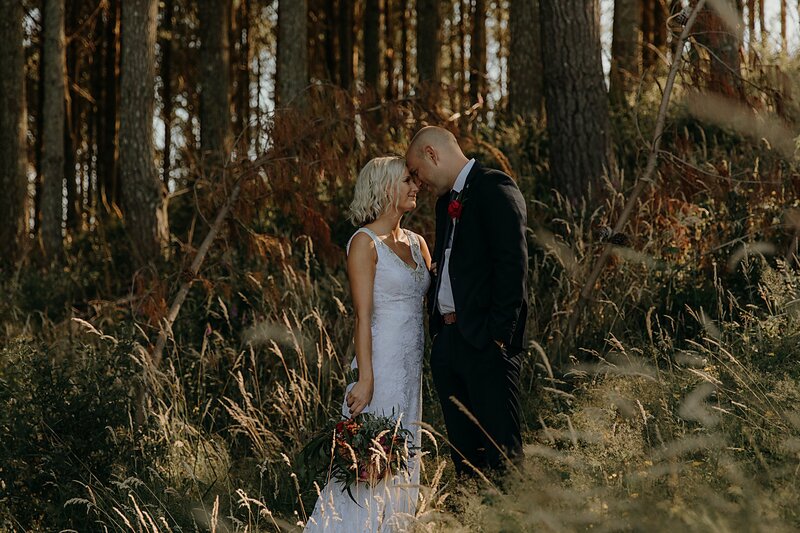 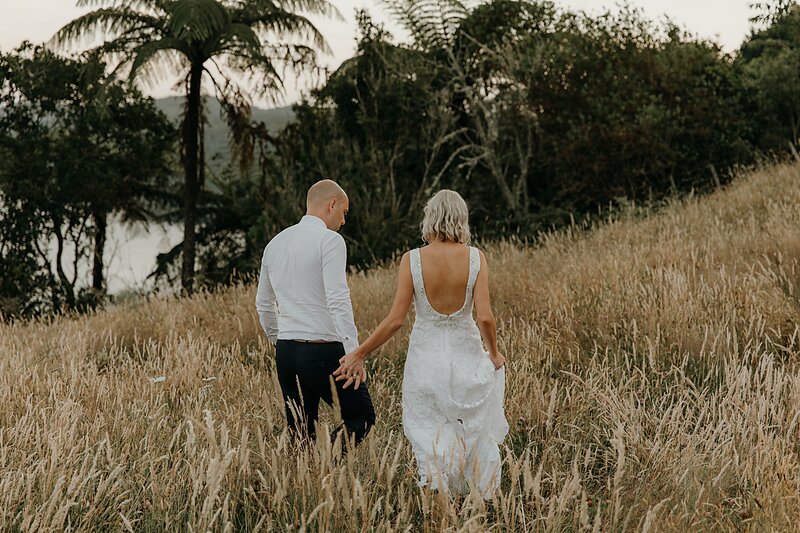 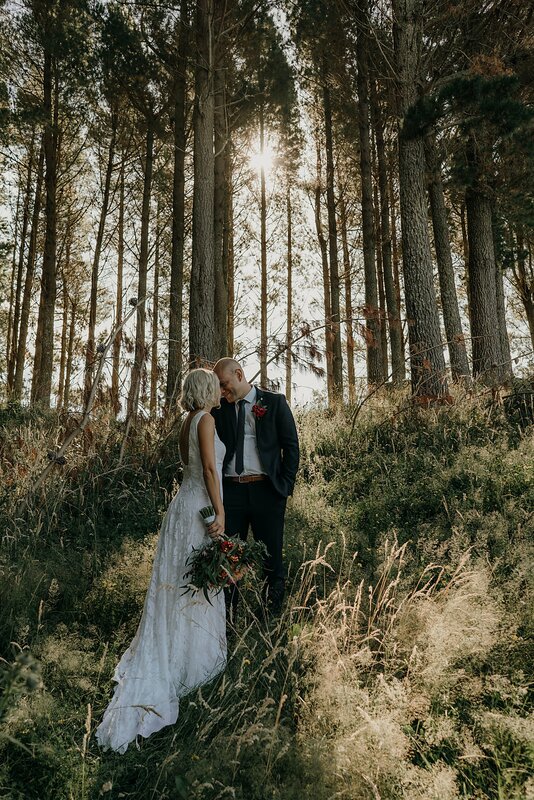 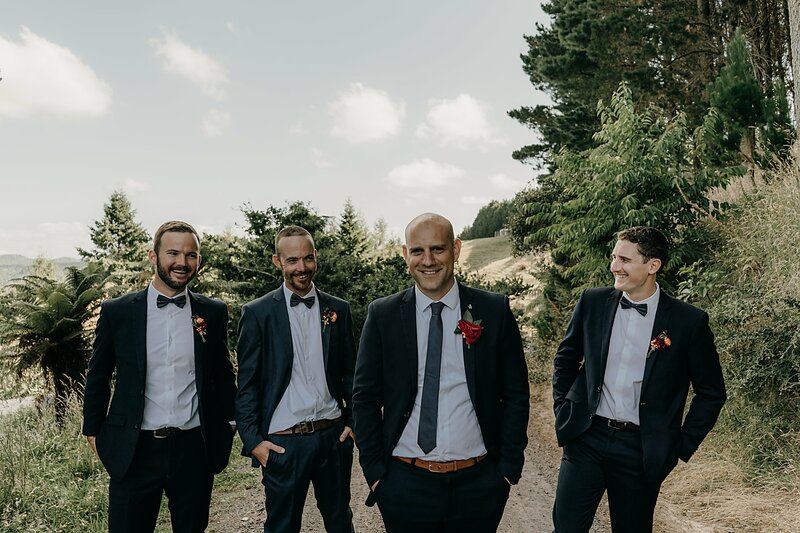 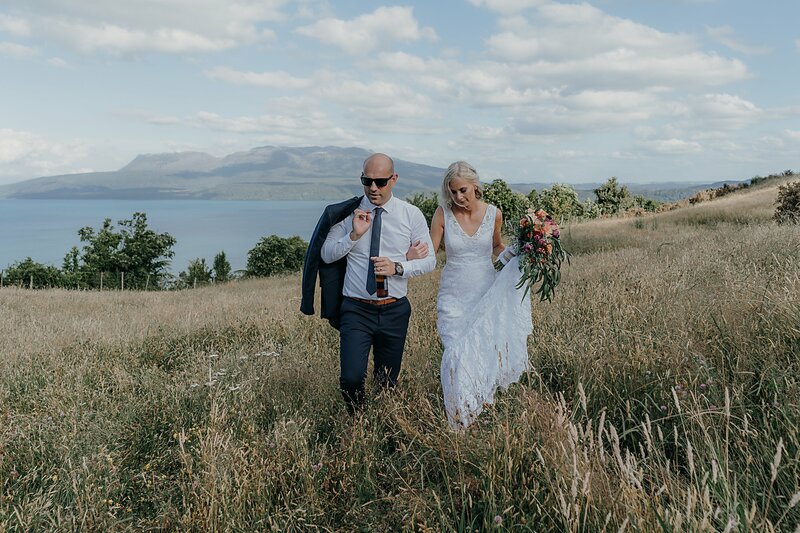 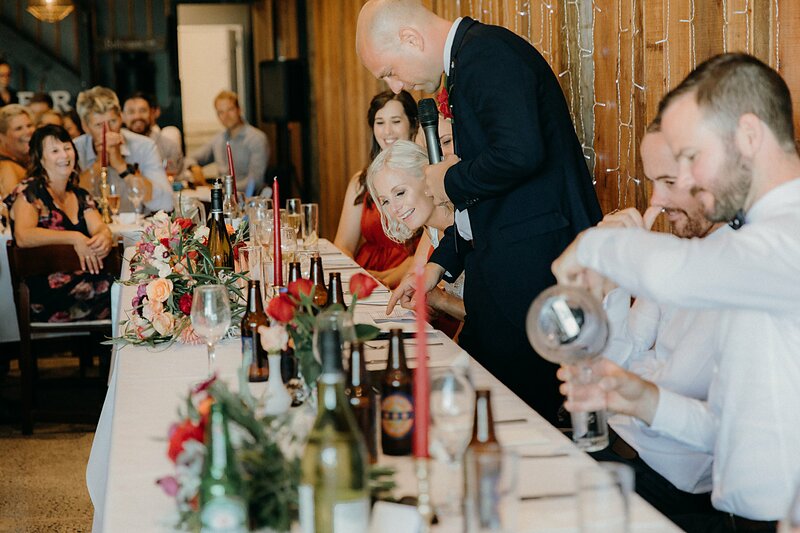 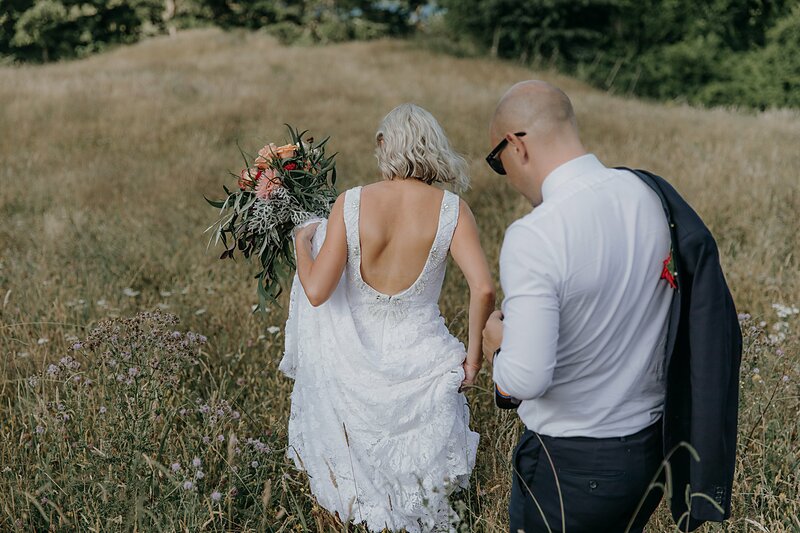 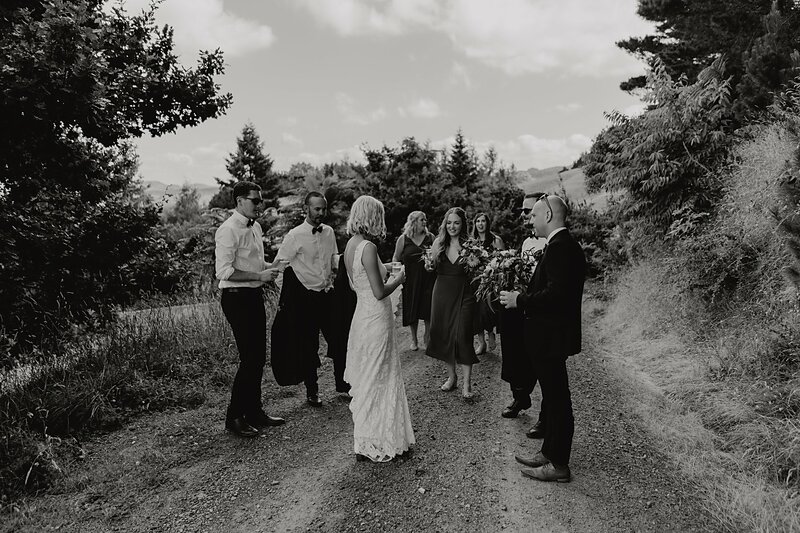 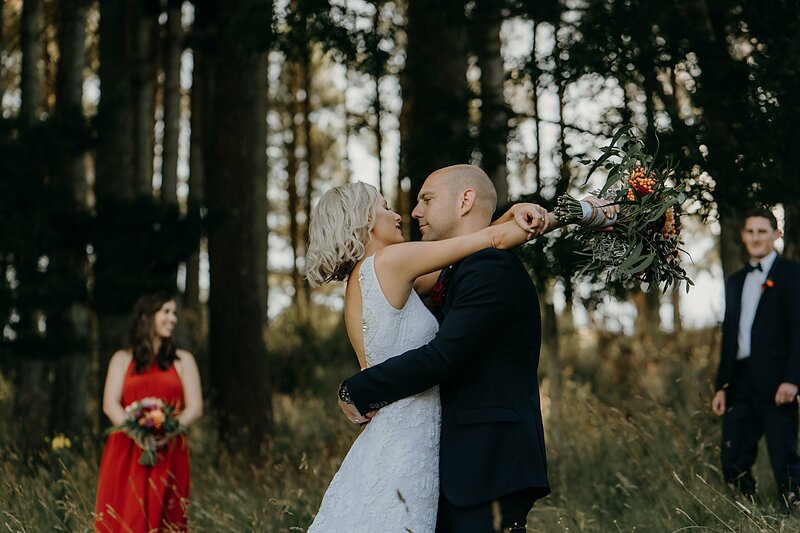 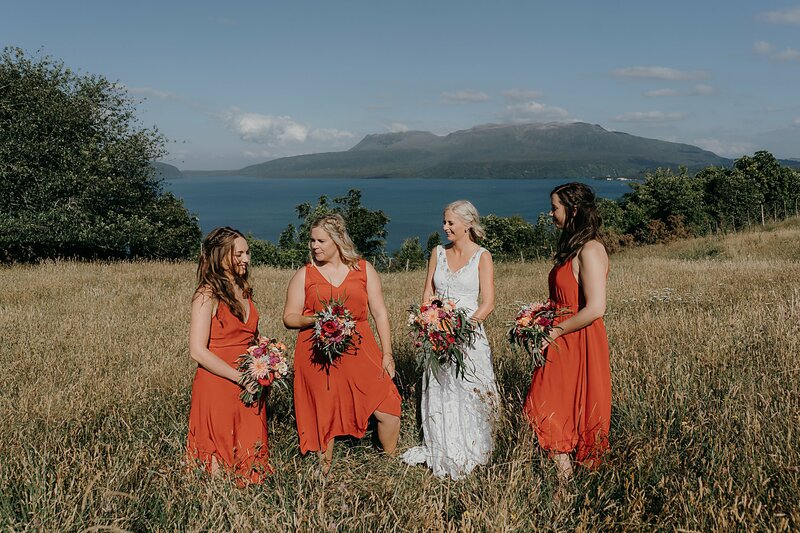 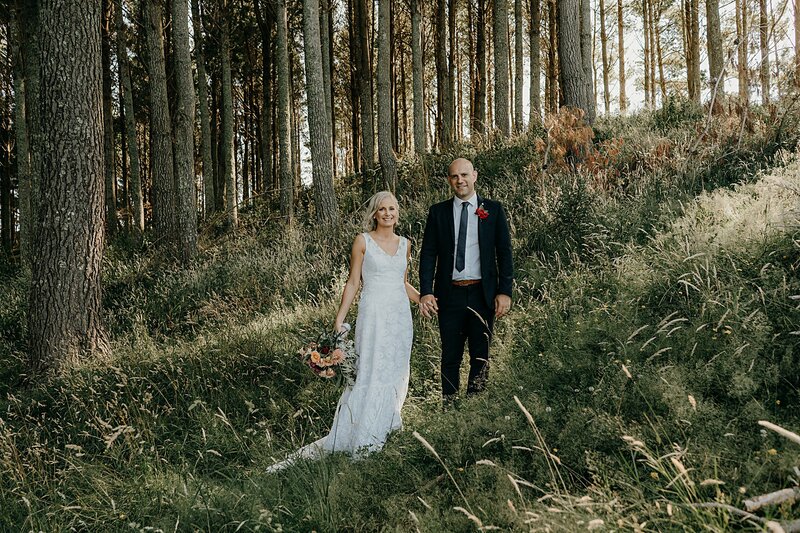 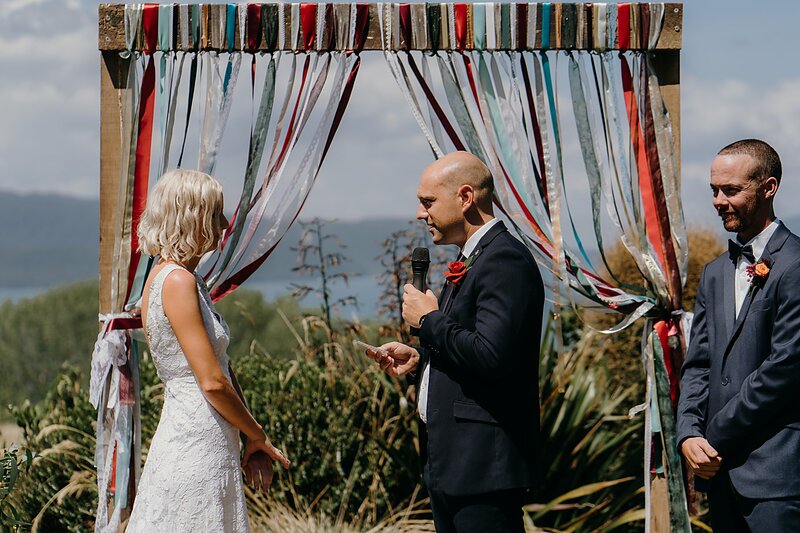 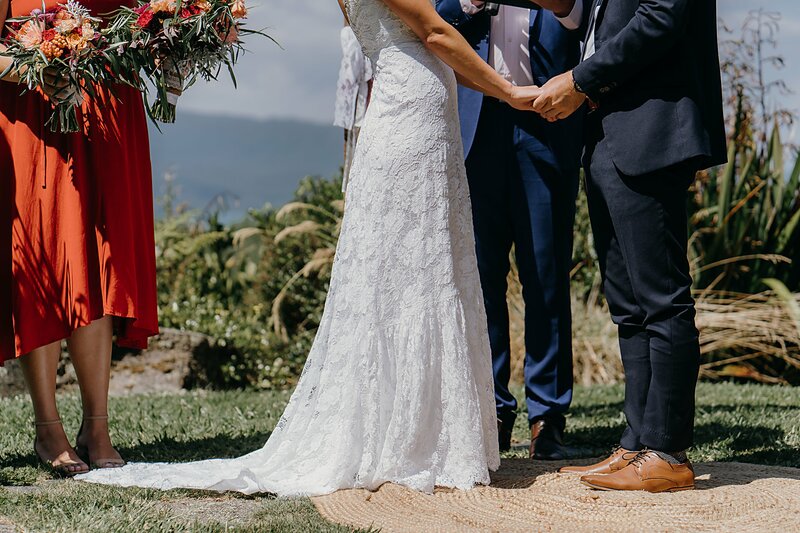 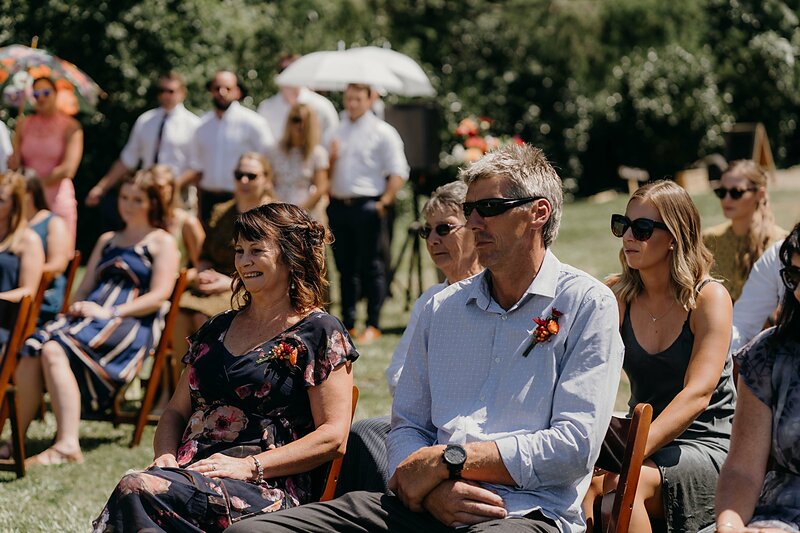 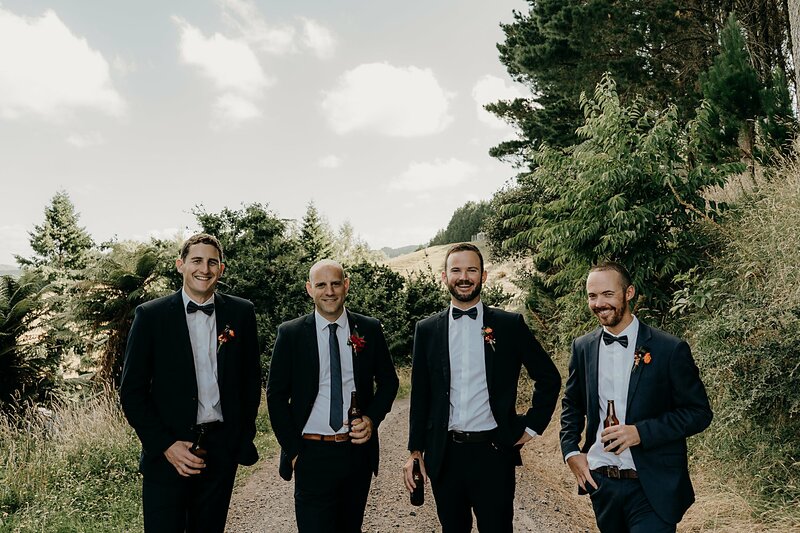 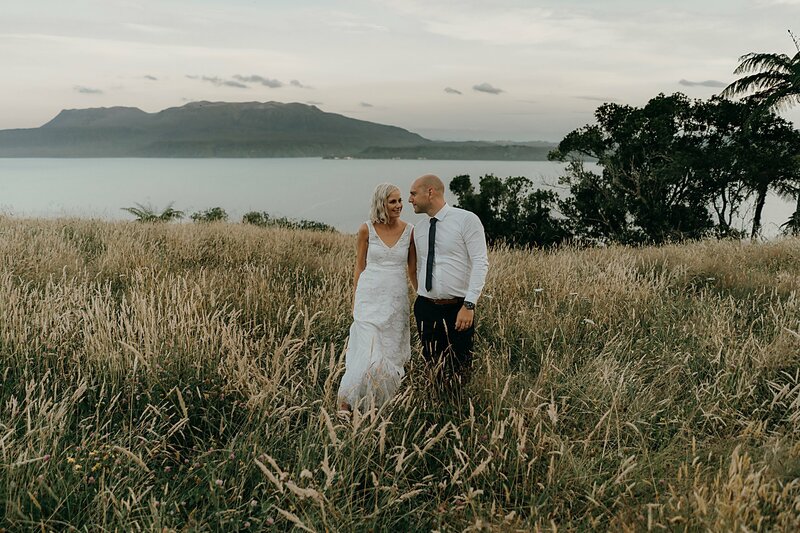 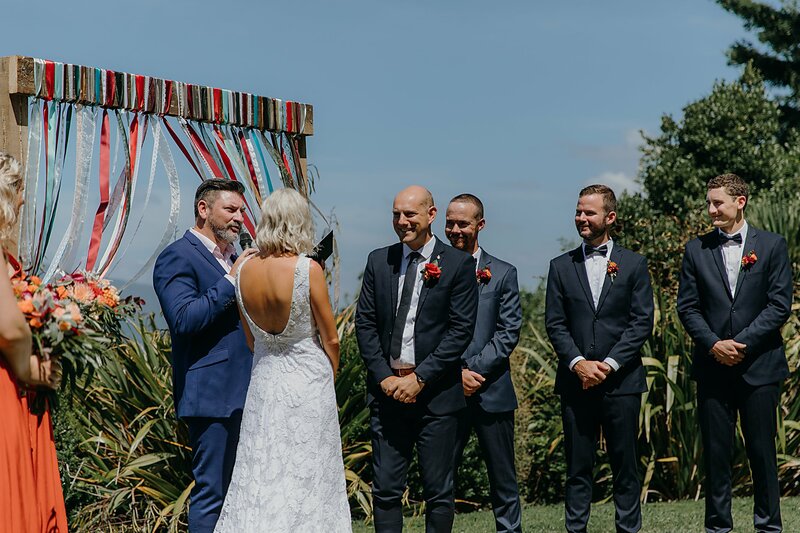 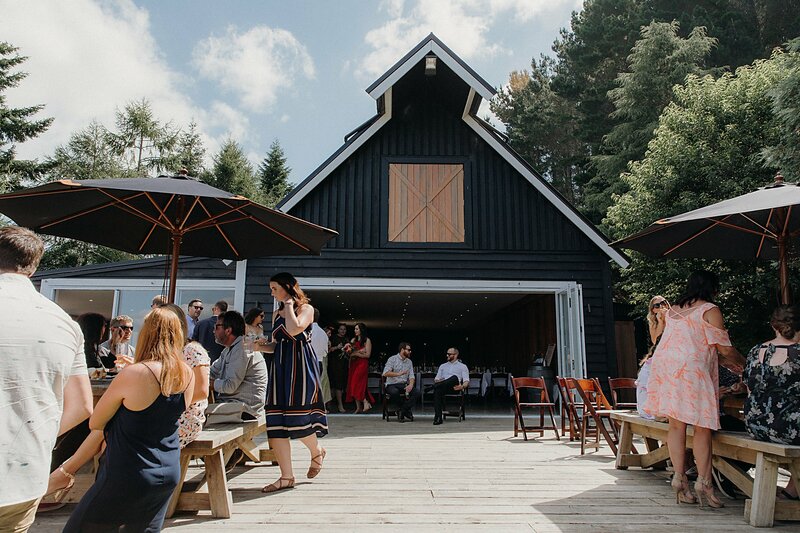 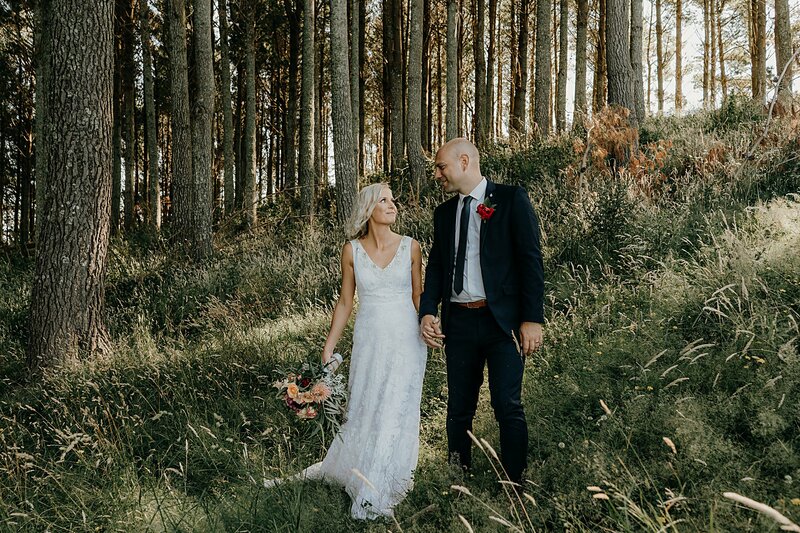 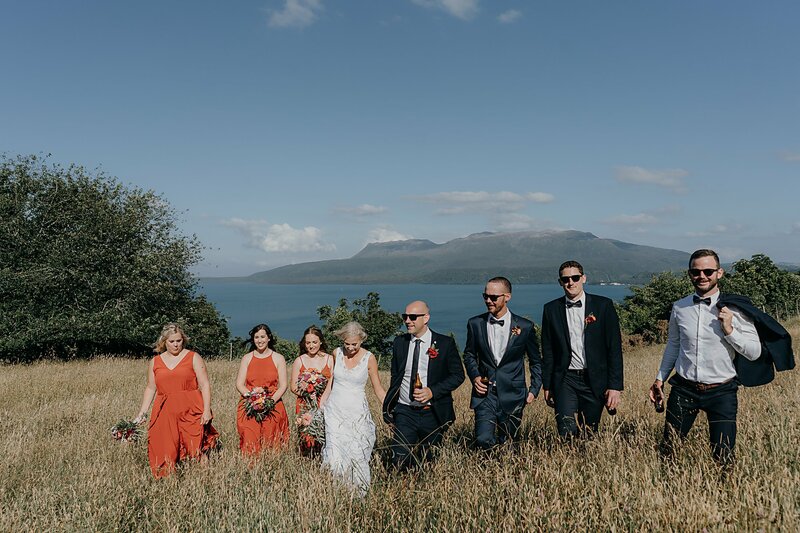 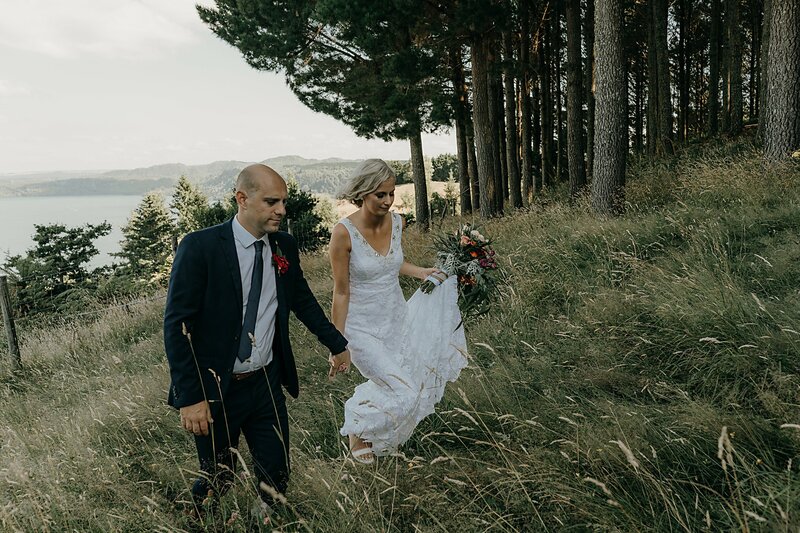 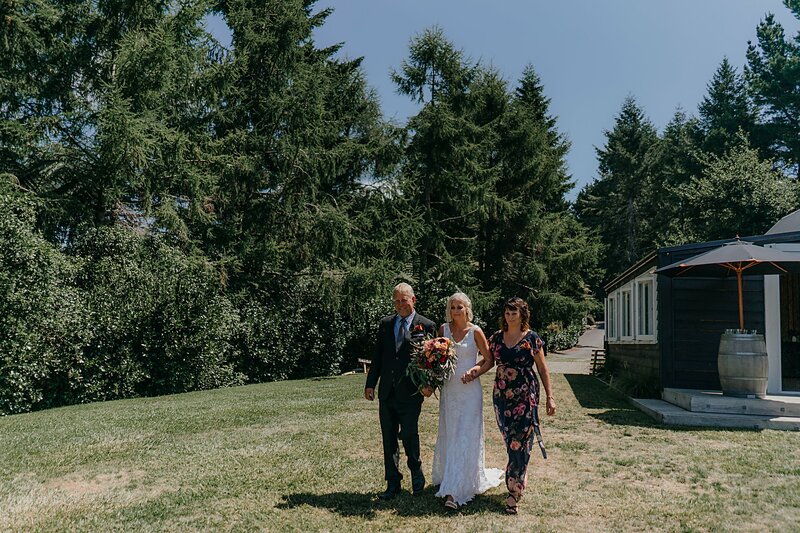 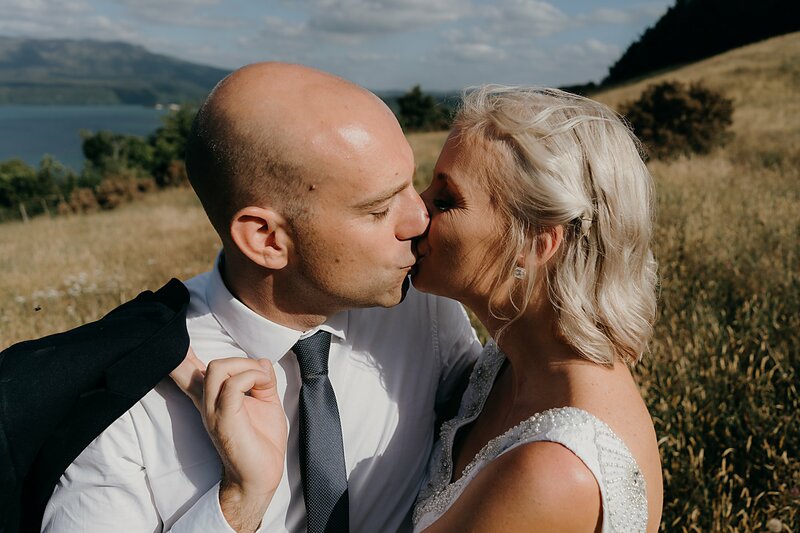 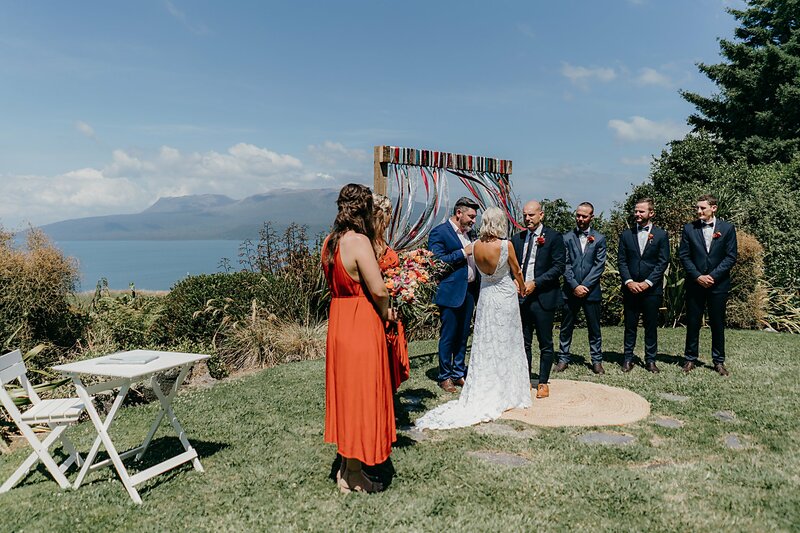 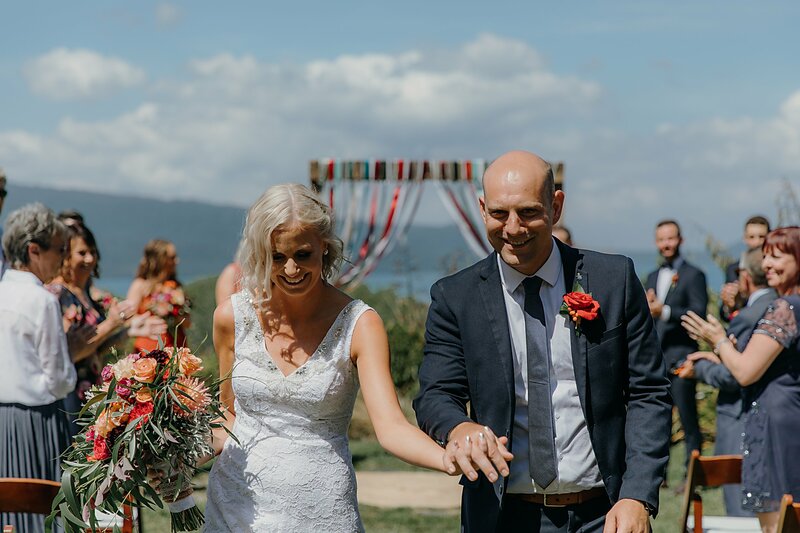 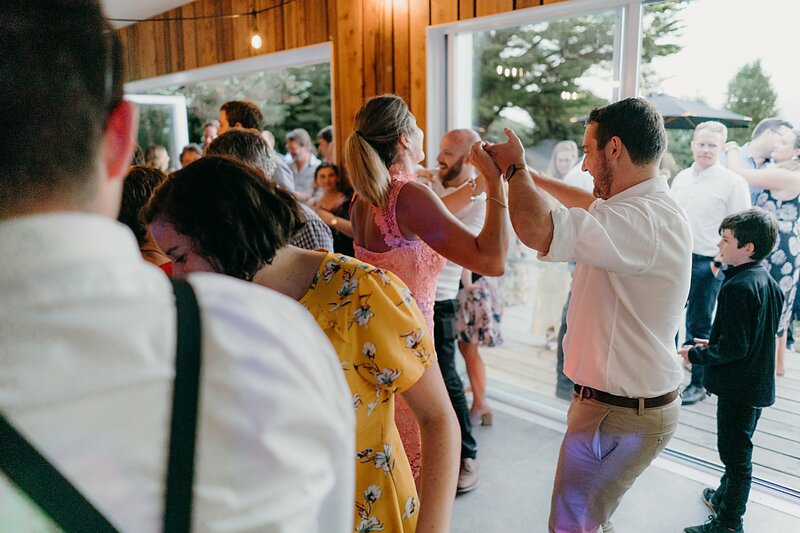 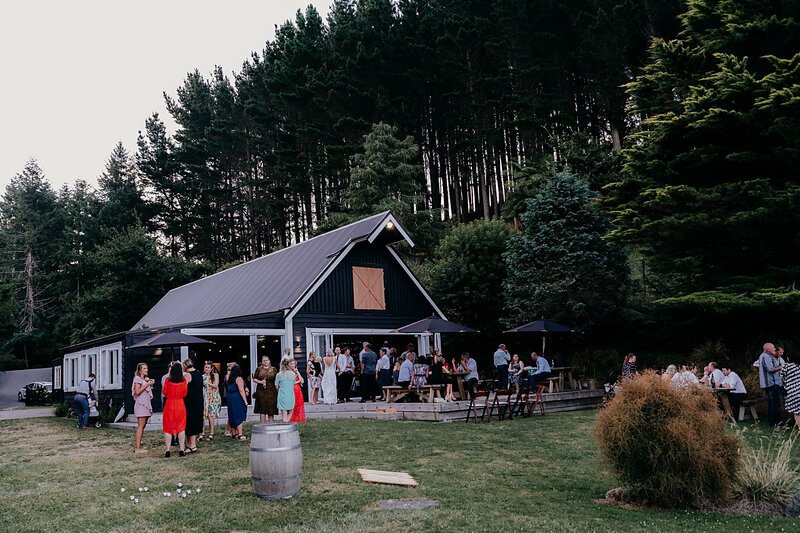 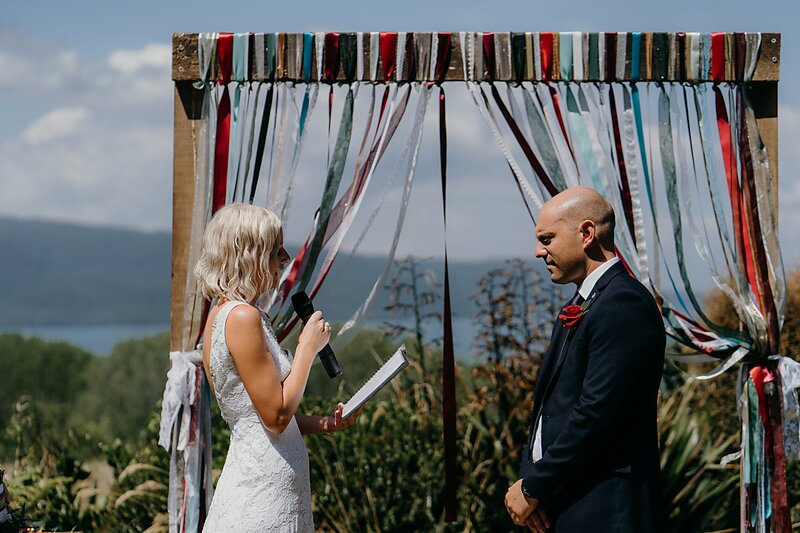 Black Barn Tuahiwi overlooking Lake Tarawera in Rotorua is my favourite wedding venue. 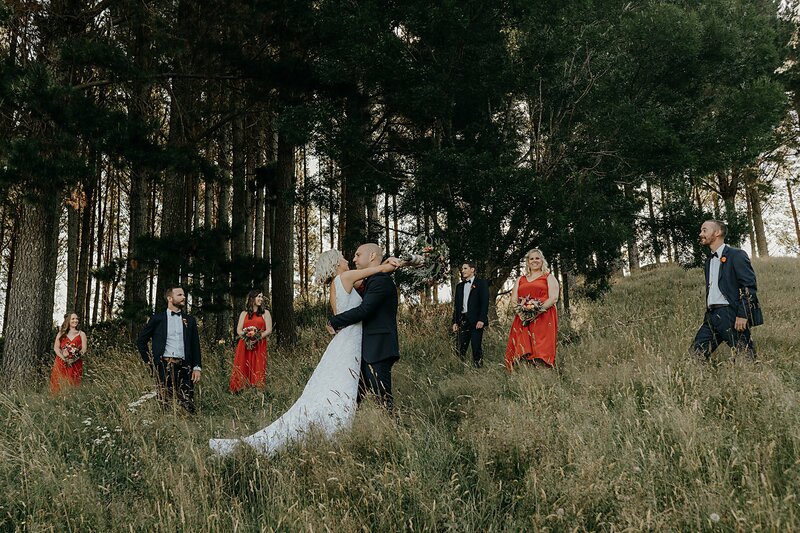 Kieran and Jaimee were luckily enough to be married there. 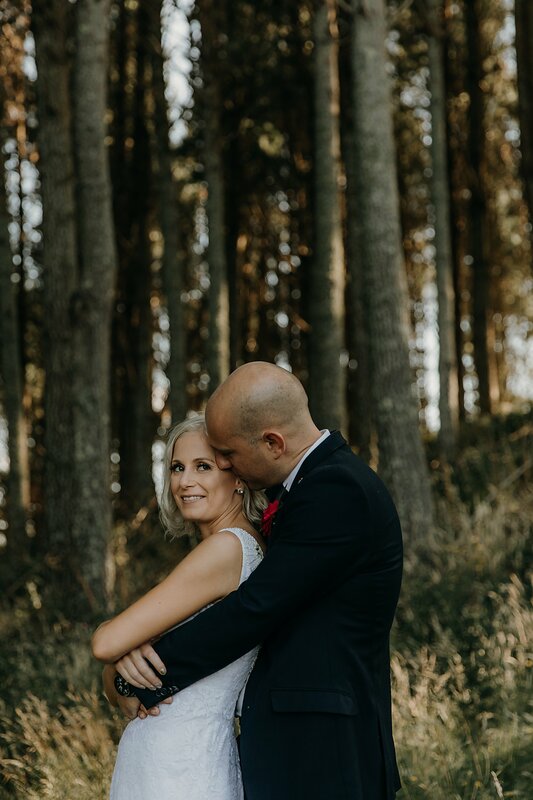 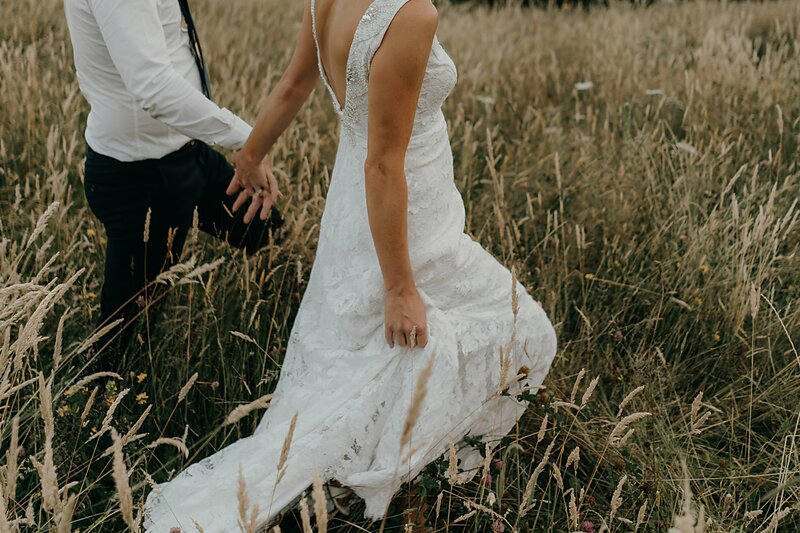 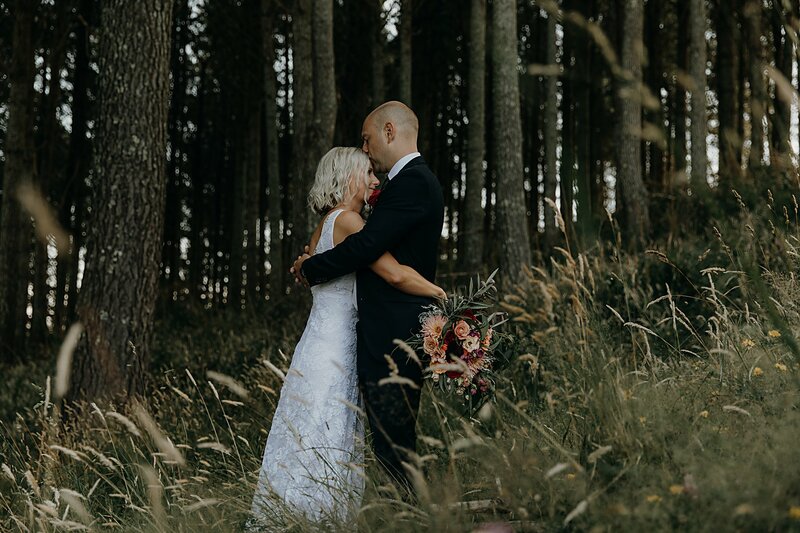 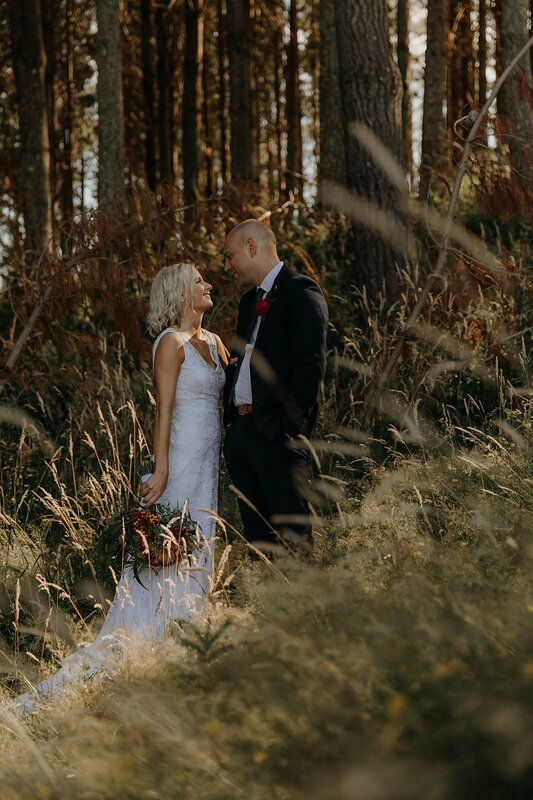 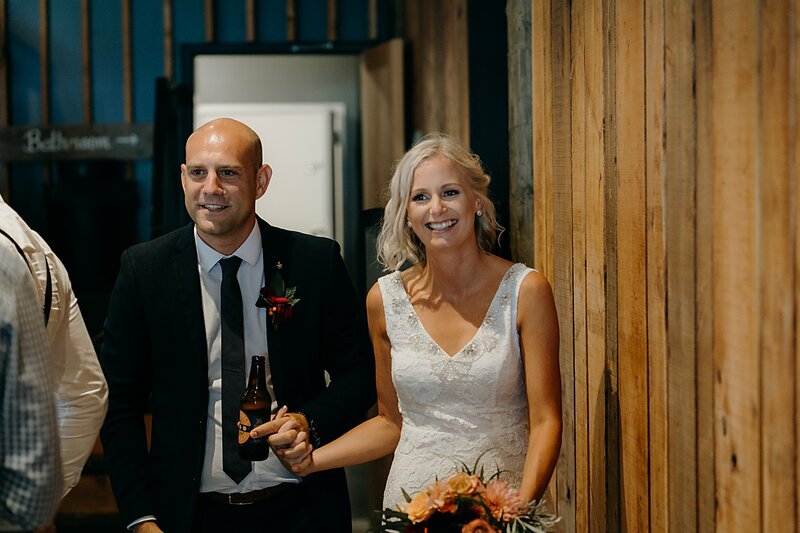 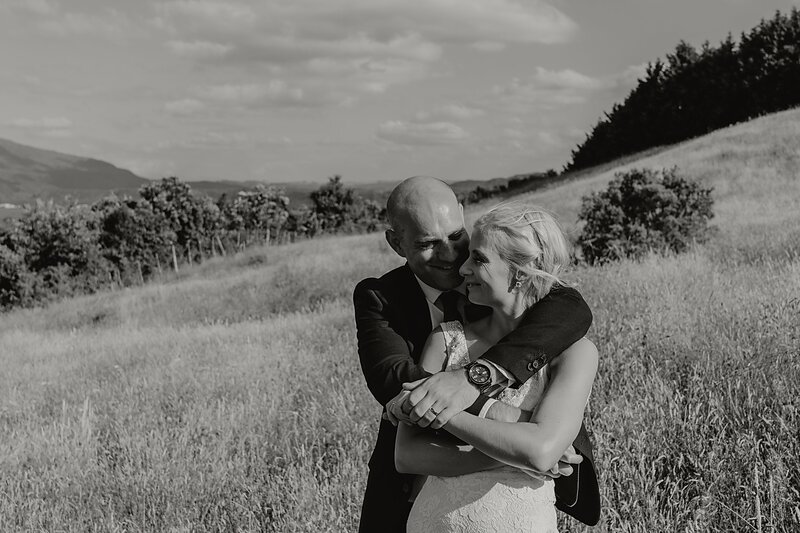 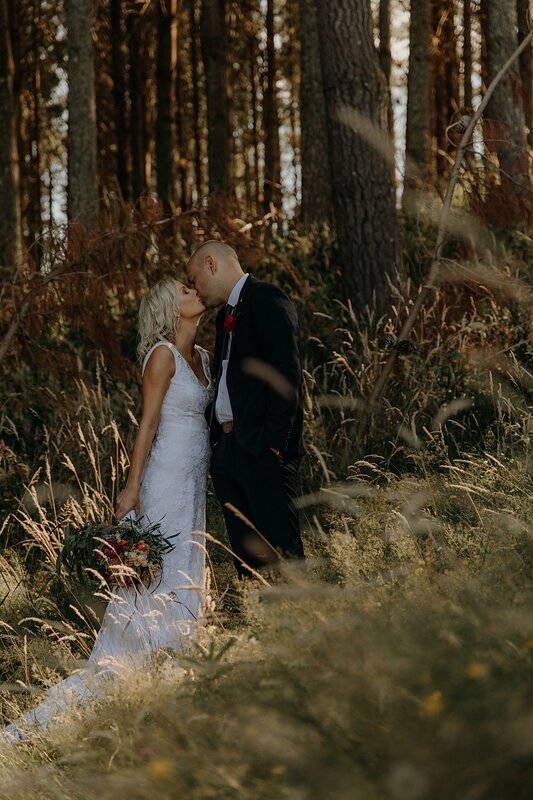 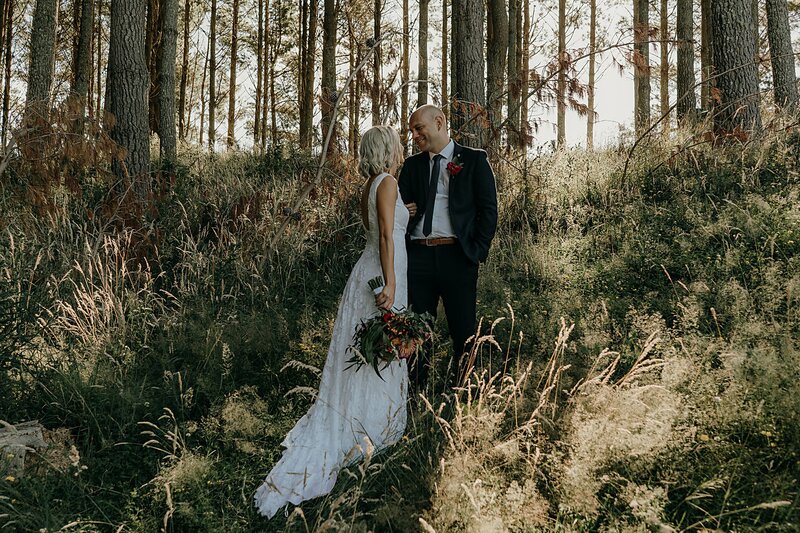 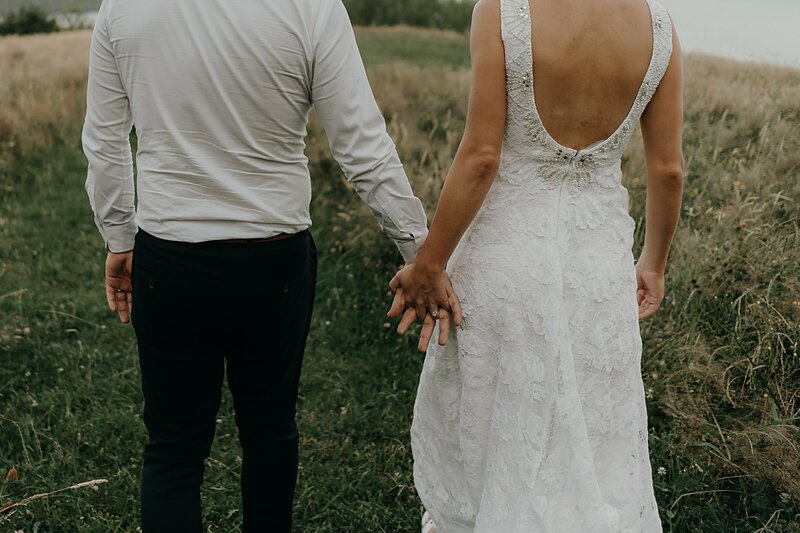 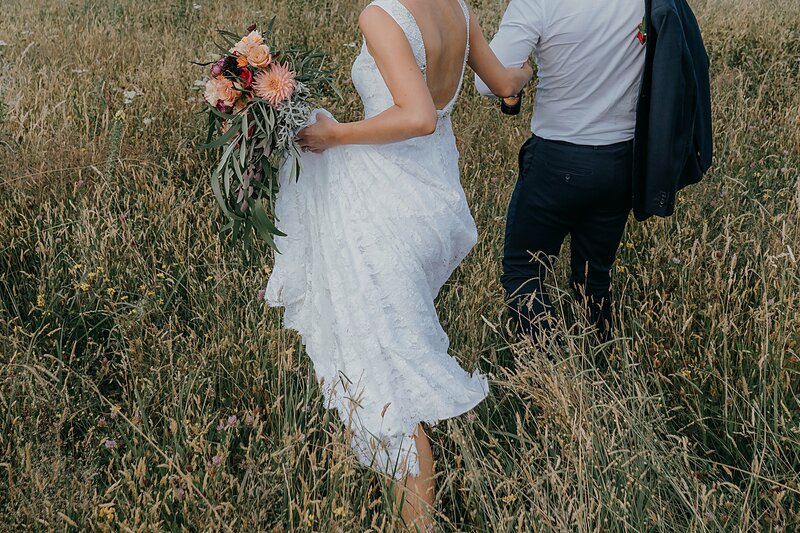 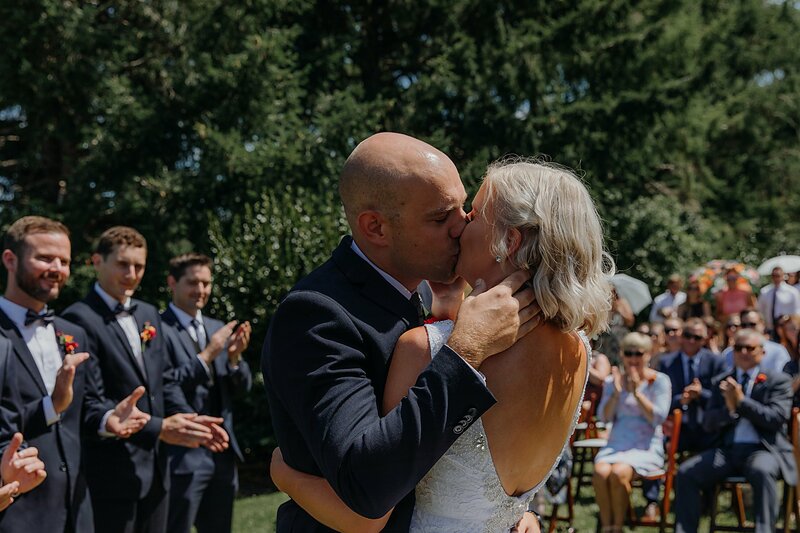 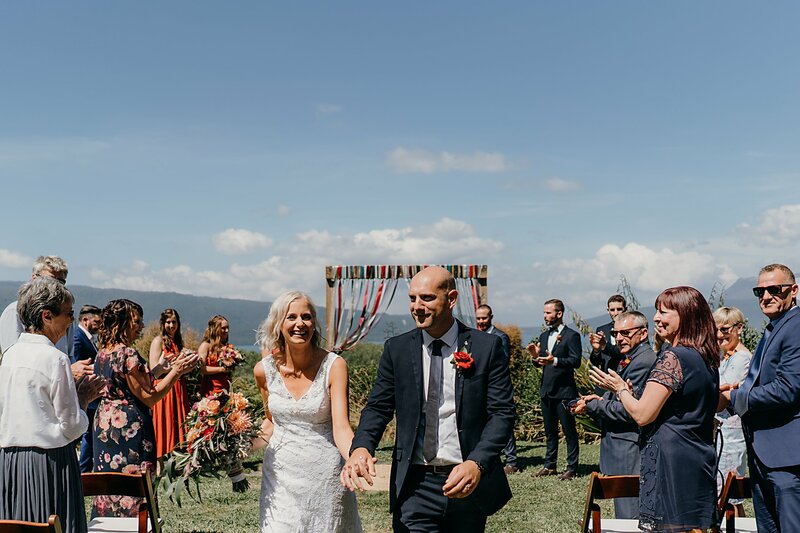 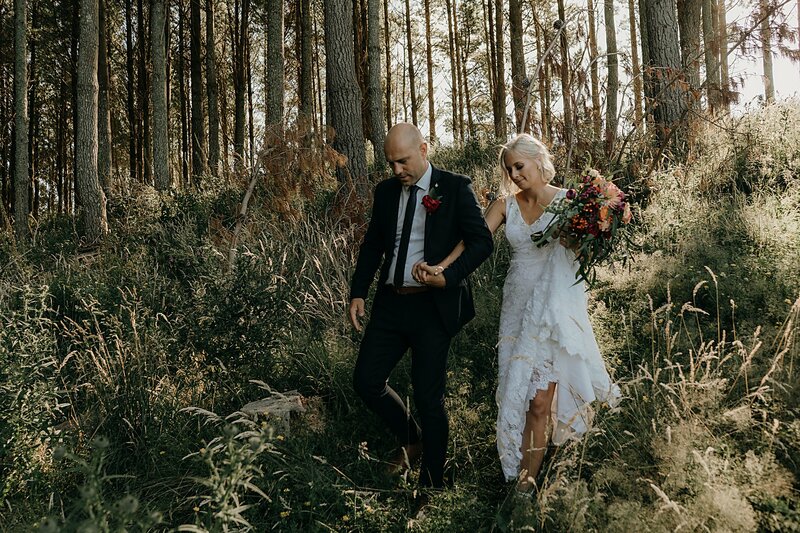 Their wedding day was beautiful! 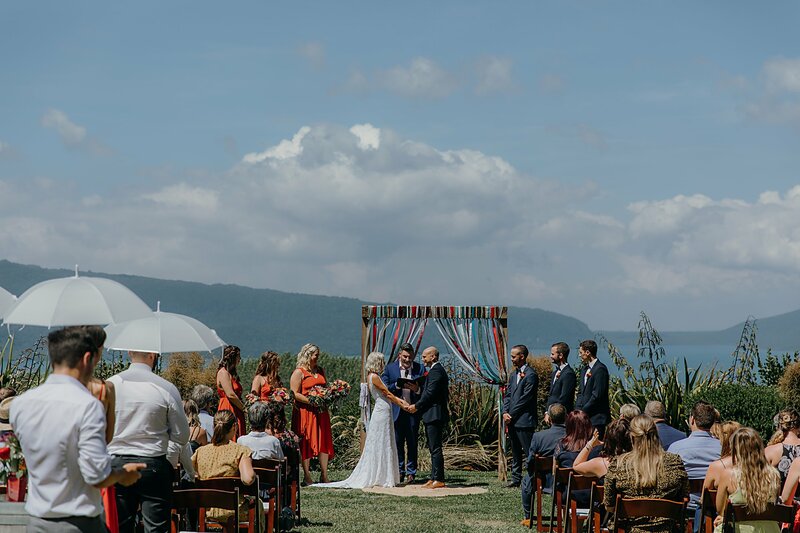 They couldn’t have asked for more perfect weather. 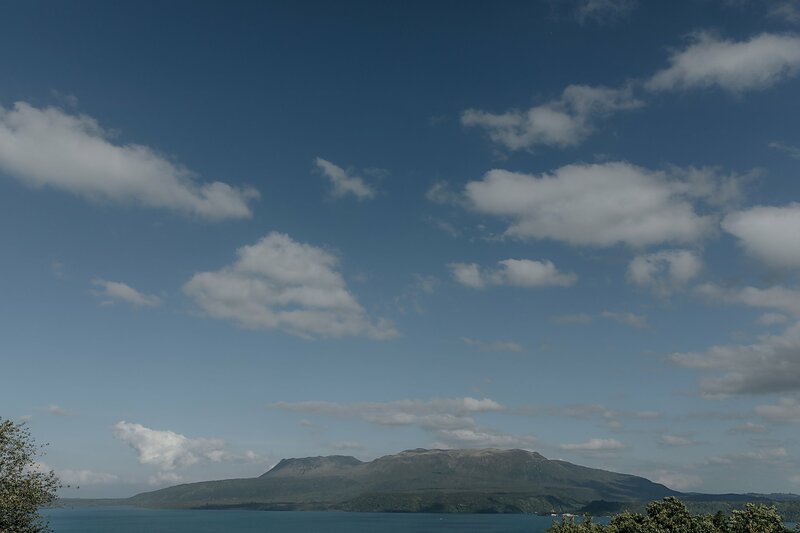 Will maybe a light wind. 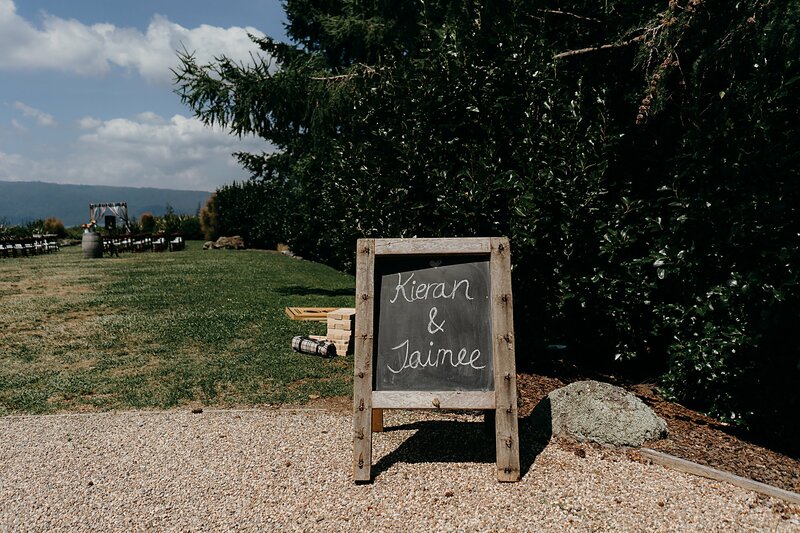 Kieran and Jainee had guests from around the world turn up. 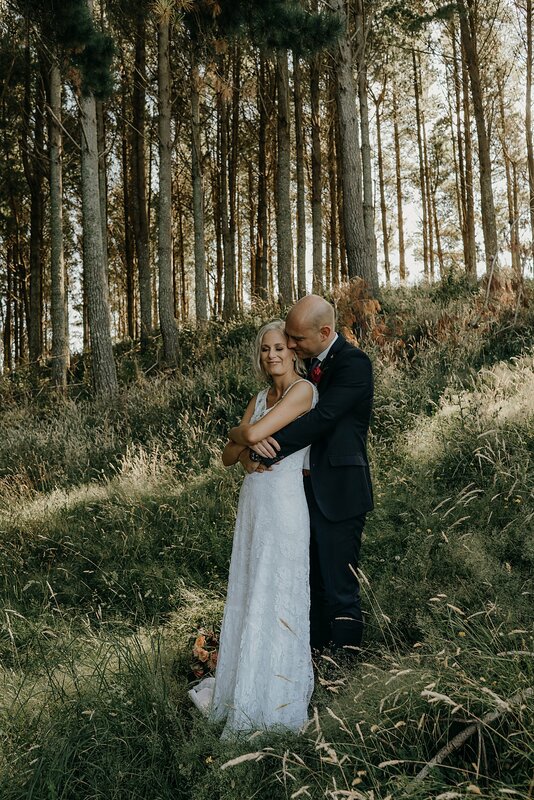 It really showed how amazing these two are. 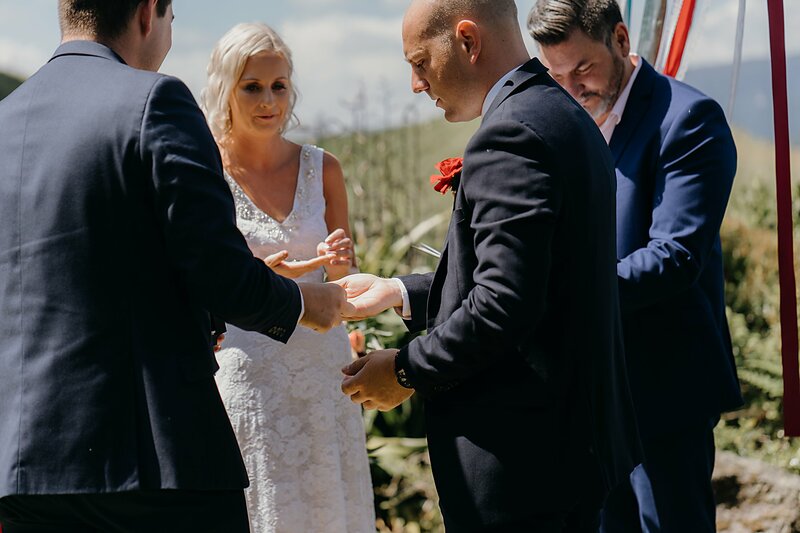 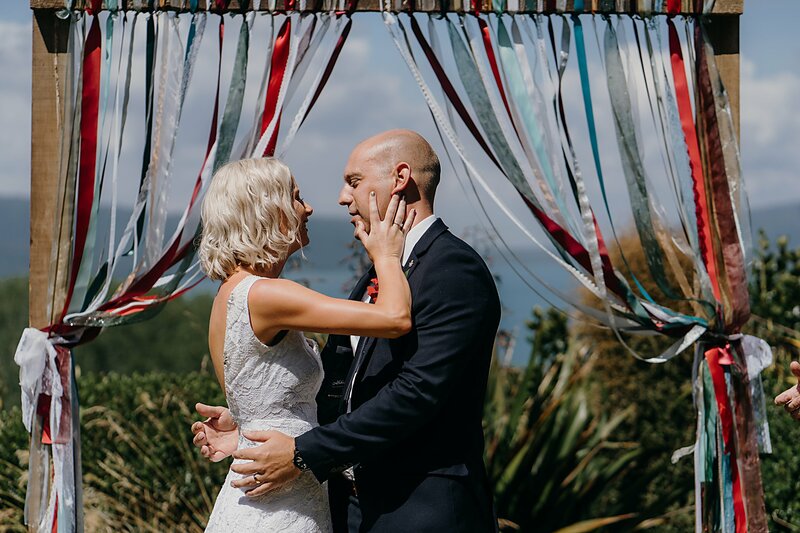 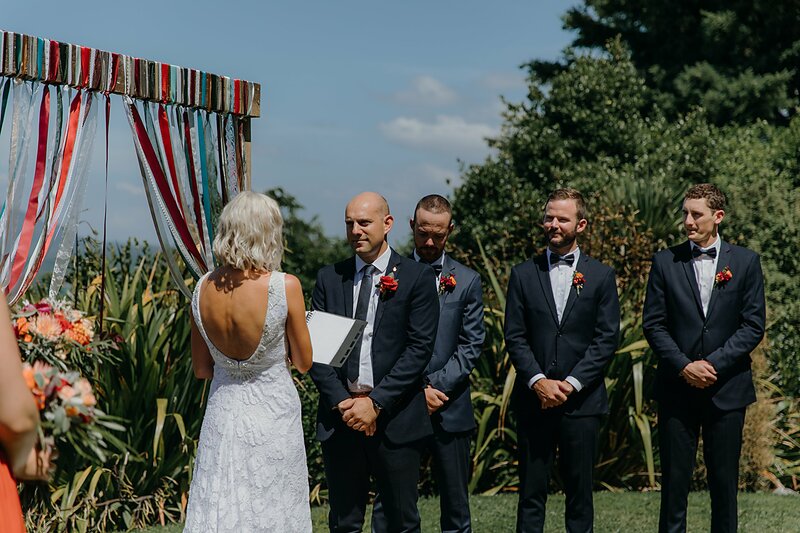 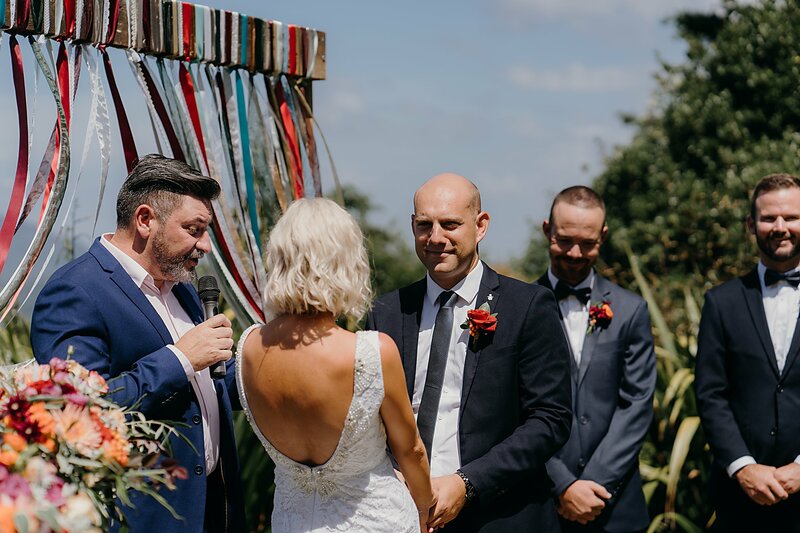 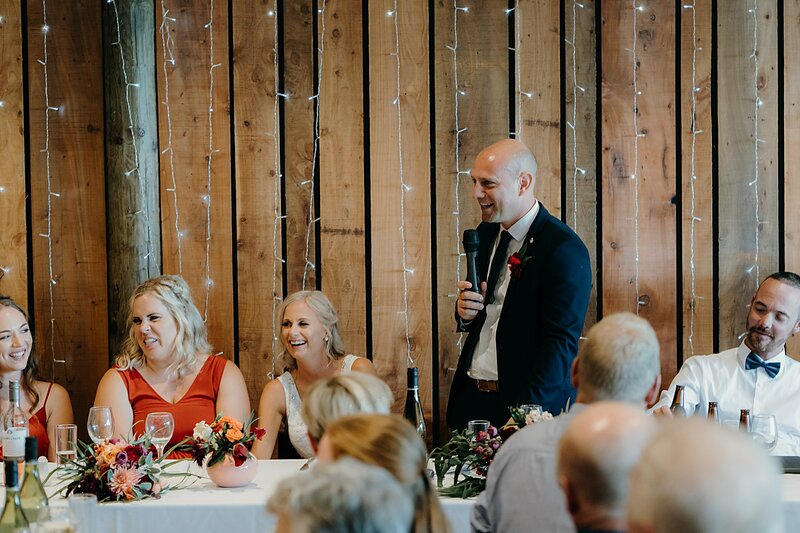 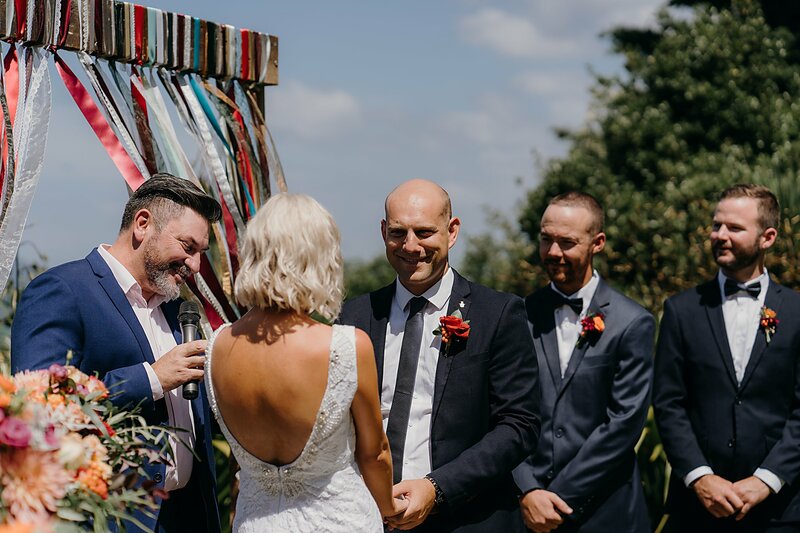 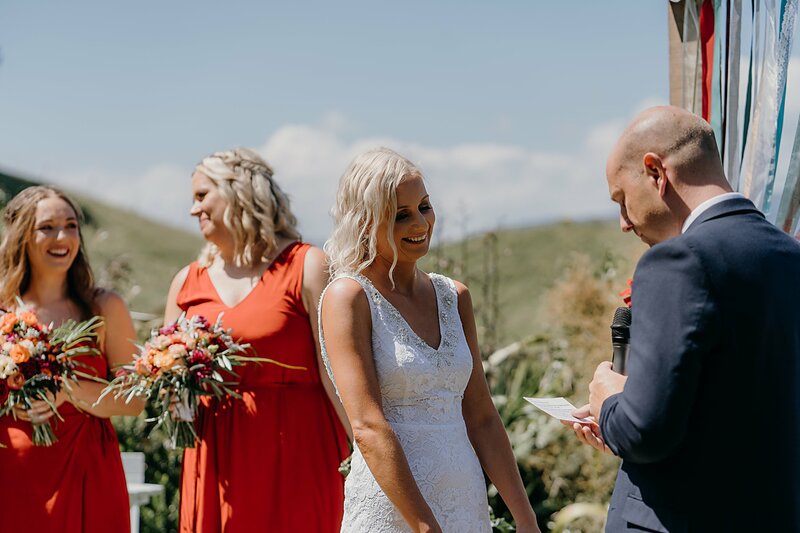 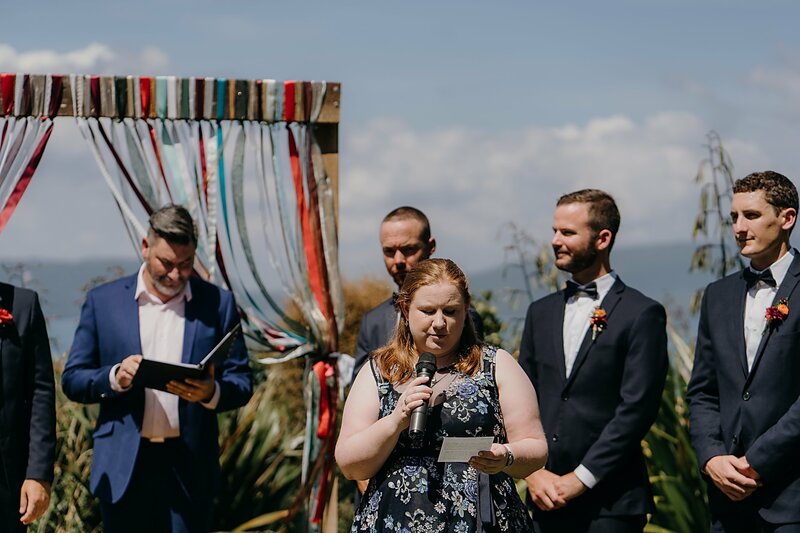 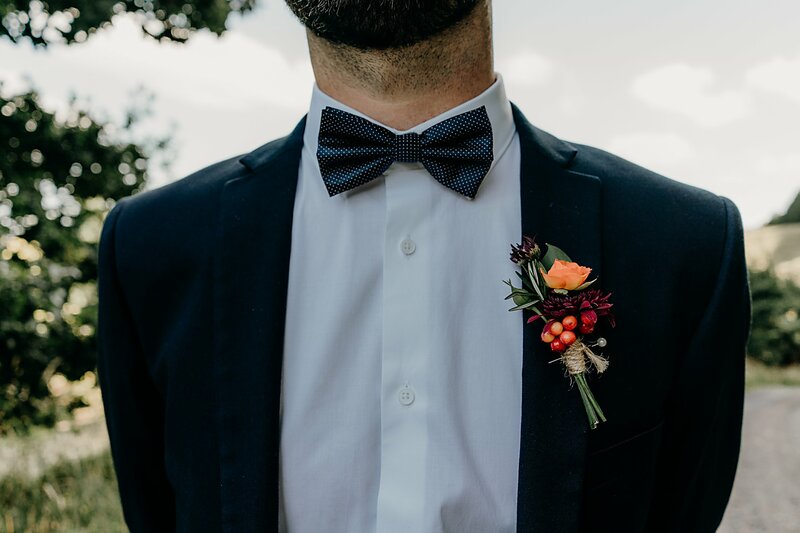 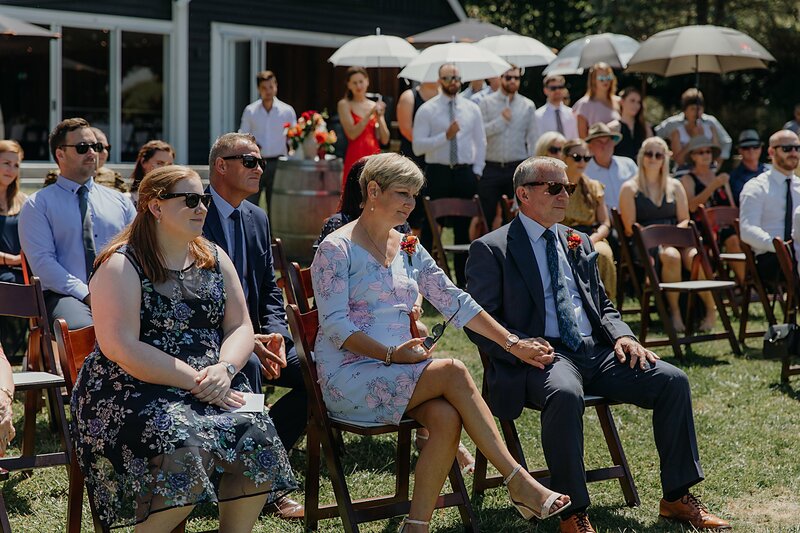 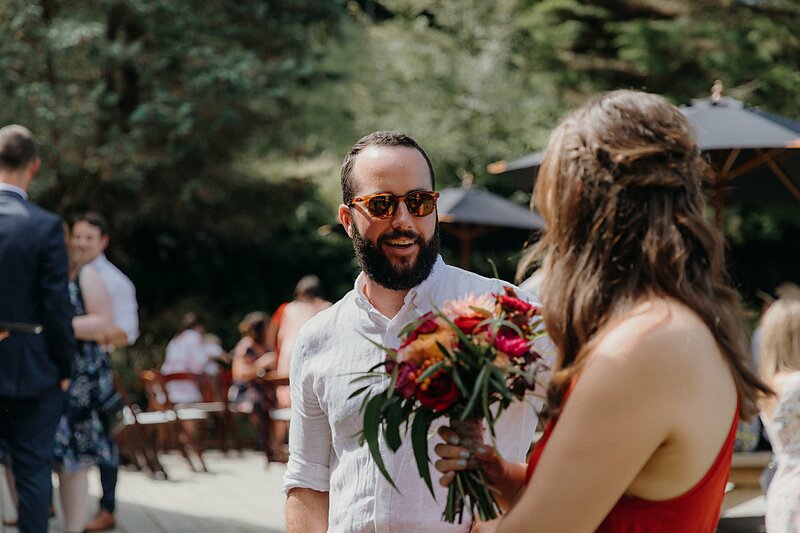 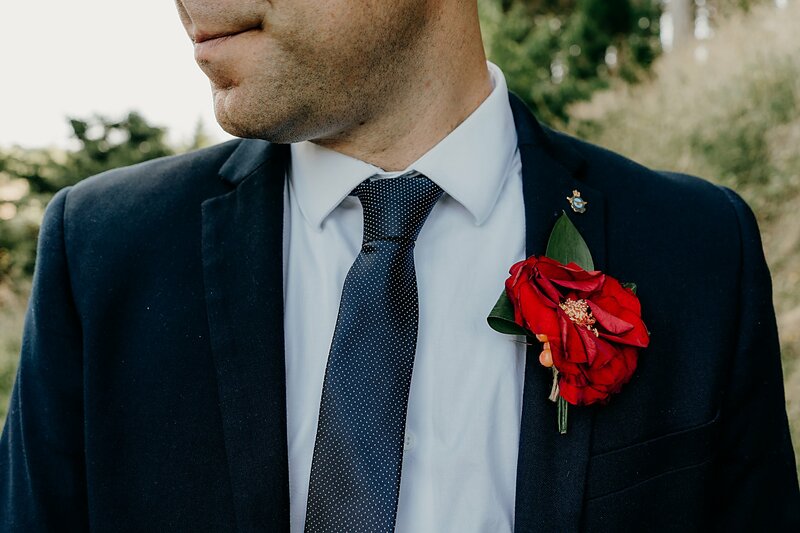 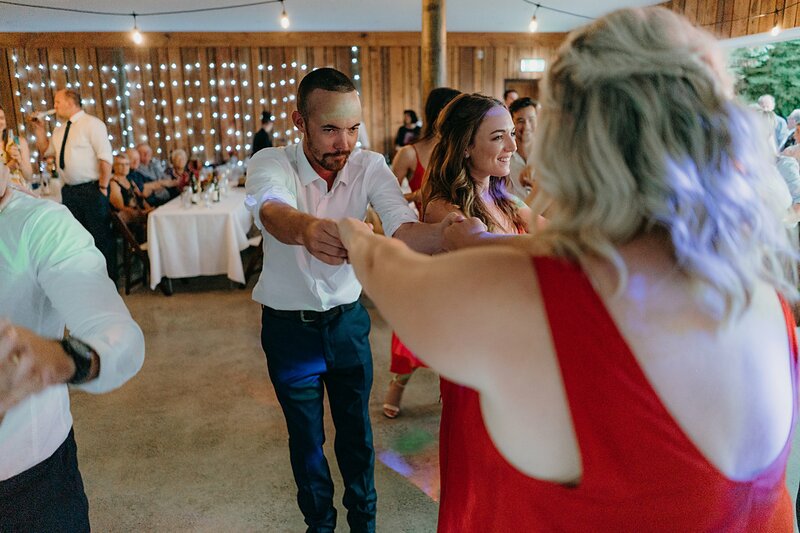 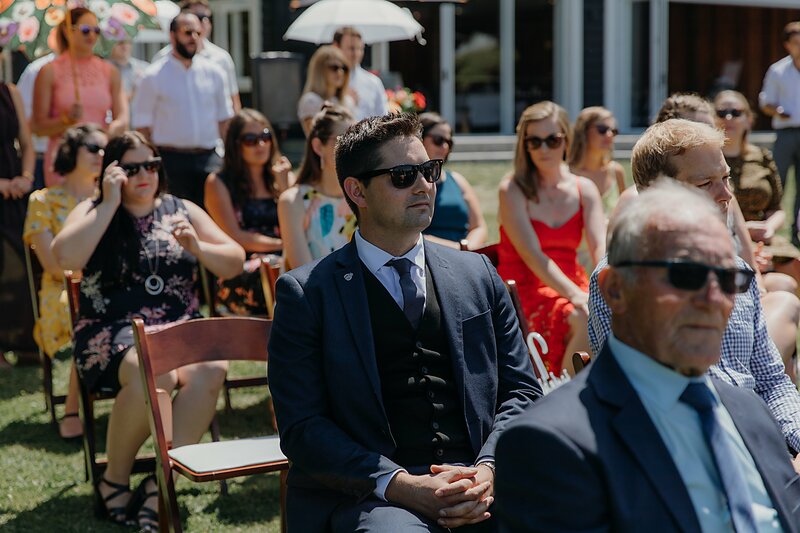 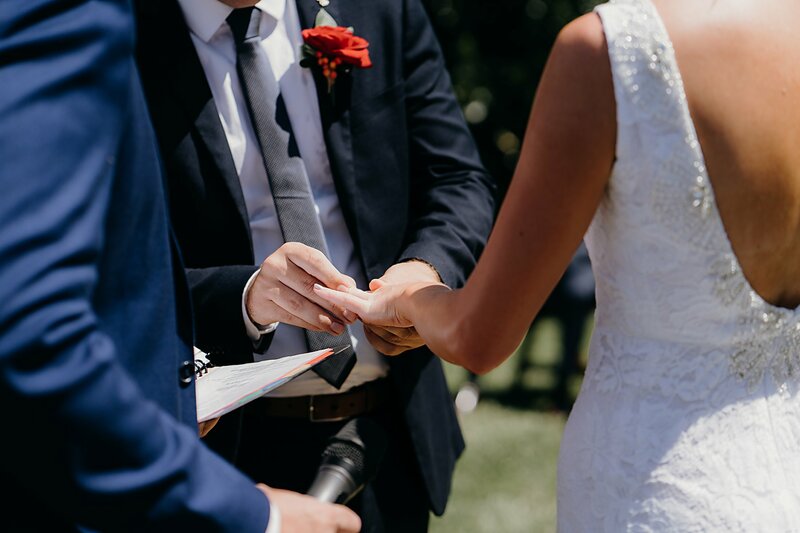 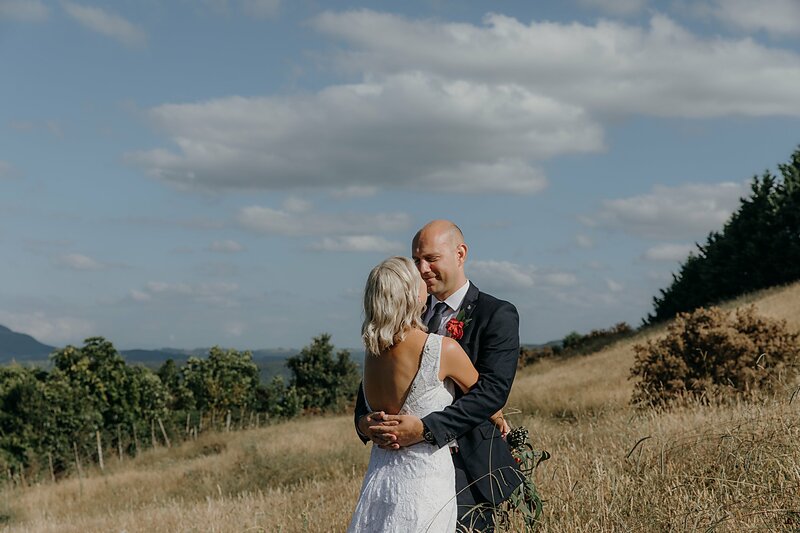 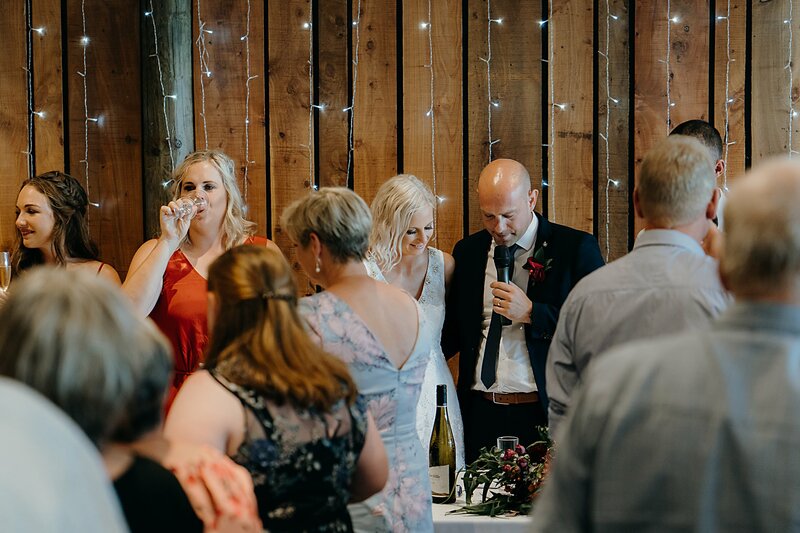 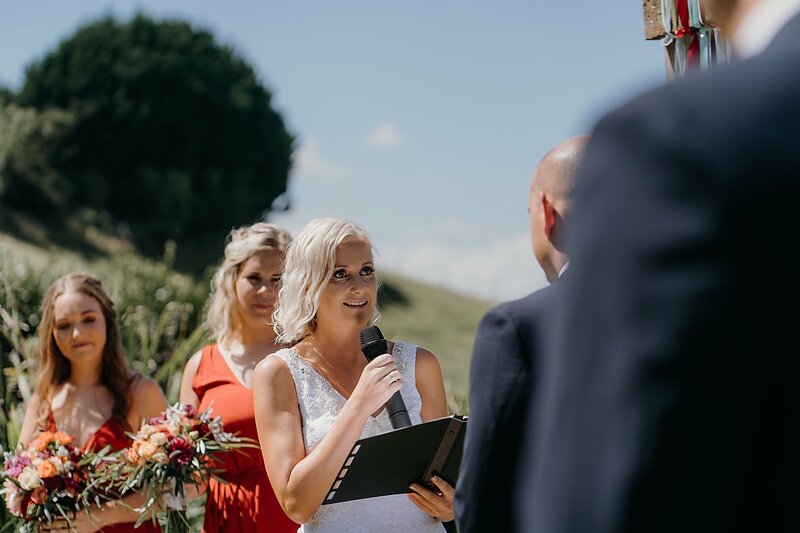 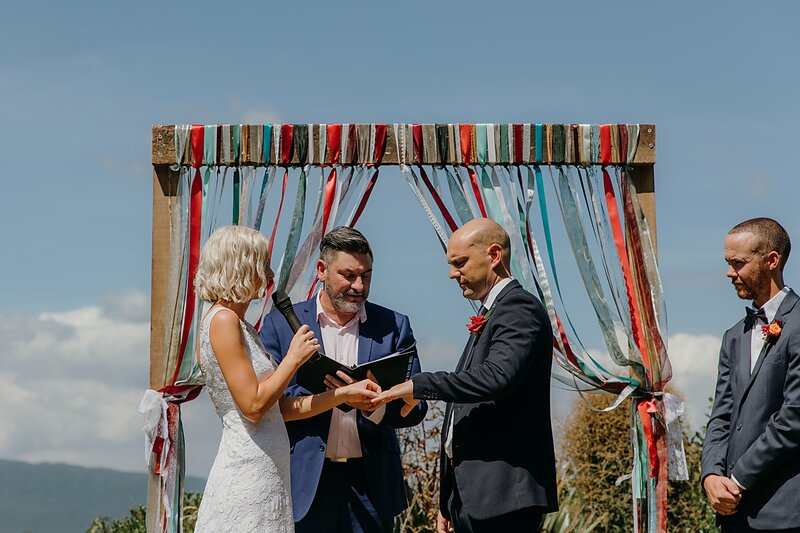 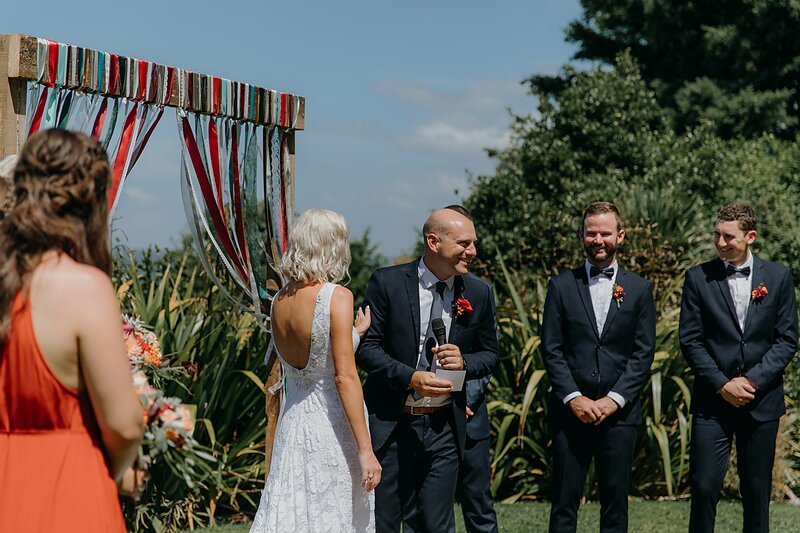 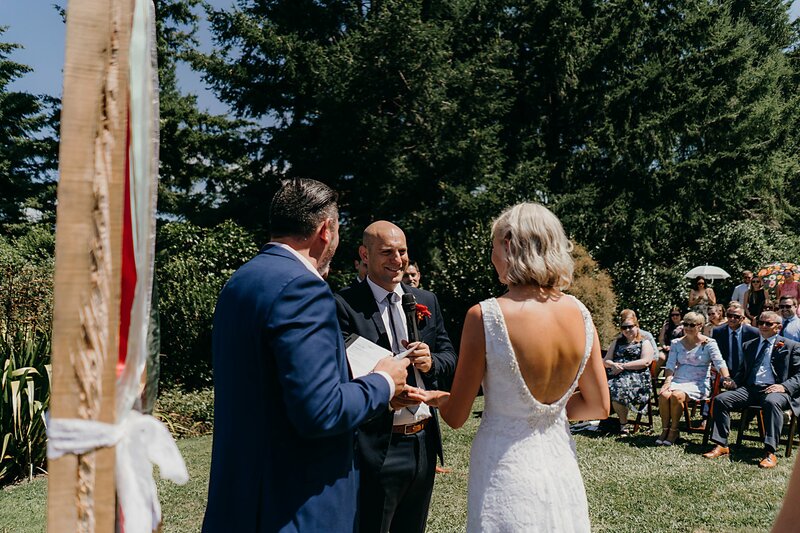 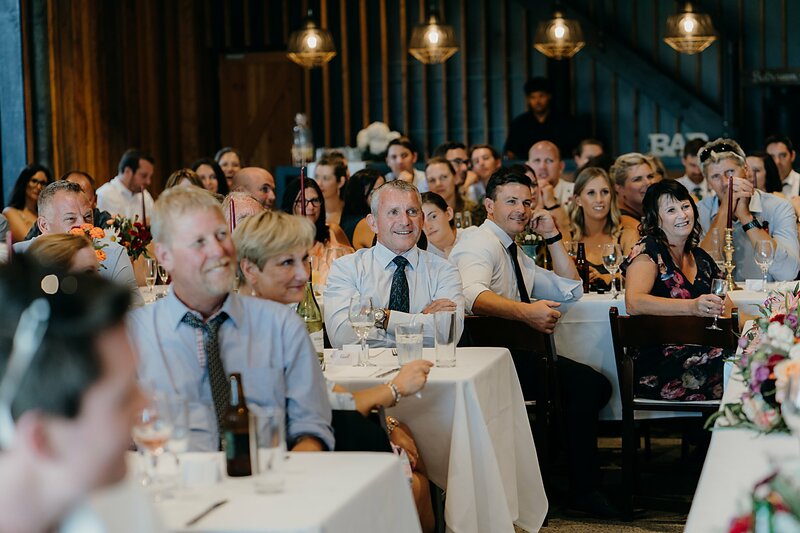 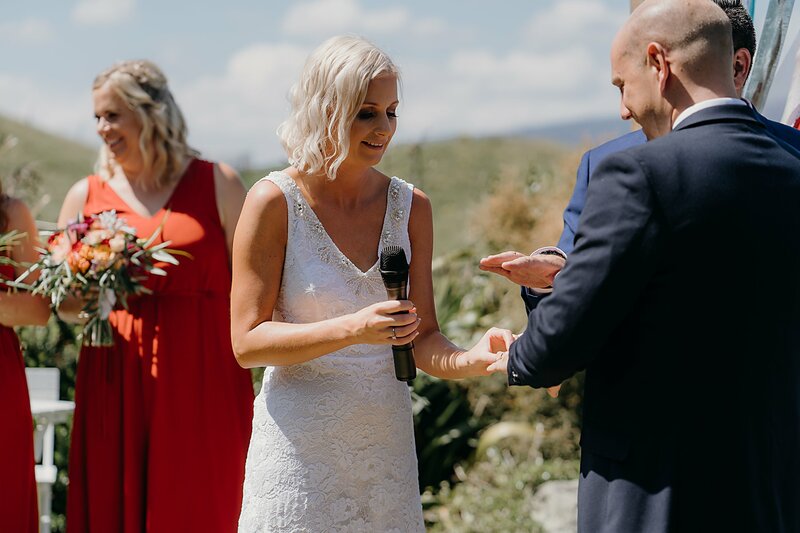 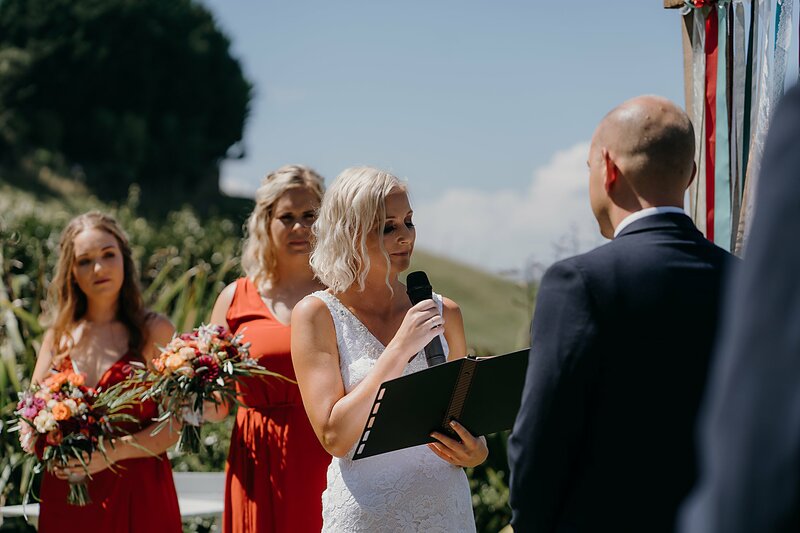 Peter Duncan from The Wedding Guy performed a gorgeous ceremony and the vowels between Kieran and Jaimee were beautiful. 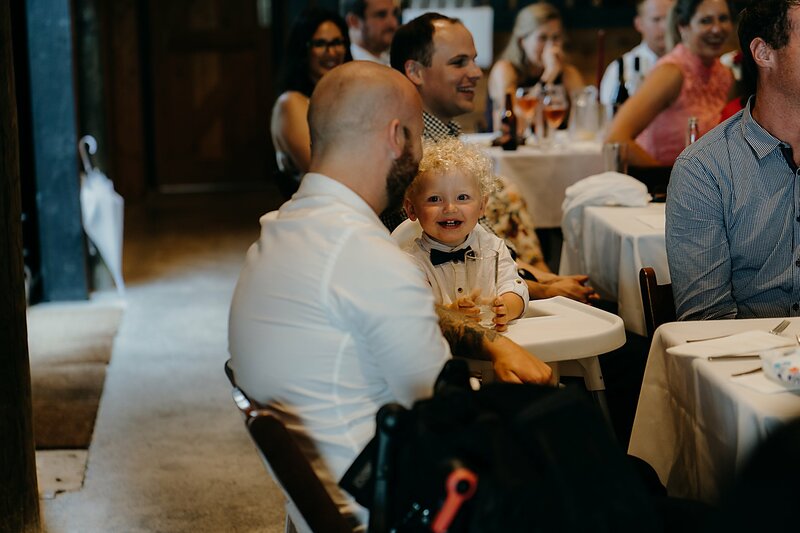 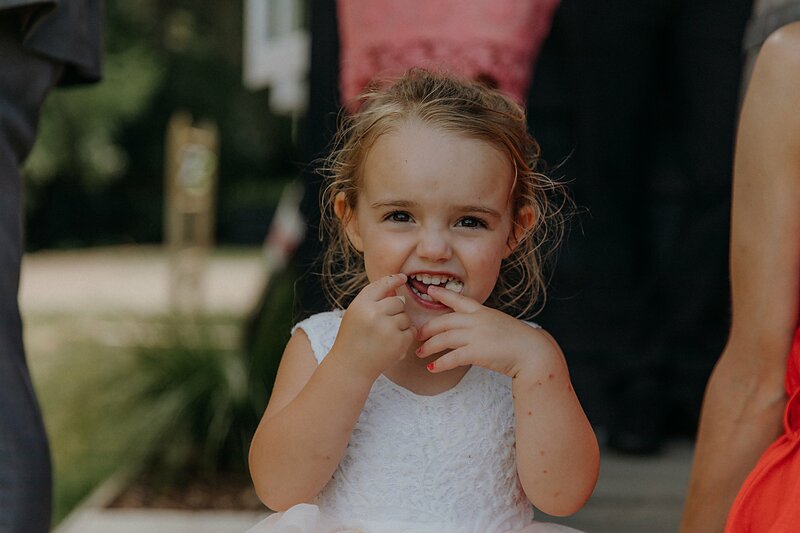 There were tears of joys and smiles all around. 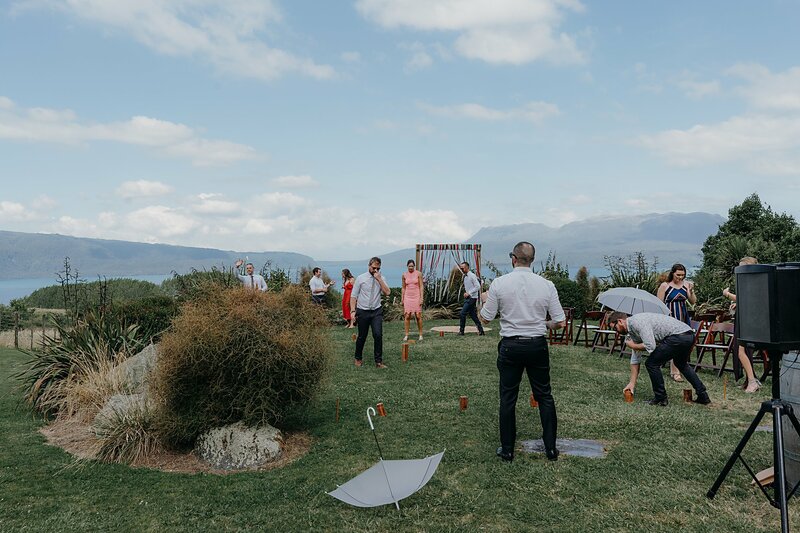 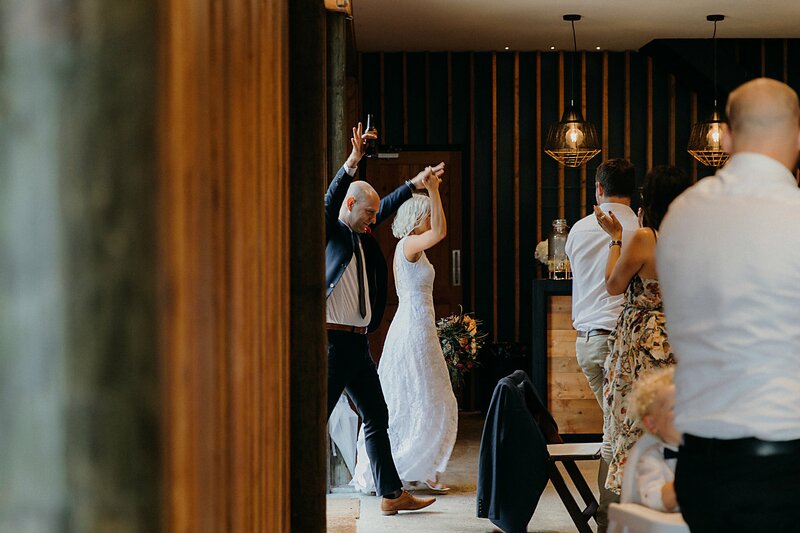 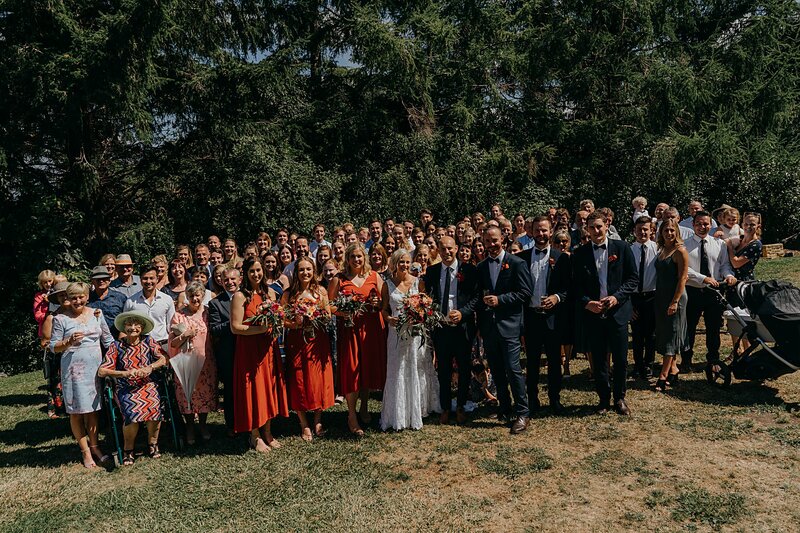 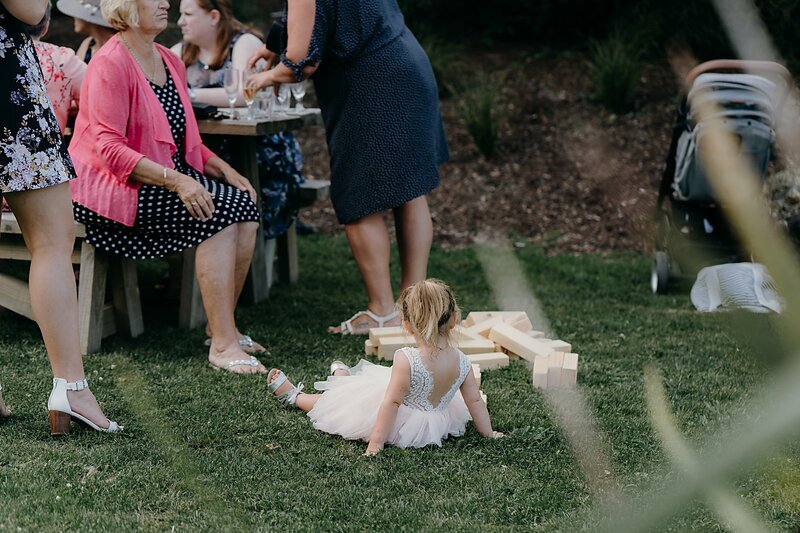 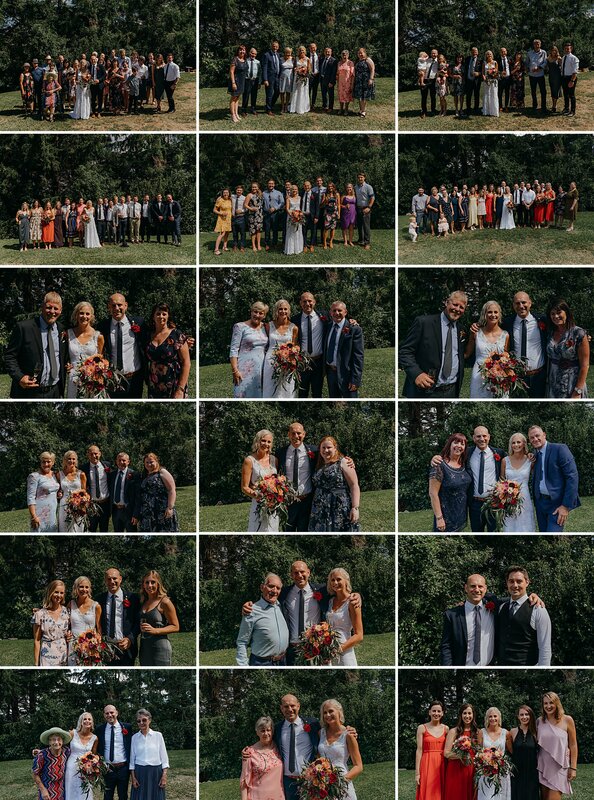 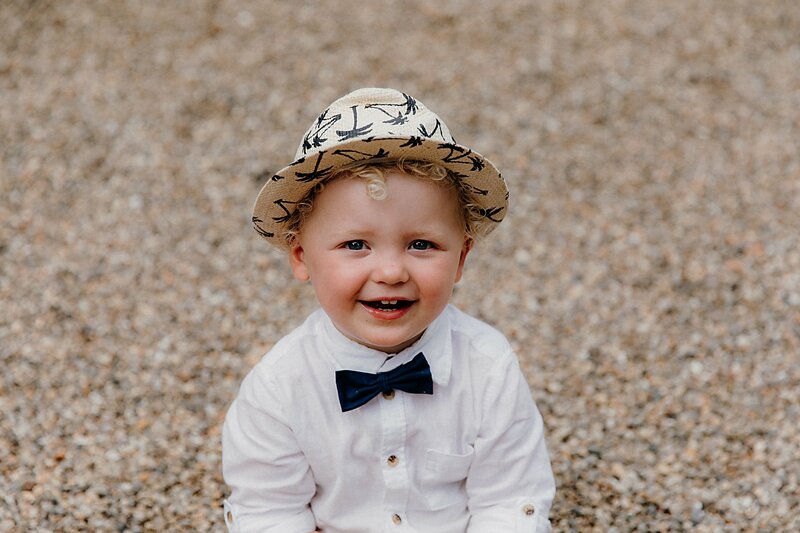 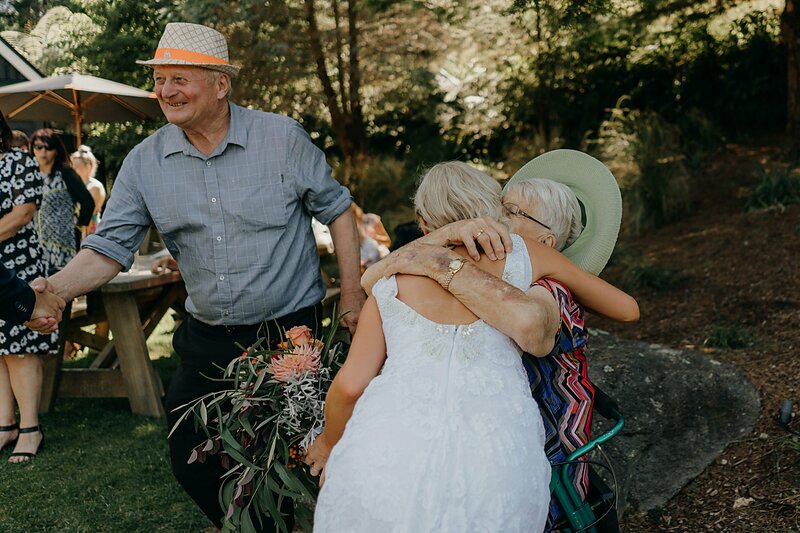 After the ceremony we had ample time for them to socialise with their guests. 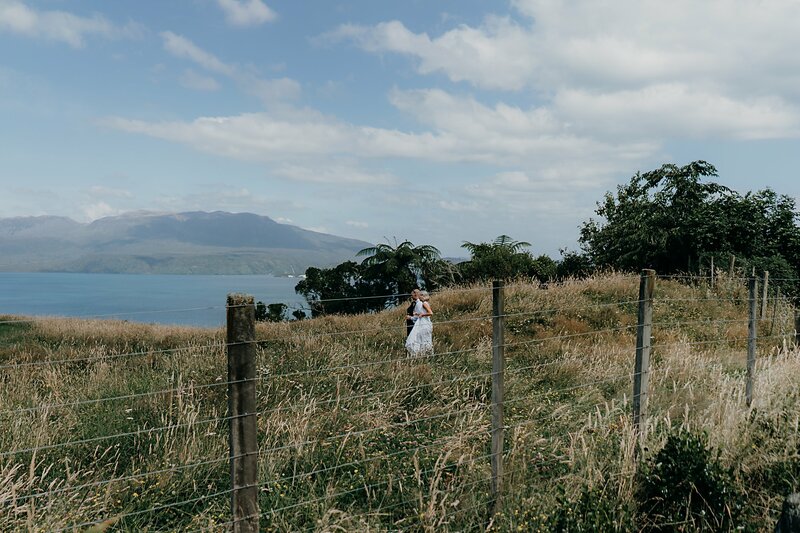 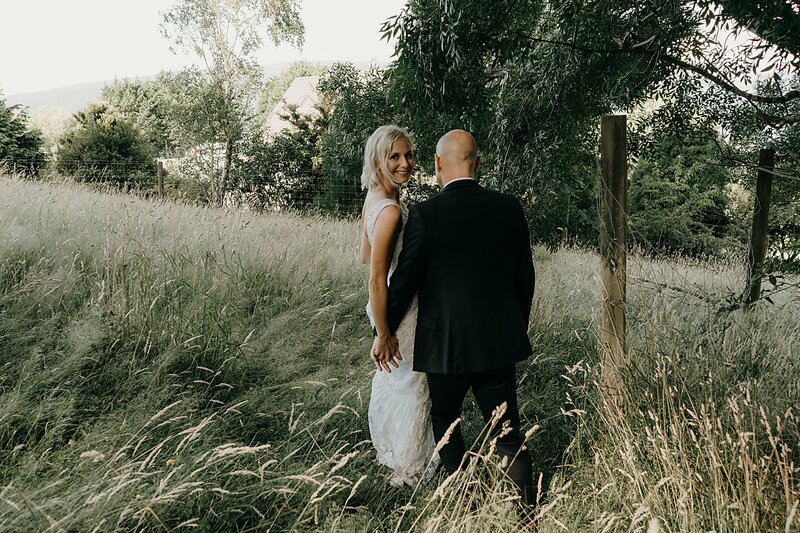 We then went exploring around the gorgeous property and took some photos along the way. 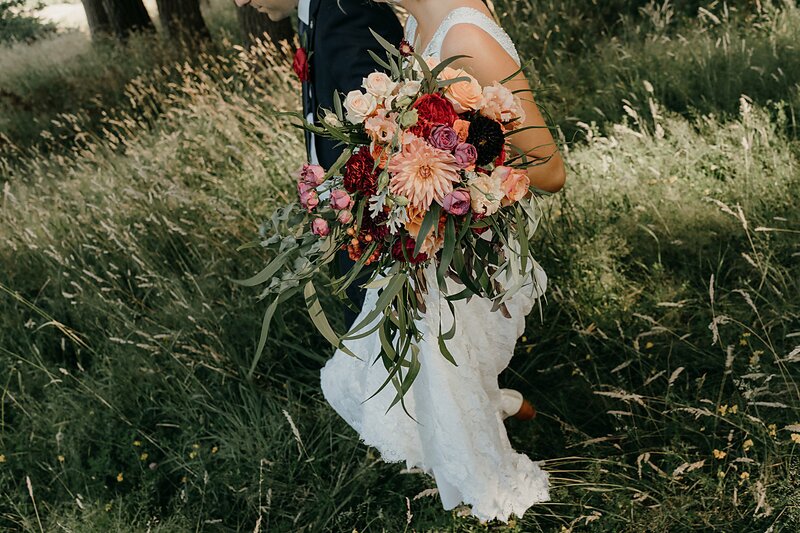 Jaimee’s bouquet was beautiful! 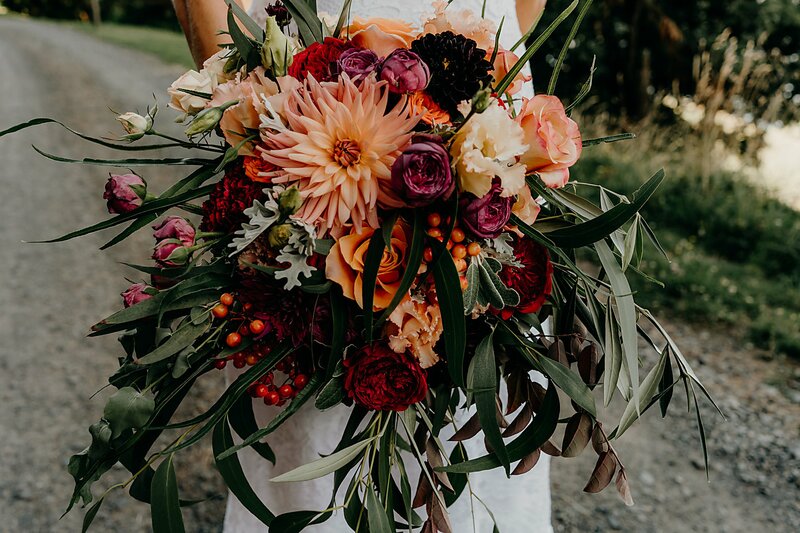 It was made by Brooke from Bloom Art Floral Boutique and went against the proper colour combinations. 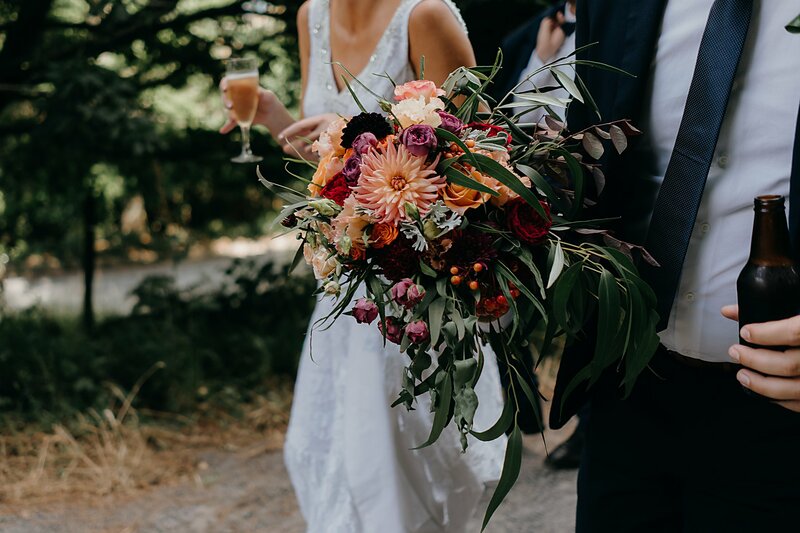 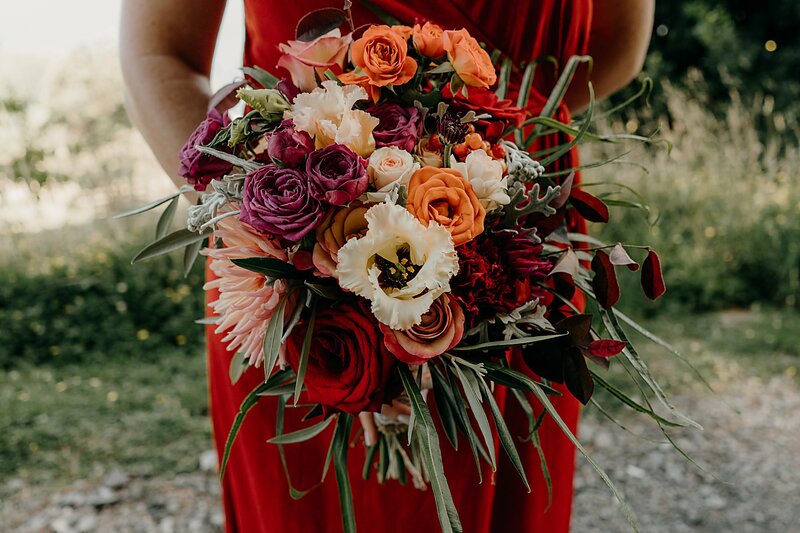 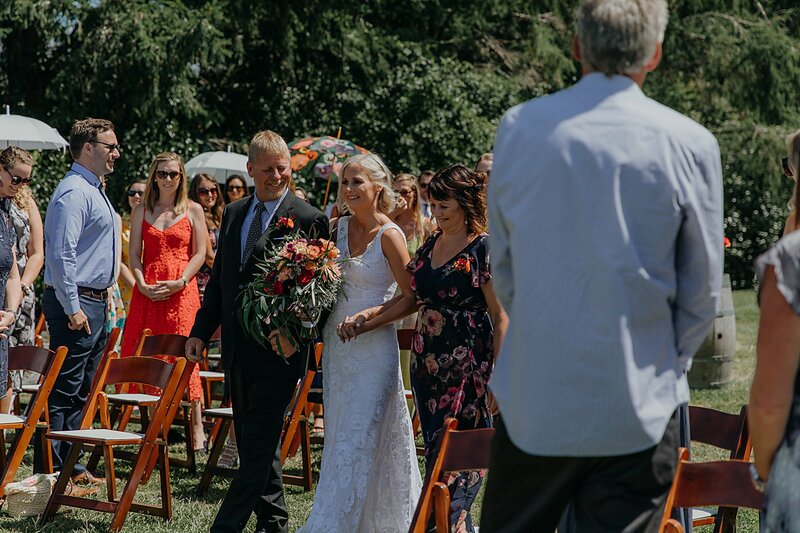 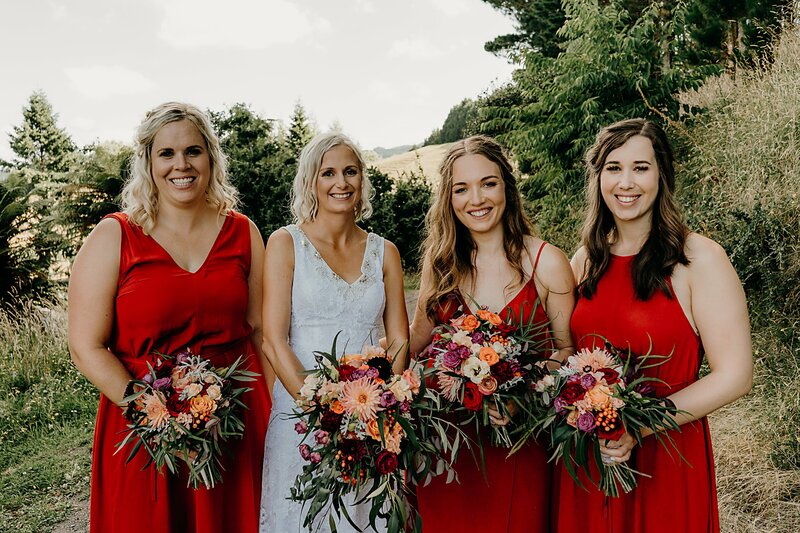 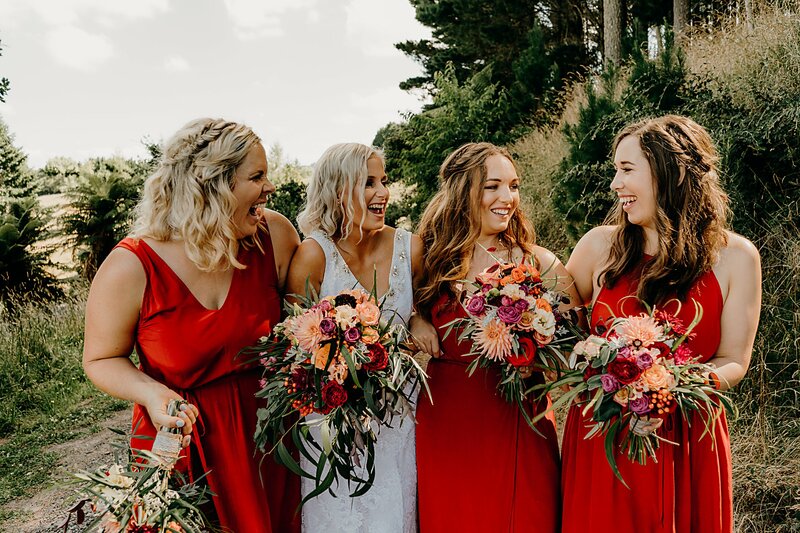 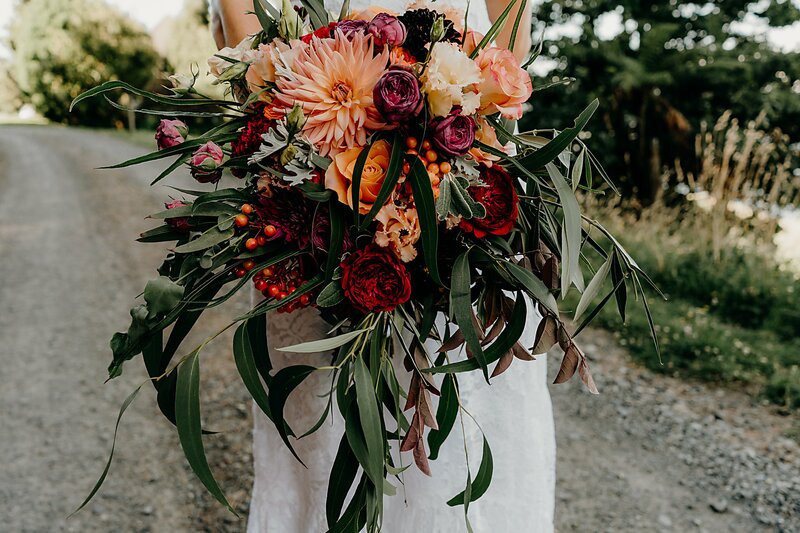 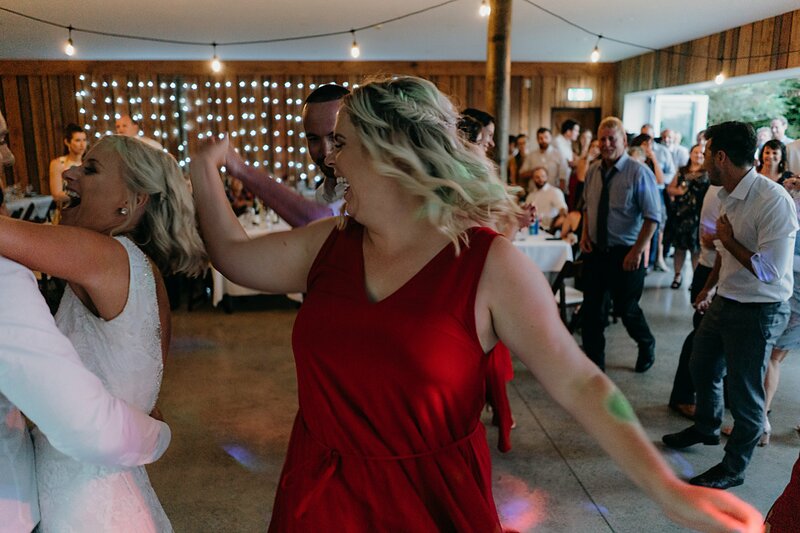 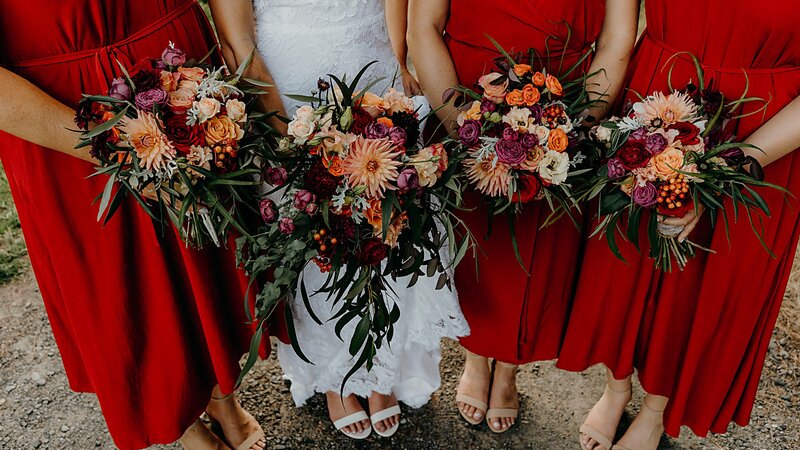 Who knew purple and red aren’t suppose to go together but boy oh boy was Jaimee’s bouquet was gorgeous. 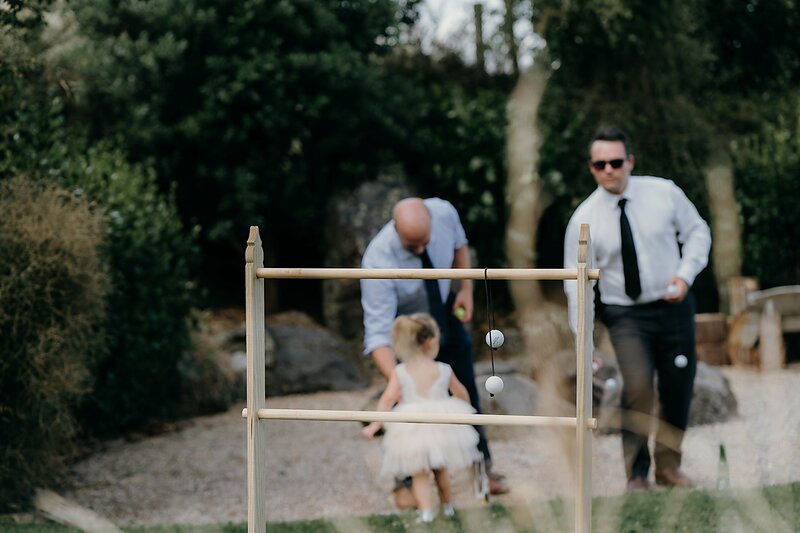 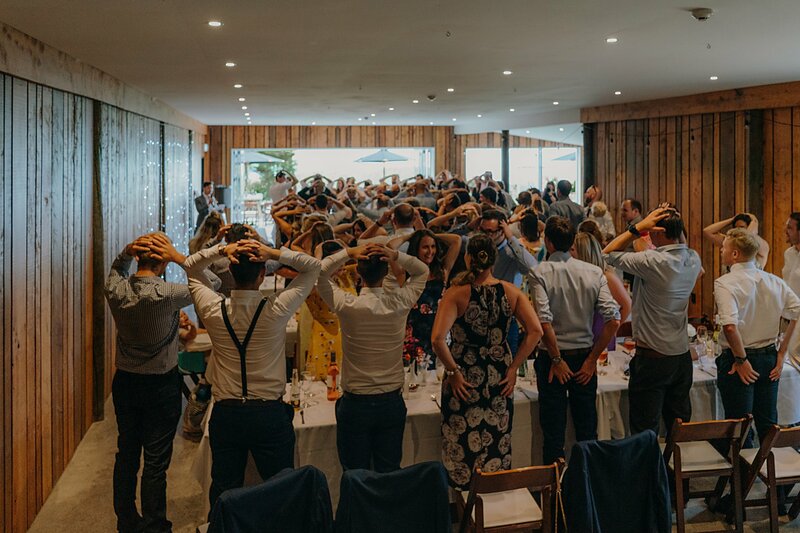 Before entering the reception the guests played a game “Kieran or Jaimee”. 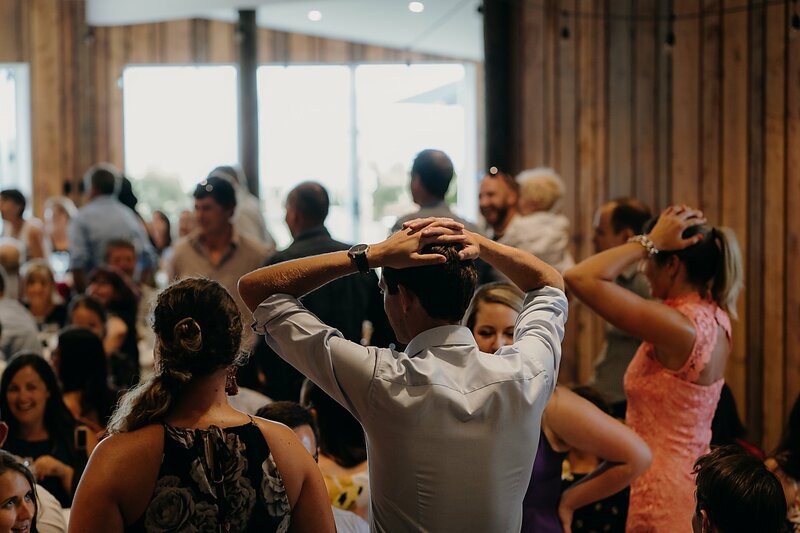 They had to answer questions by putting their hands on their butts or heads to say who it was. 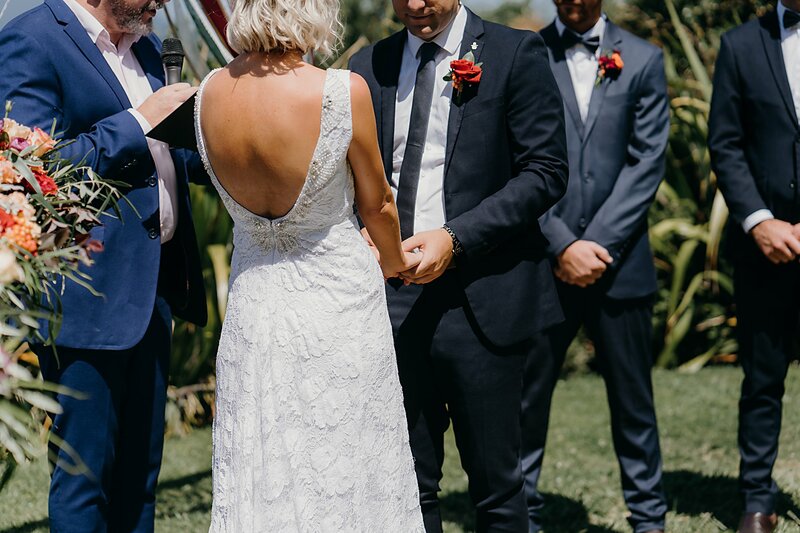 It was super funny to watch and lots got them wrong. 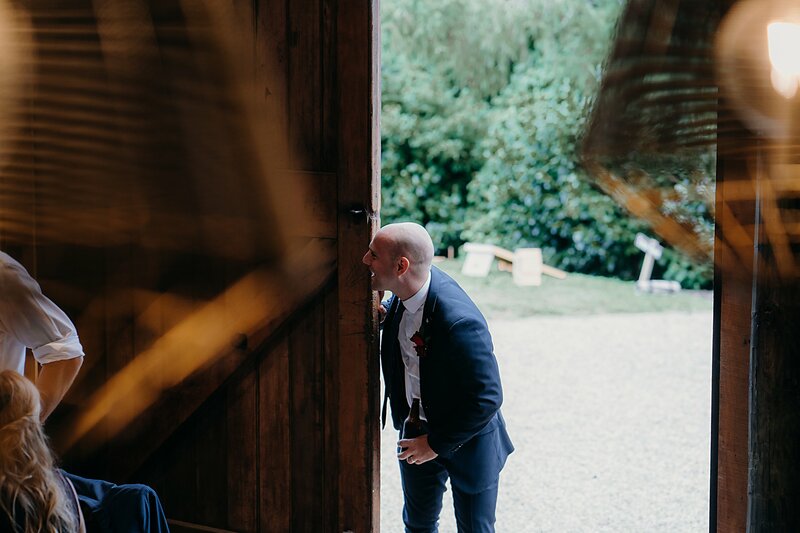 Kieran snuck his head in at one point to laugh.